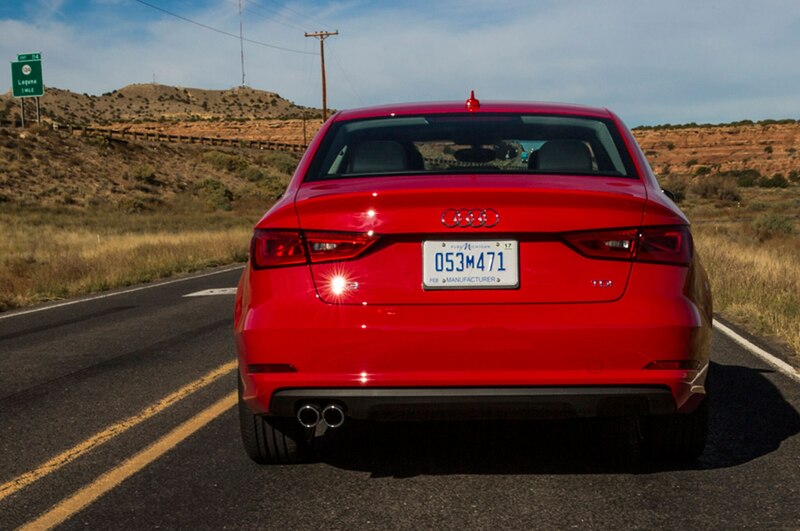 We’re breathing in fresh forest air as we roll through the mountains south of Flagstaff, Arizona, in a shiny red 2015 Audi A3 TDI. 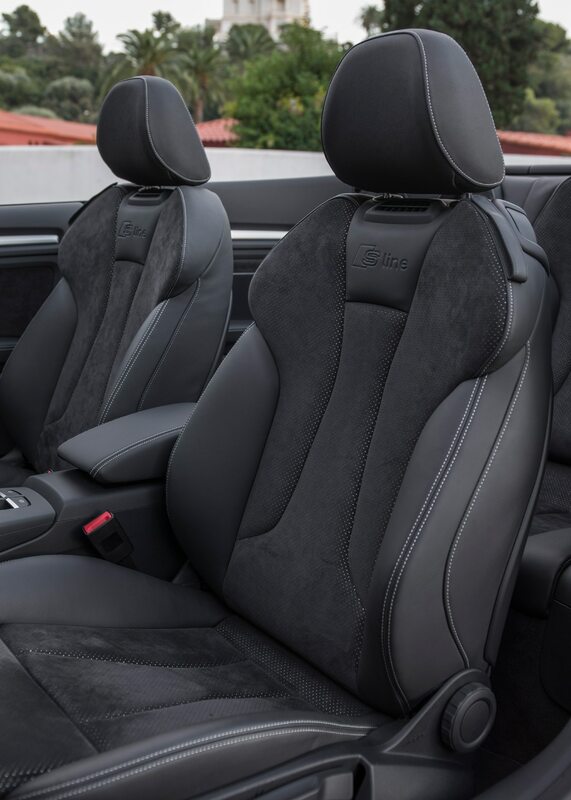 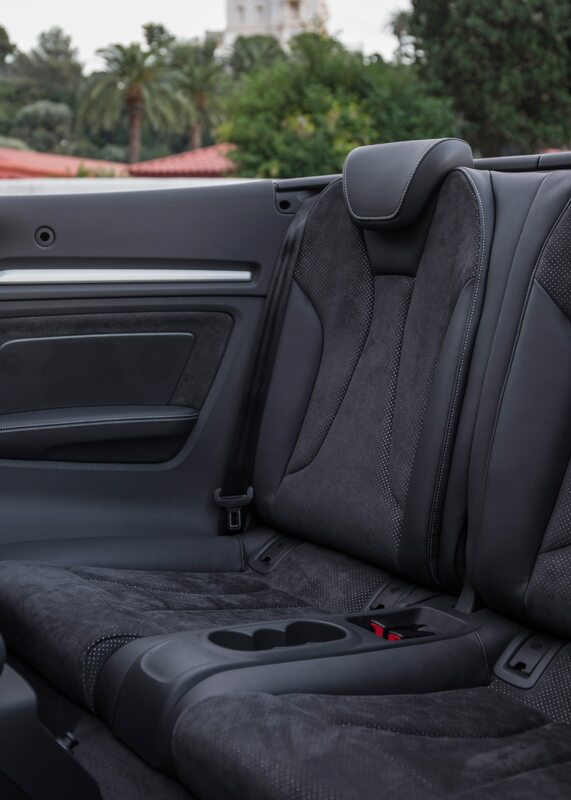 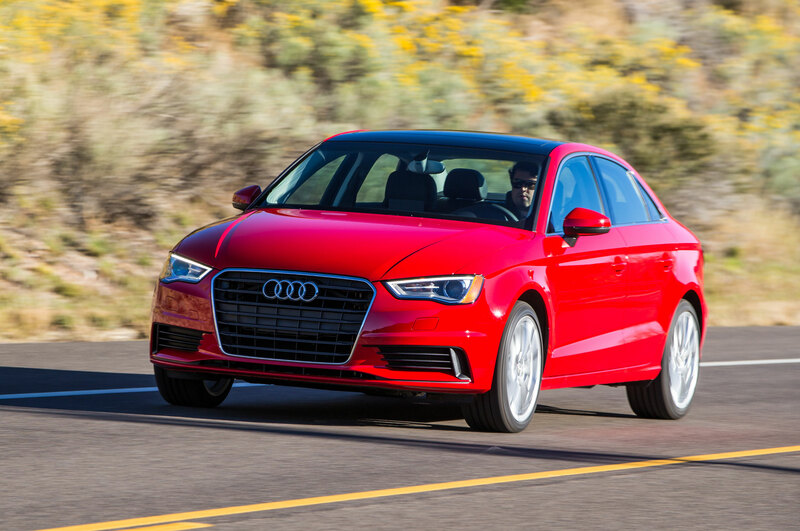 Right around now we’d usually mash the throttle with reckless abandon, grab tight the well-contoured steering wheel, and with a glint in our eye, see how the little German sedan likes to dance. 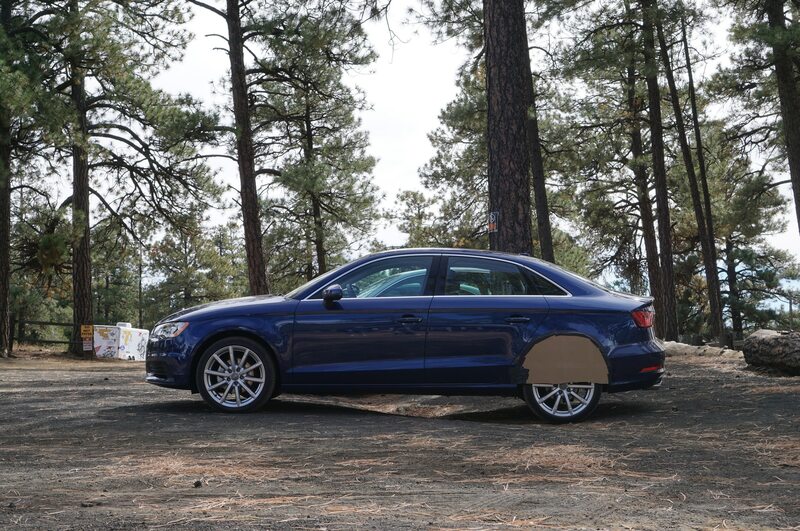 Today we’re the lead car in a line of furious and confused Arizona motorists, who we assume cannot fathom why this Audi with its hazards on refuses to accelerate past 45 mph except when going downhill. 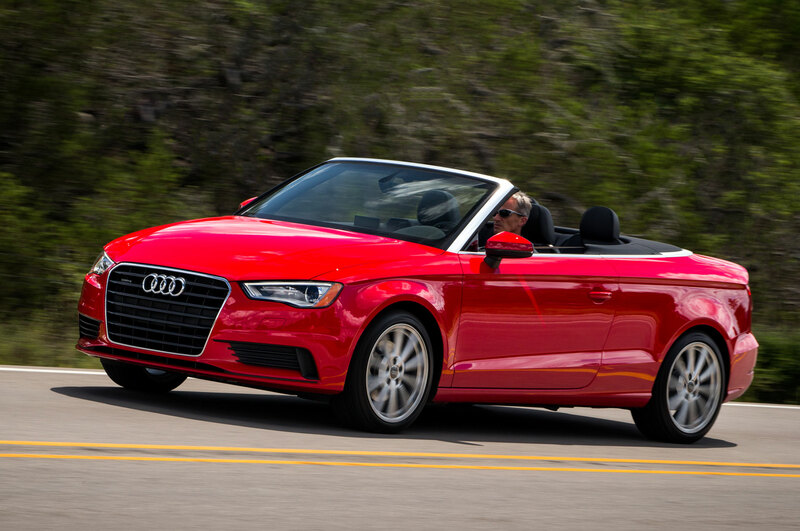 Two livid blond women behind us in a lime green Kia Soul gesture wildly. 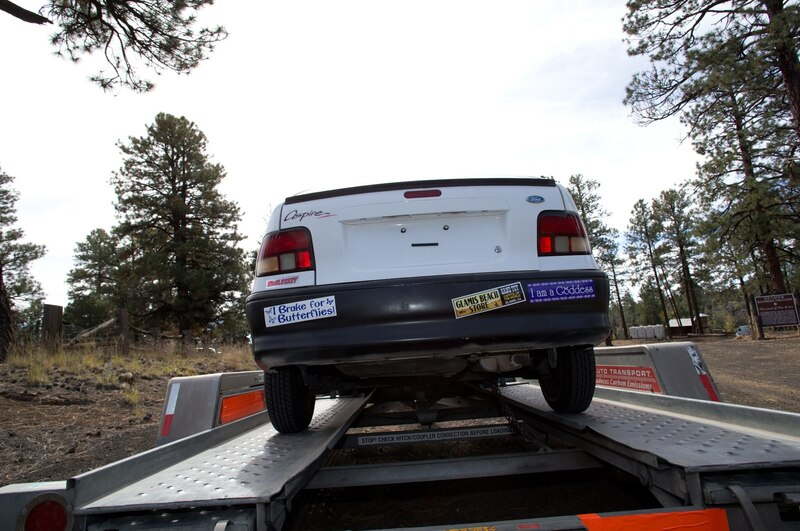 It’s unlikely they’d be any less angry if they knew the reason for our plodding obstinacy — that a bunch of sweaty, stubborn journalists are engaged in a fuel-economy challenge, attempting to drive 834 miles from Albuquerque, New Mexico, to San Diego, California, on a single tank of fuel. 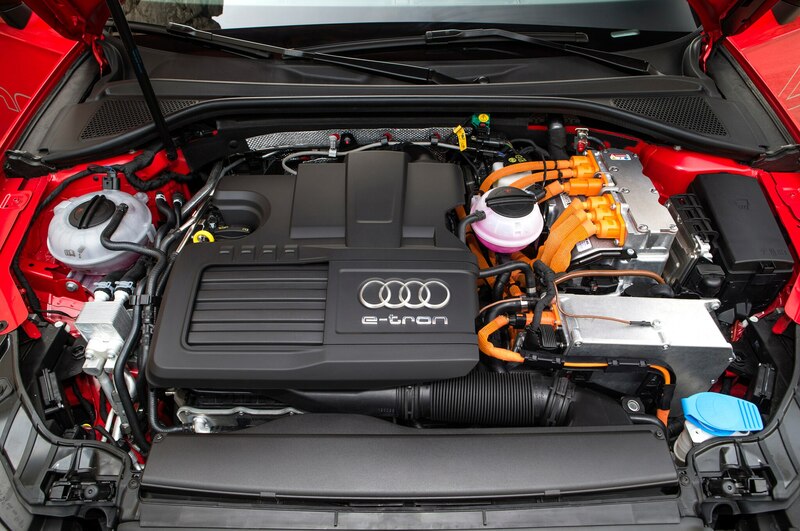 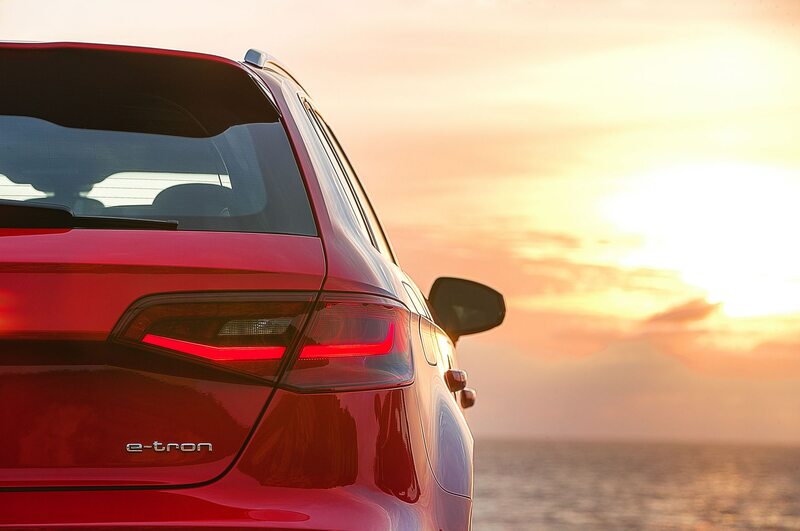 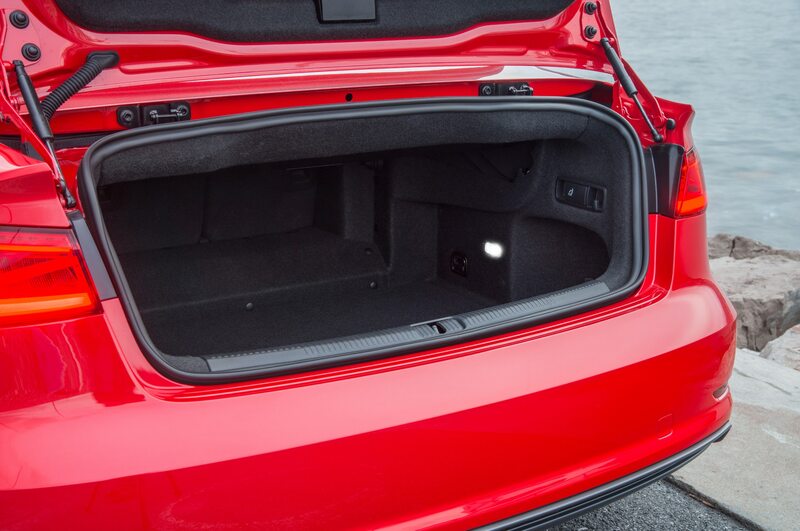 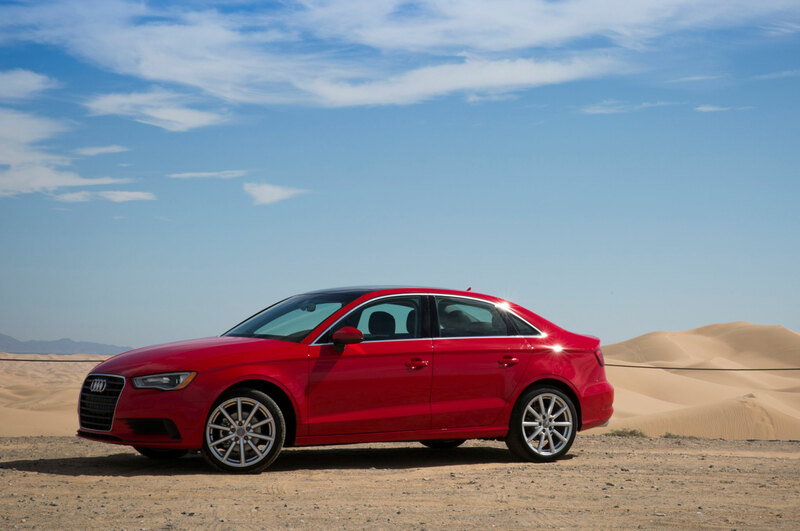 With an EPA highway rating of 43 mpg and a 13.2-gallon tank, simple math tells us that the 2015 Audi A3 TDI should be good for 567 miles, give or take. 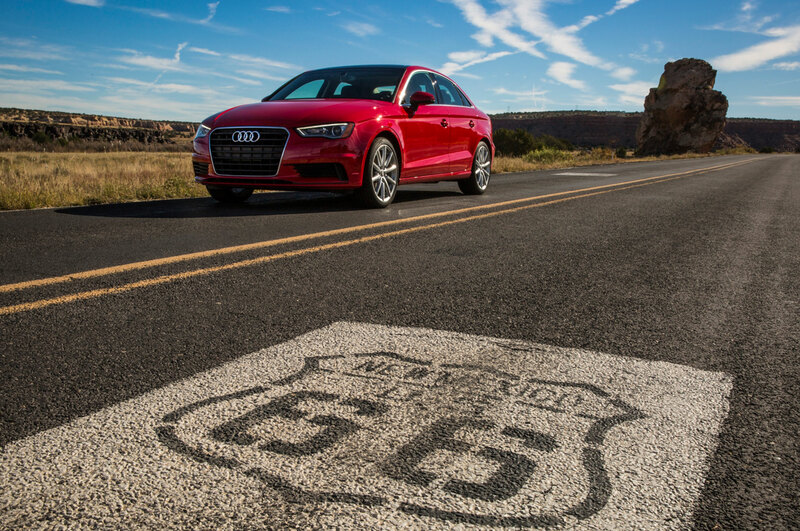 To go 834 miles, then, is an ambitious challenge. 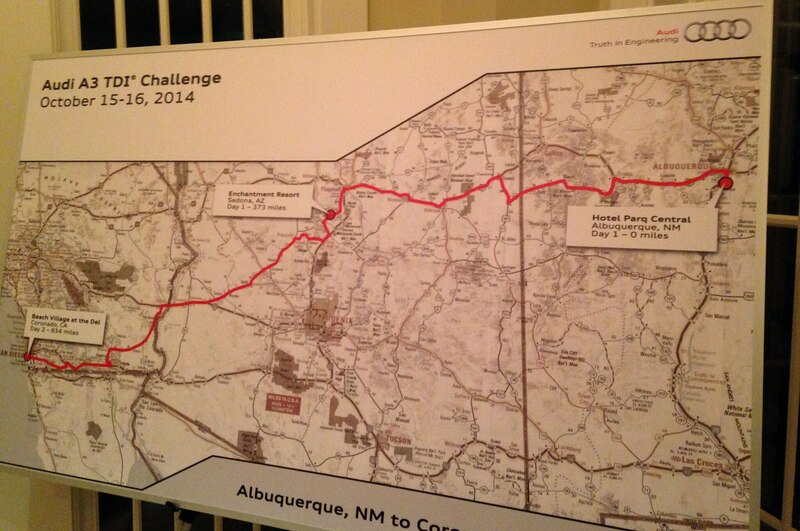 “You’re gonna blow the EPA out of the water,” hypermiling expert Wayne Gerdes tells us before the start in Albuquerque. 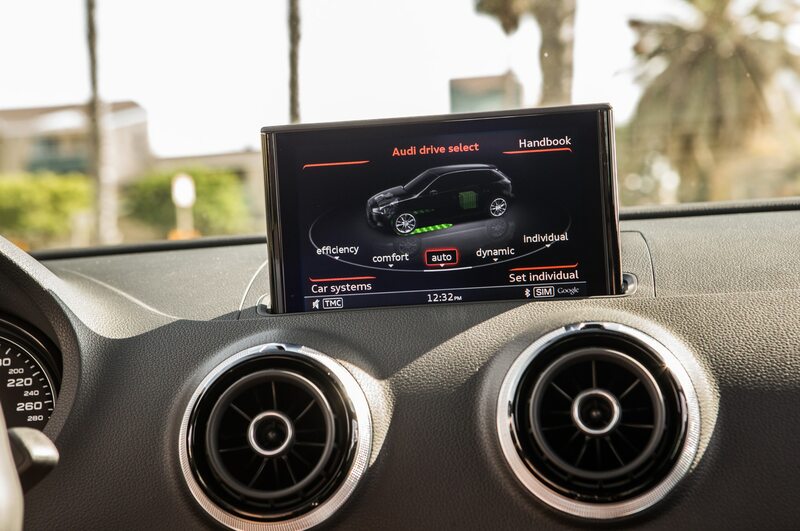 “And when you beat their rating, that’s hypermiling. 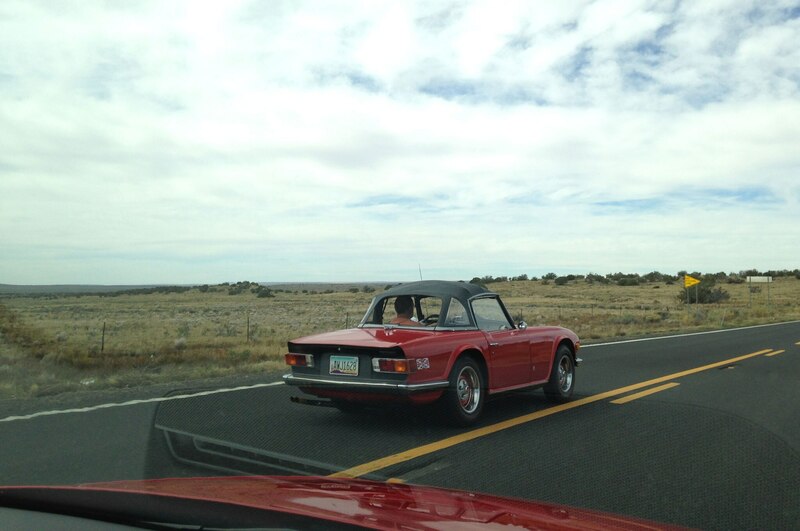 I’d know, I coined the term,” he says proudly. 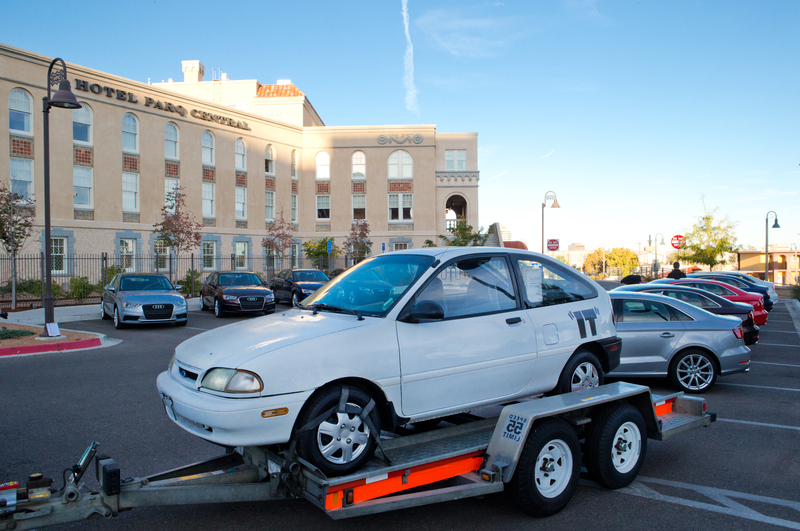 As an added incentive, the first team to run dry will have to finish the journey in a recently “rescued” 1994 Ford Aspire sporting bleach-white paint, a black decal on the side that reads “IT,” a mismatched rear bumper, and three hubcaps. 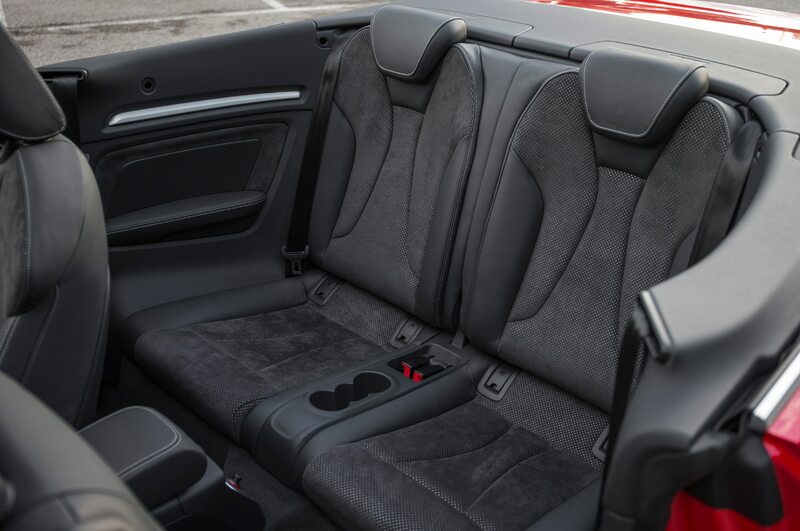 We have no intention of setting foot in that relic of ’90s automotive detritus. 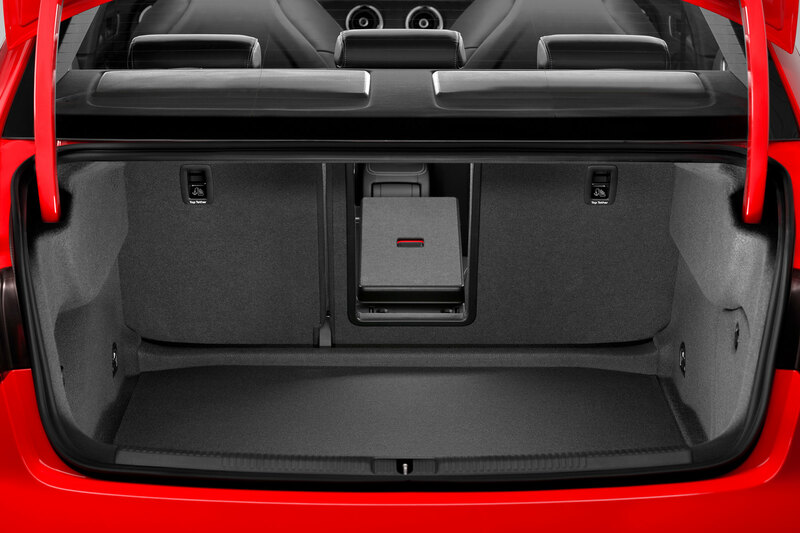 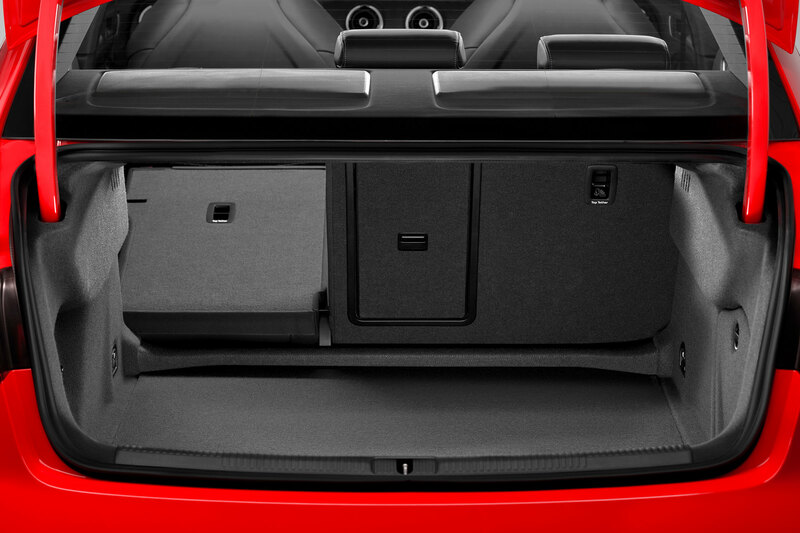 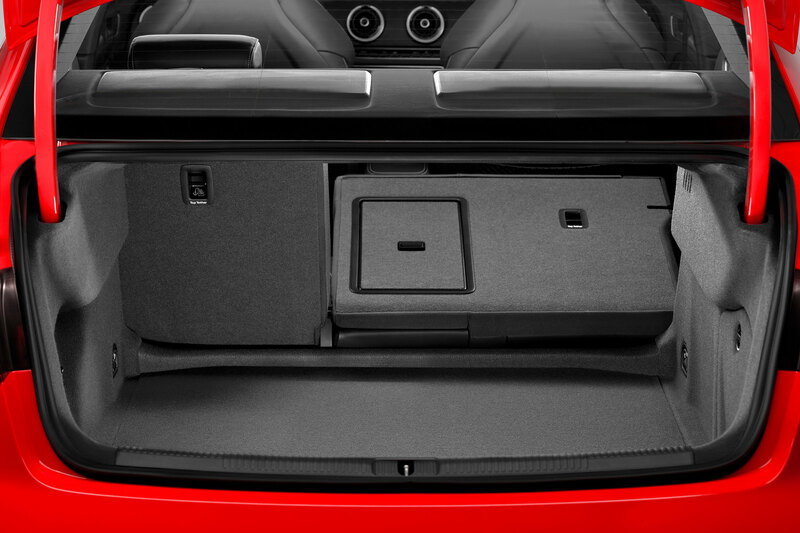 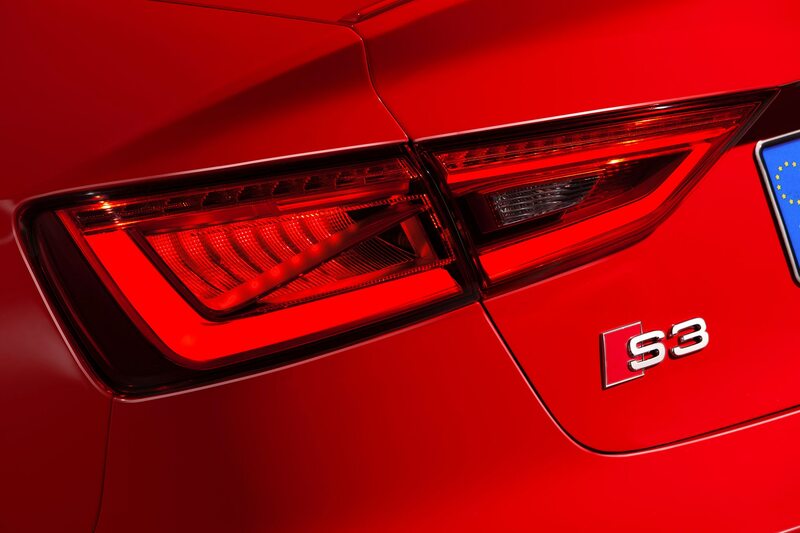 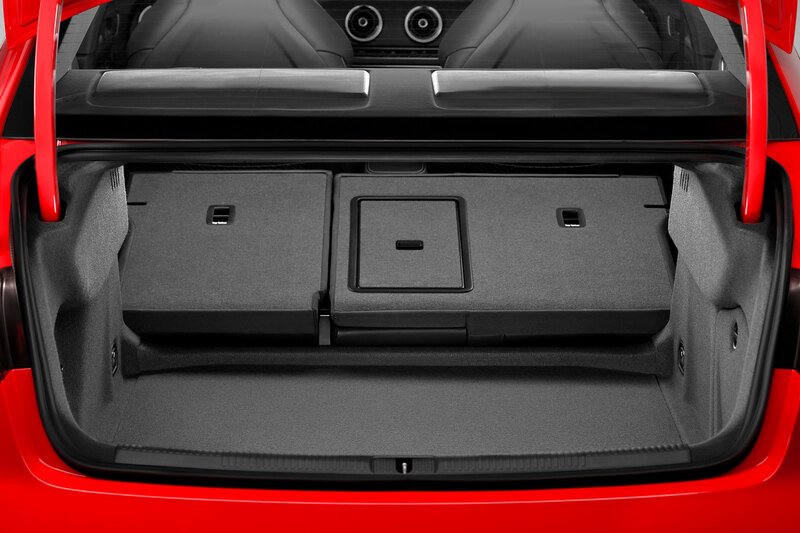 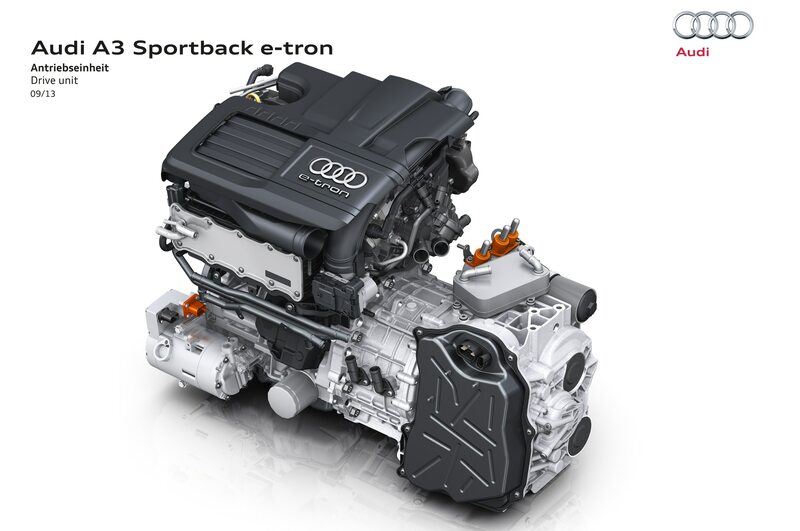 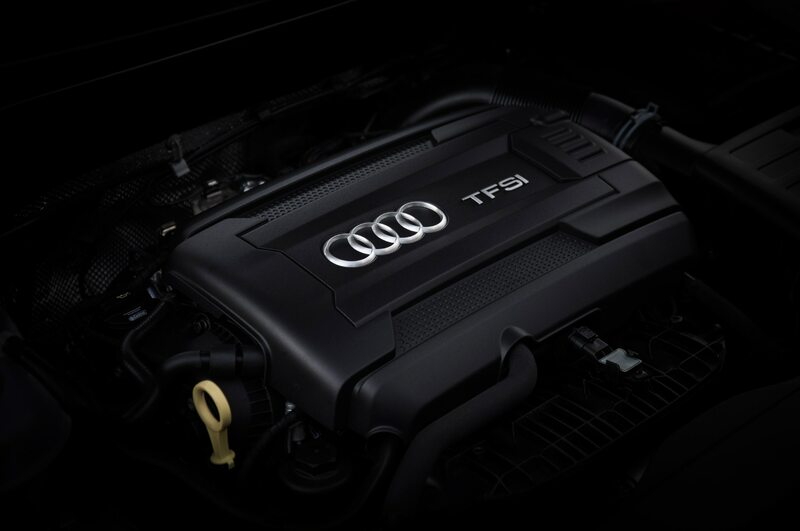 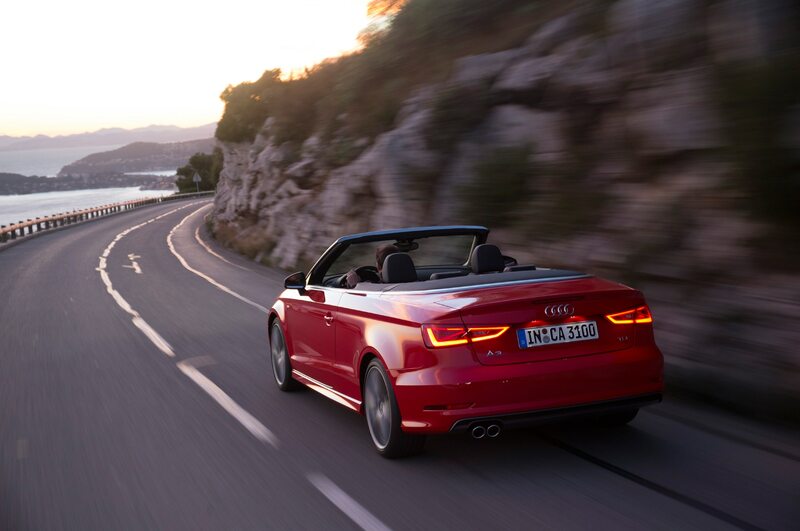 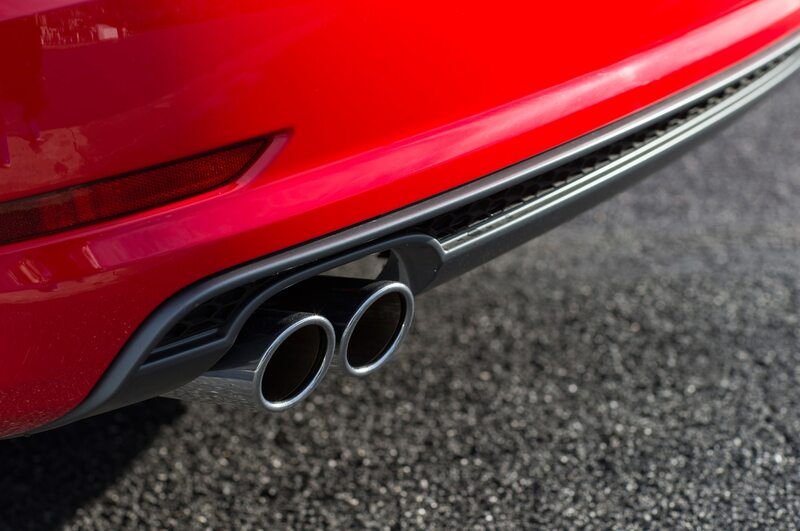 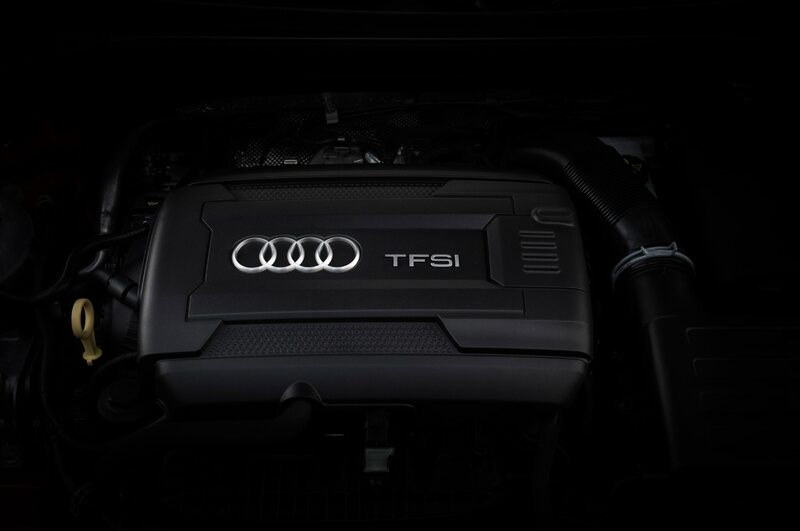 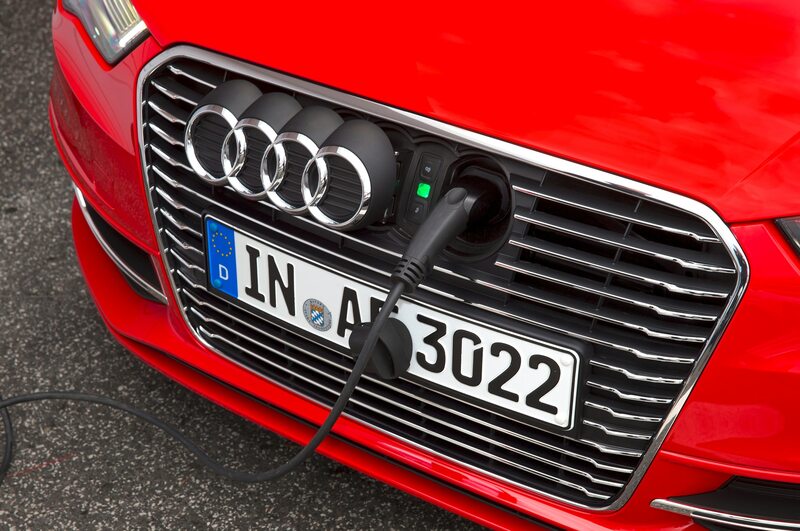 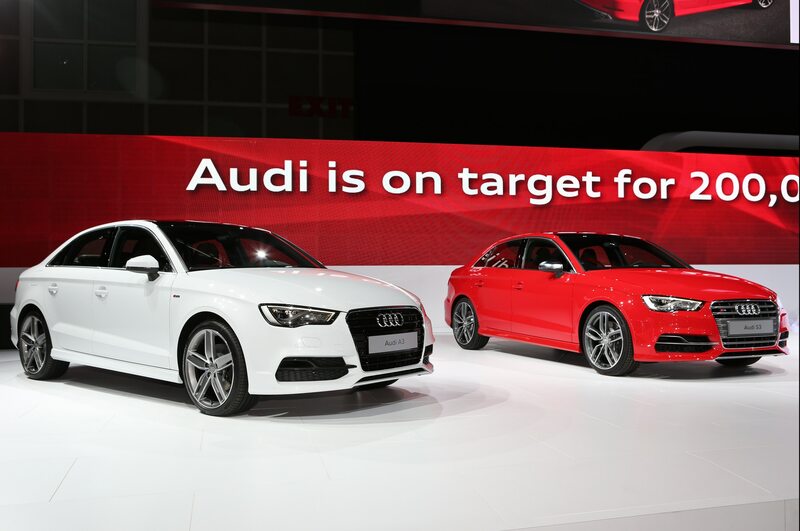 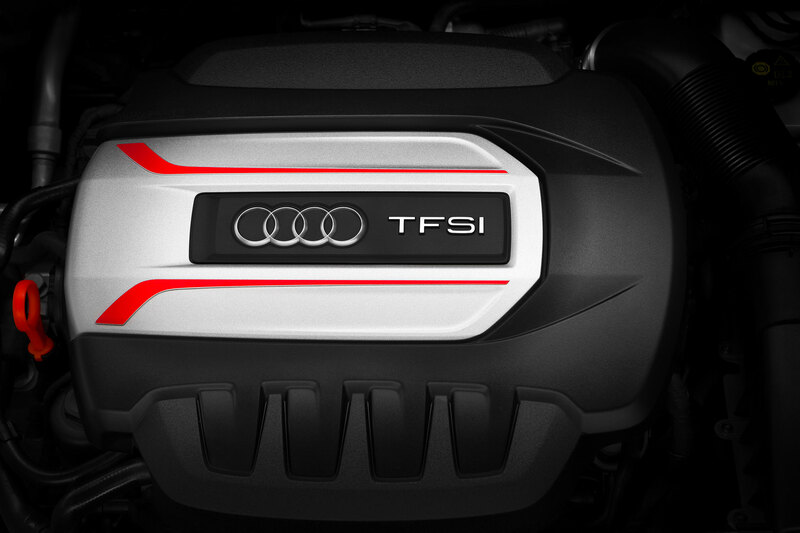 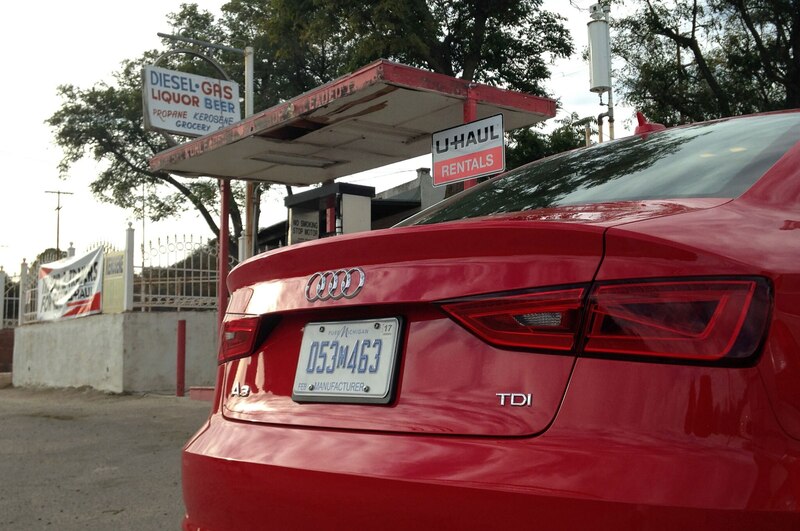 Overnight, Audi has topped off our tanks with fresh diesel and sealed the fuel caps to make sure there’s no cheating. 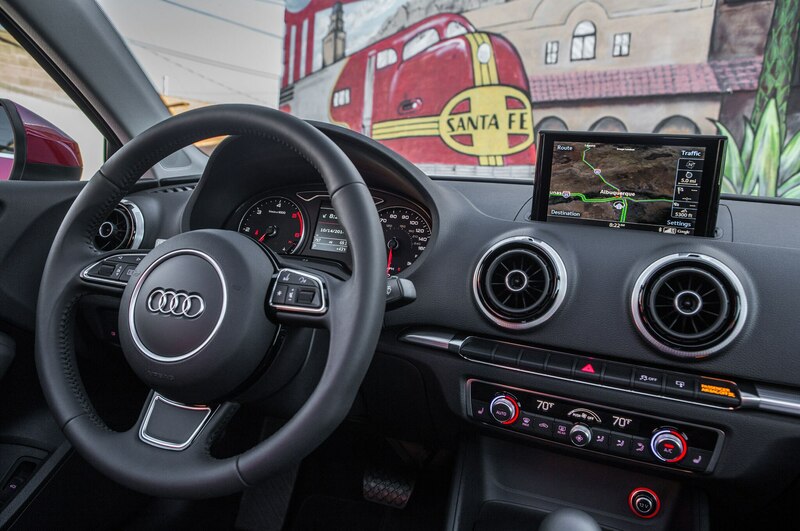 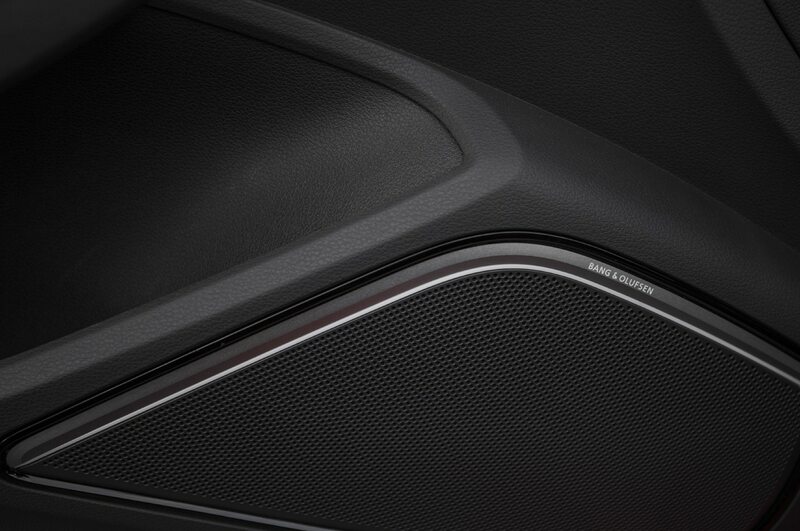 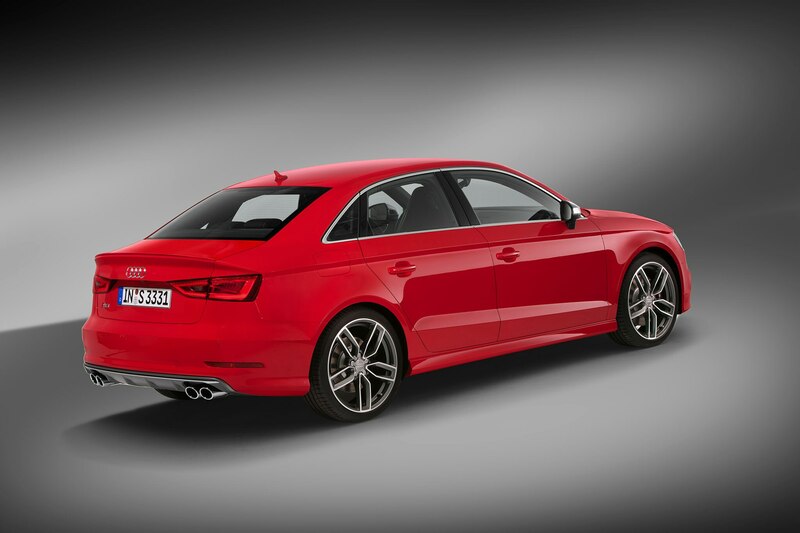 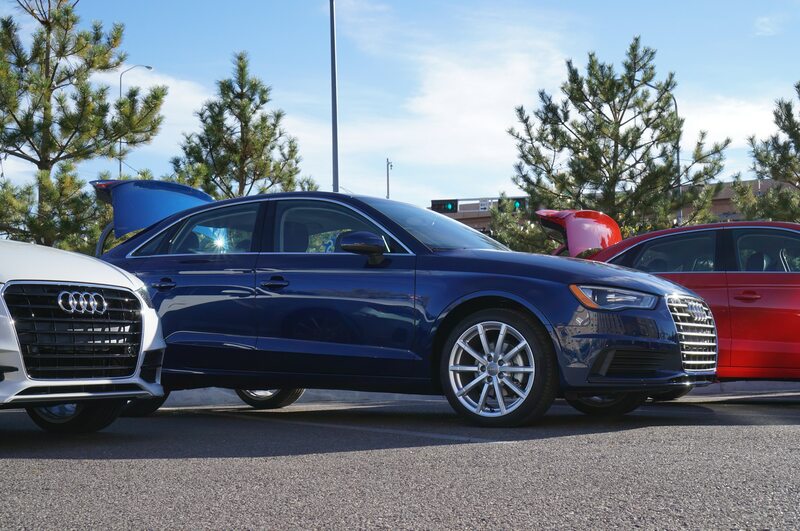 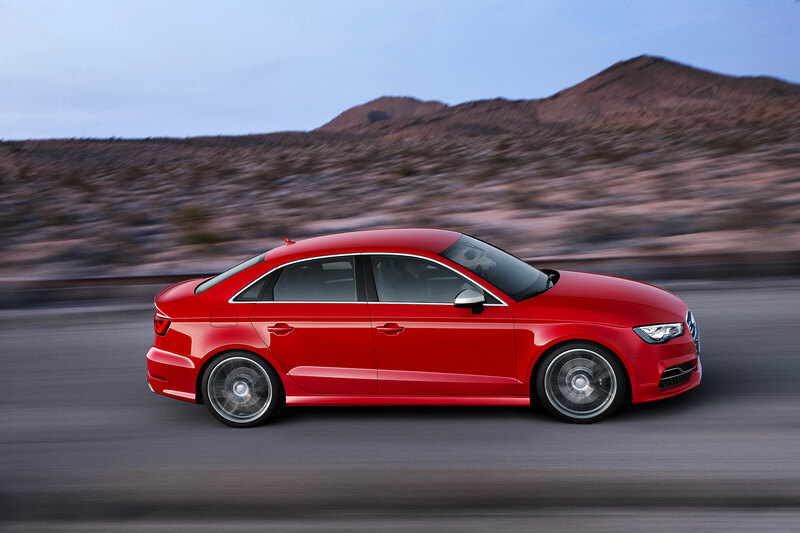 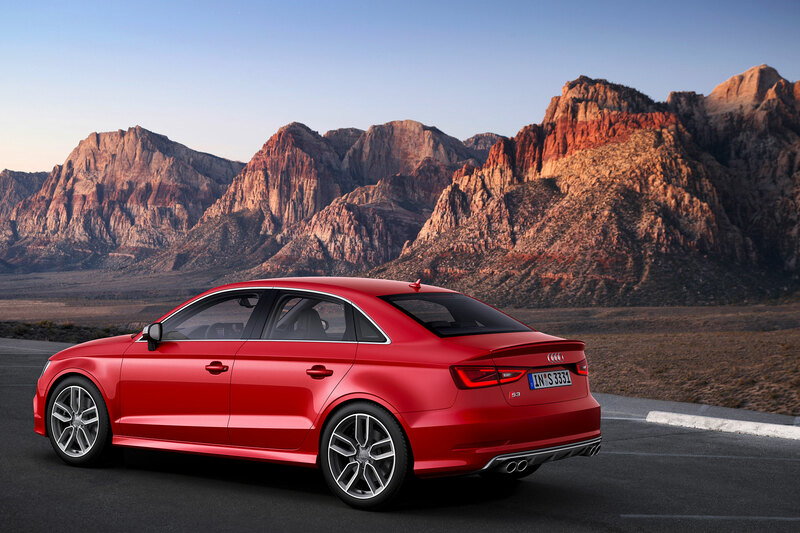 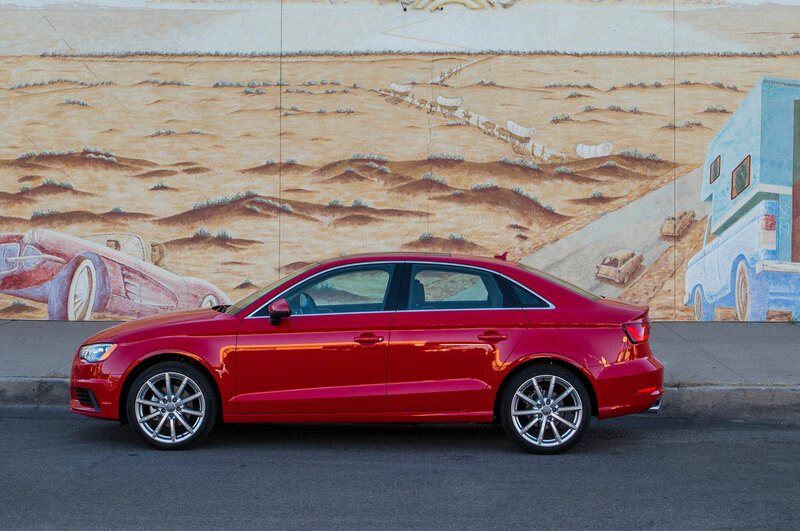 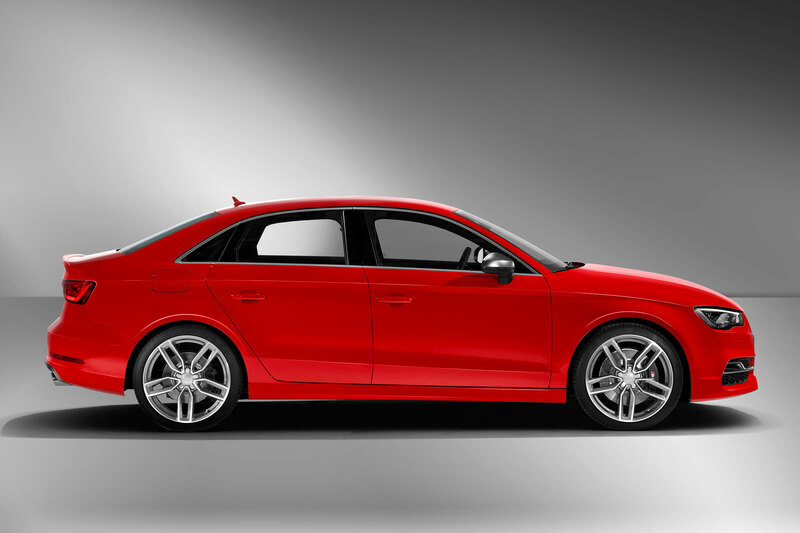 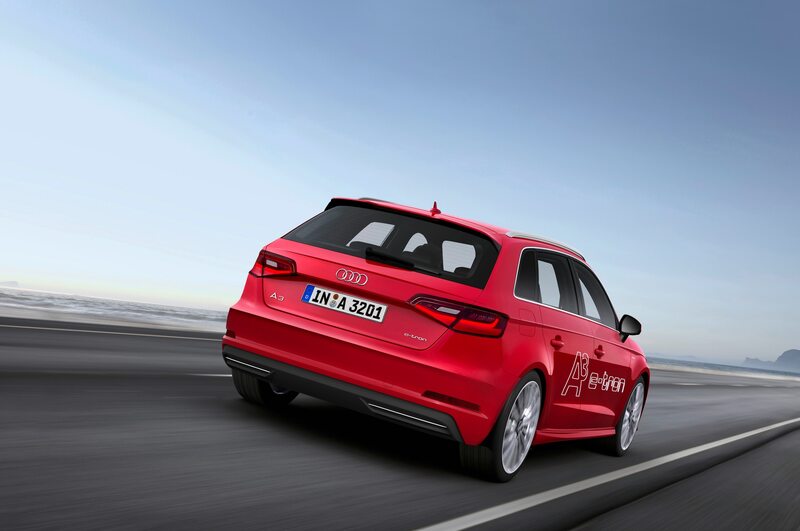 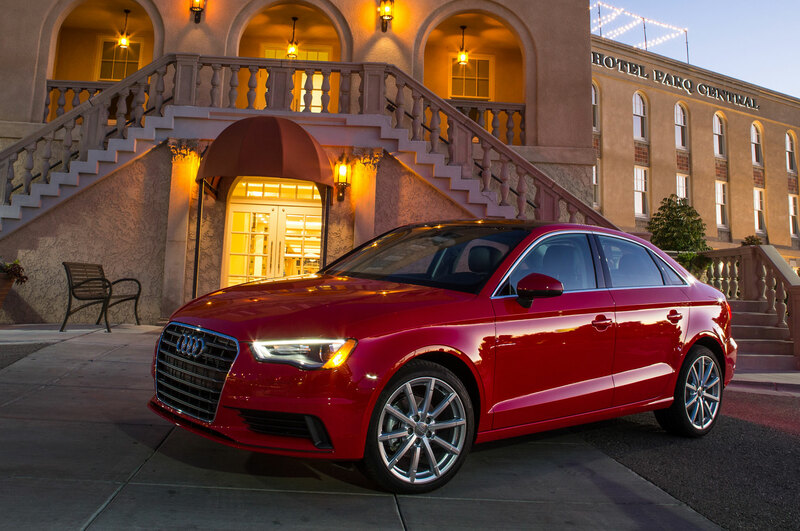 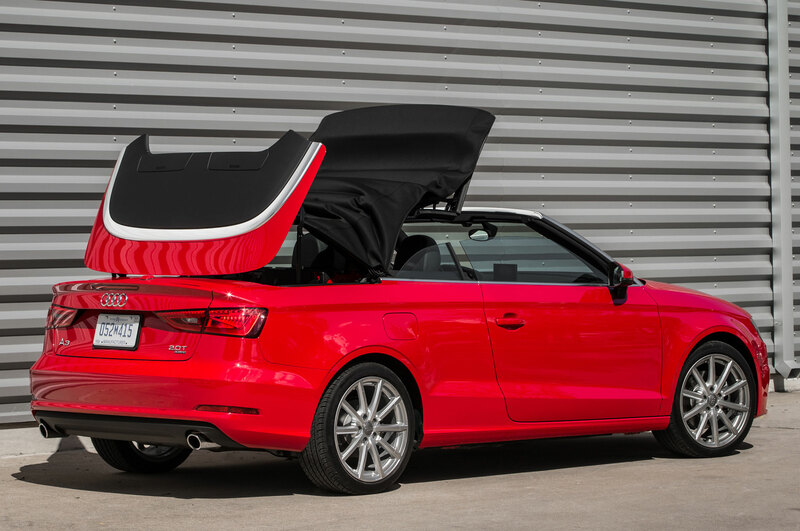 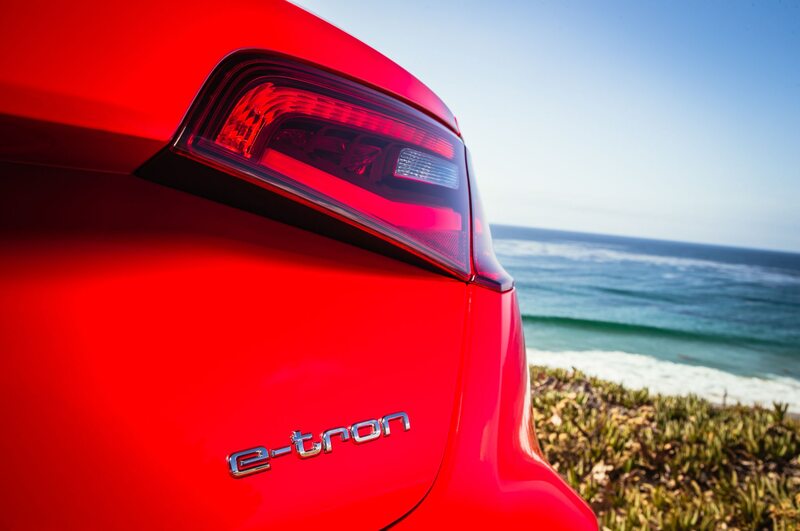 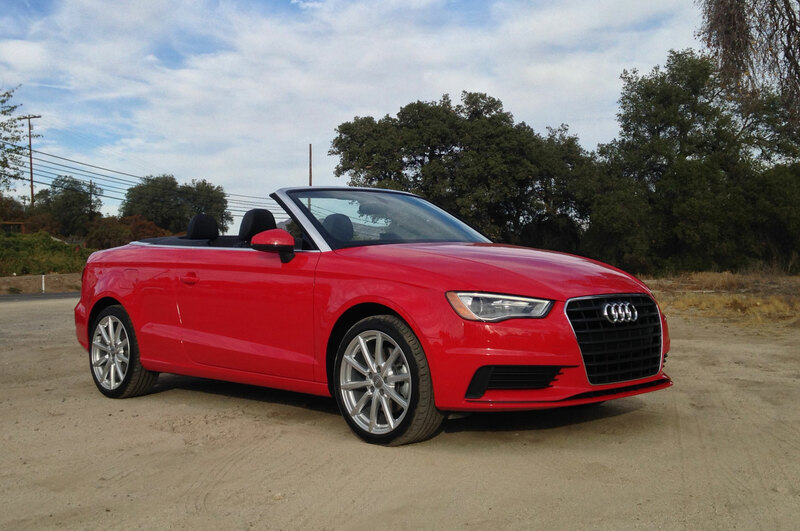 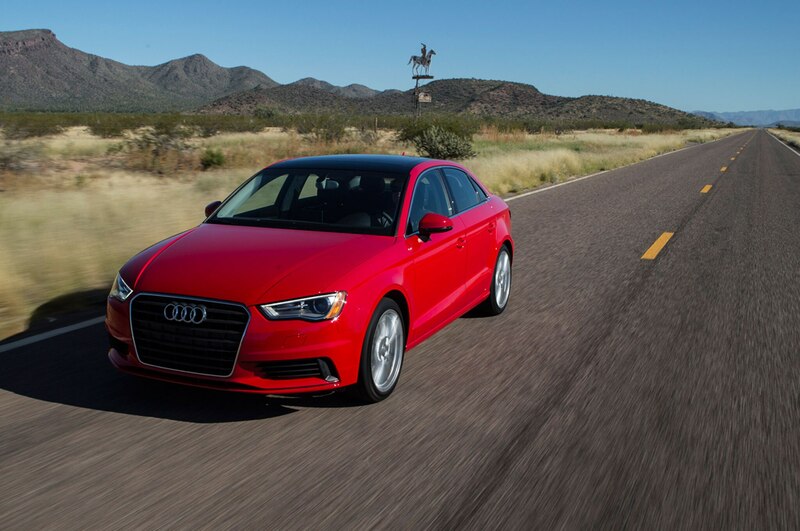 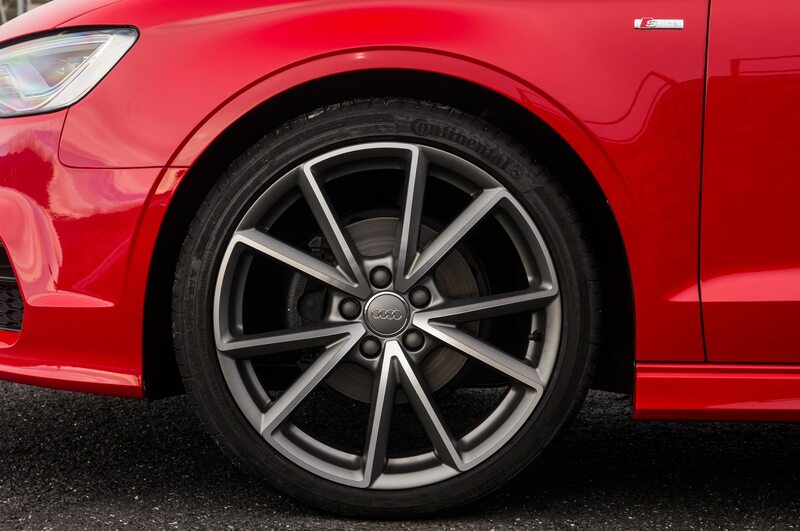 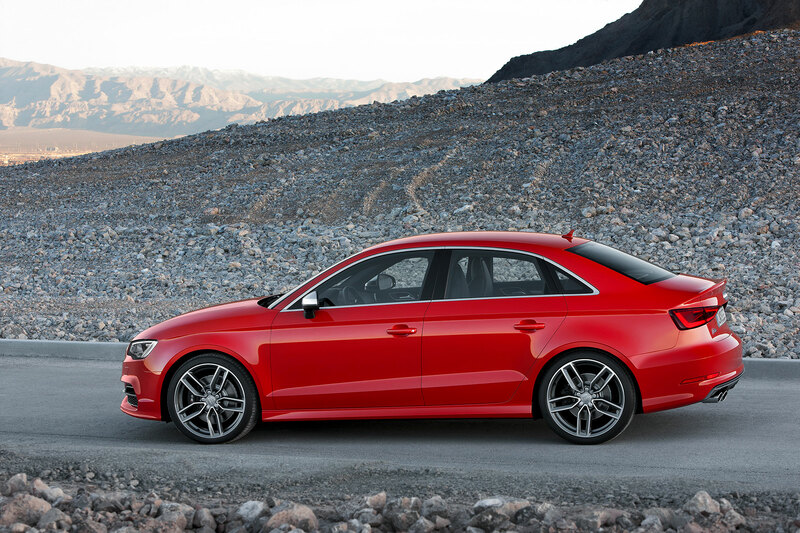 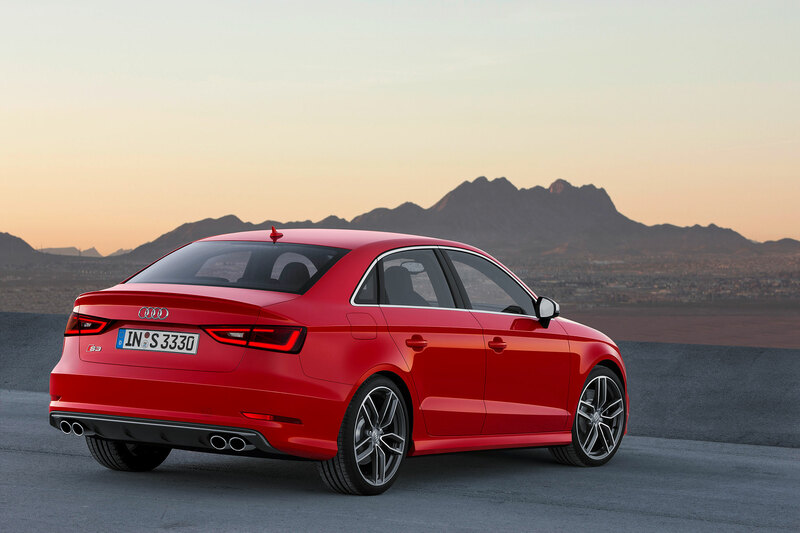 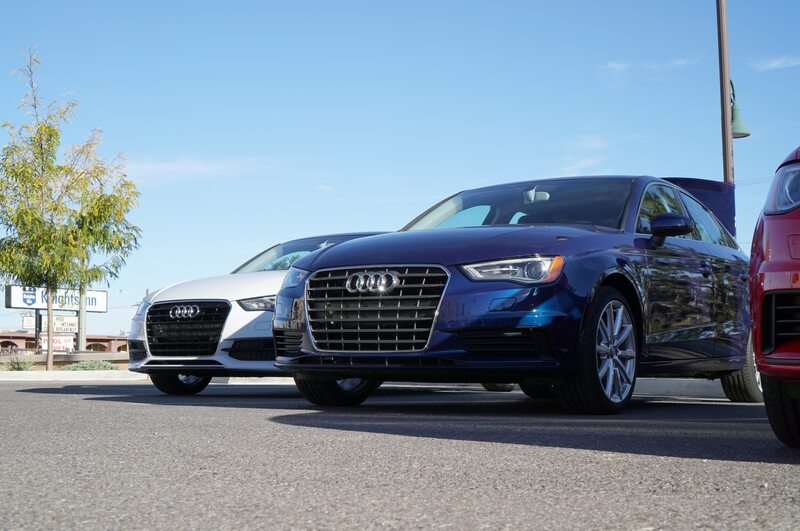 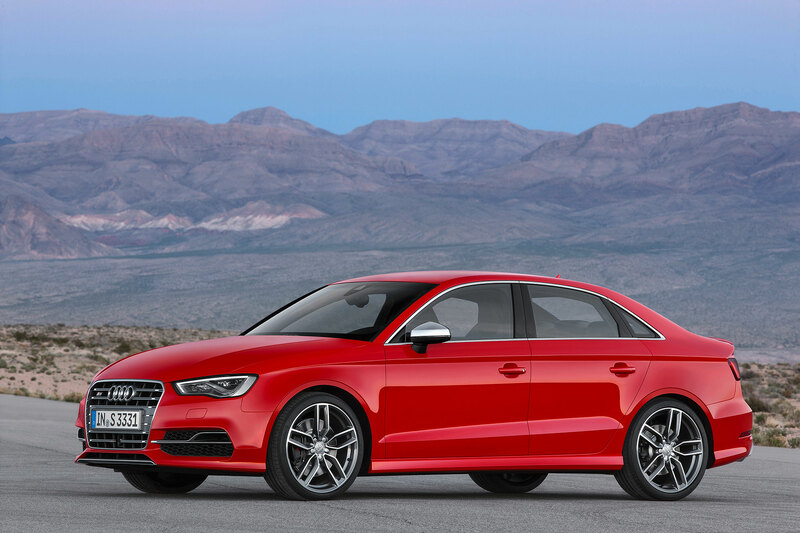 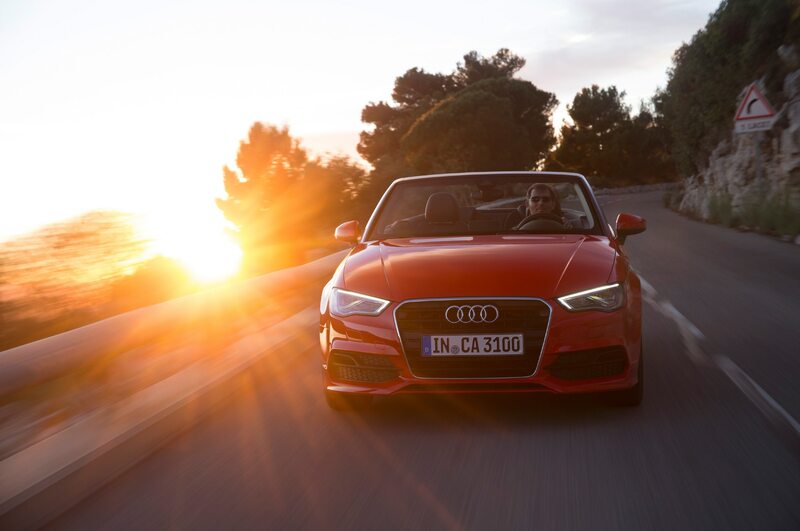 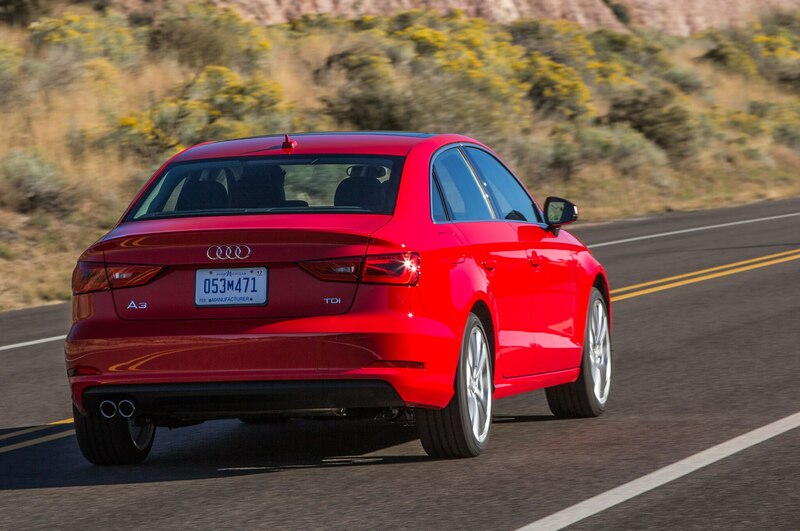 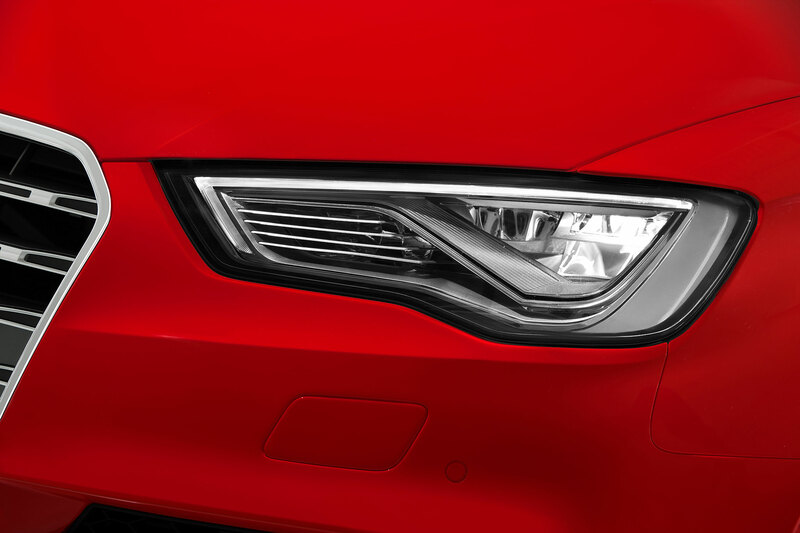 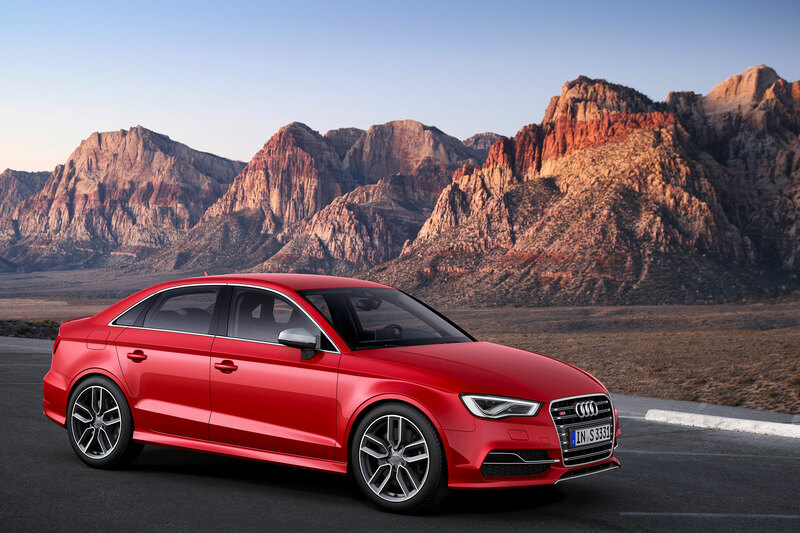 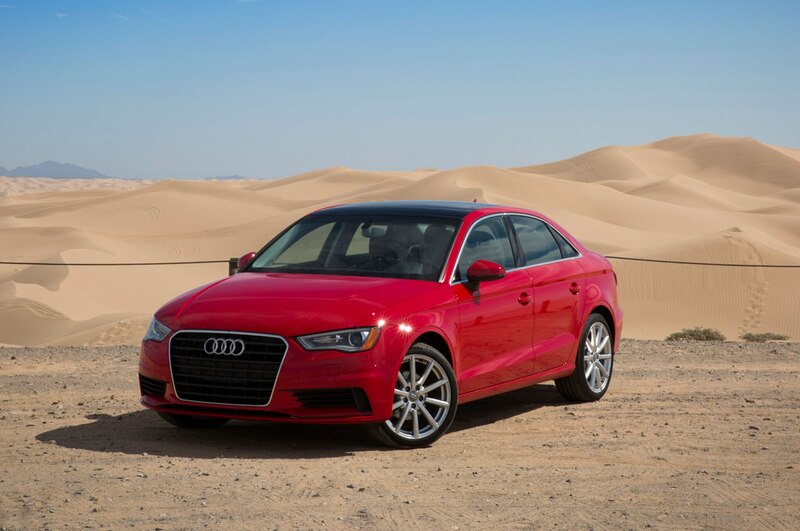 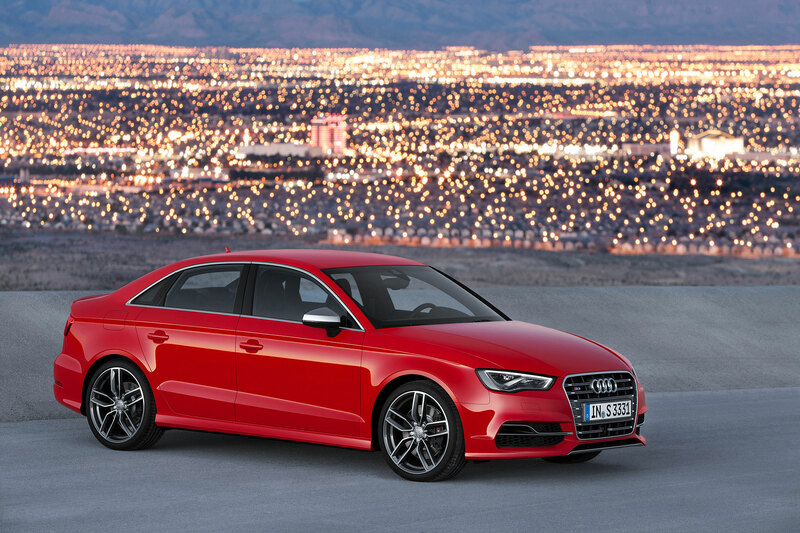 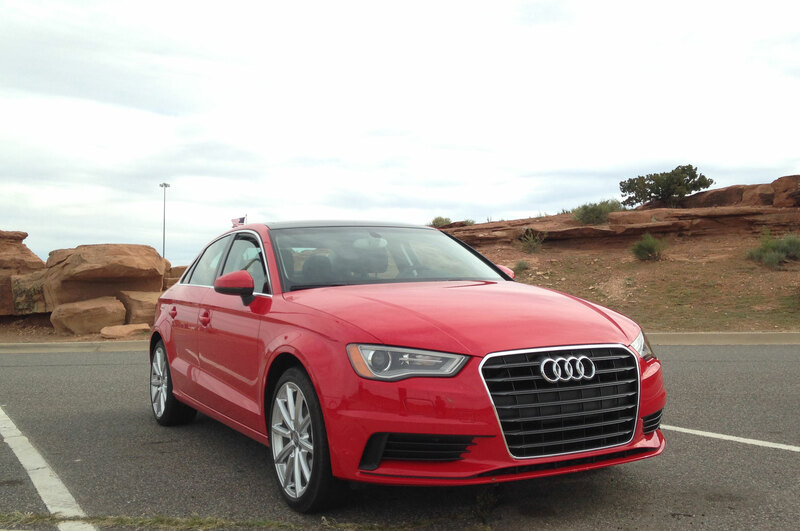 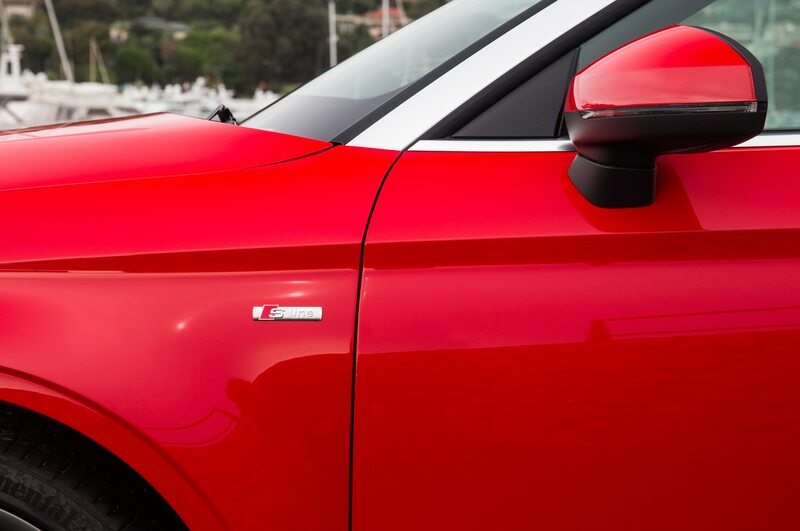 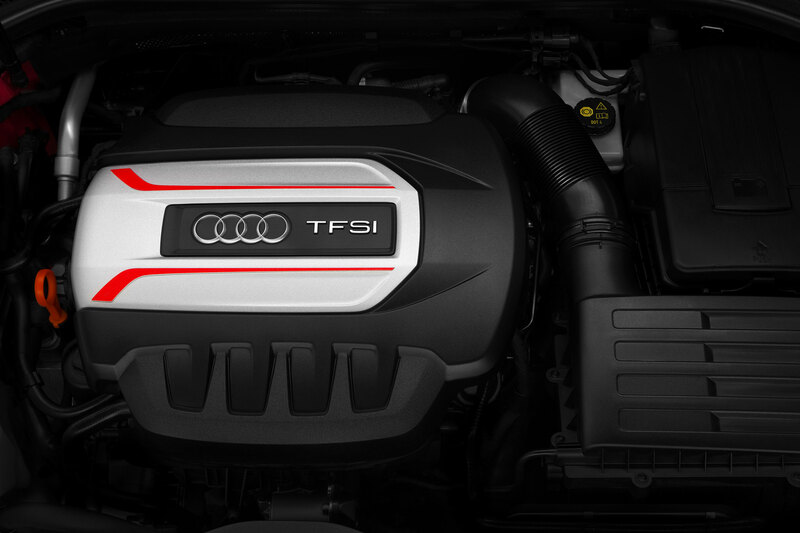 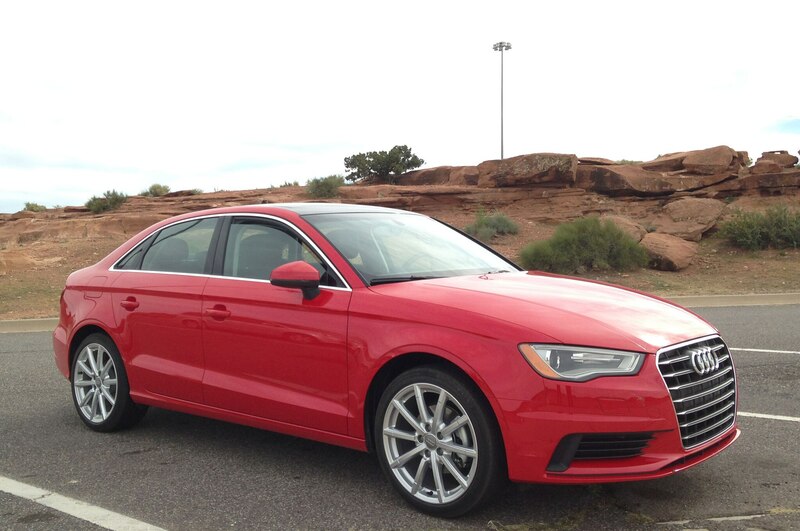 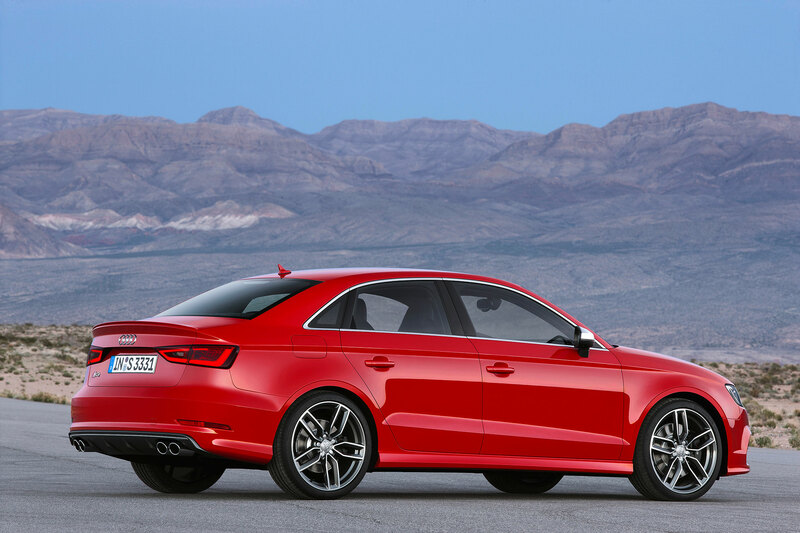 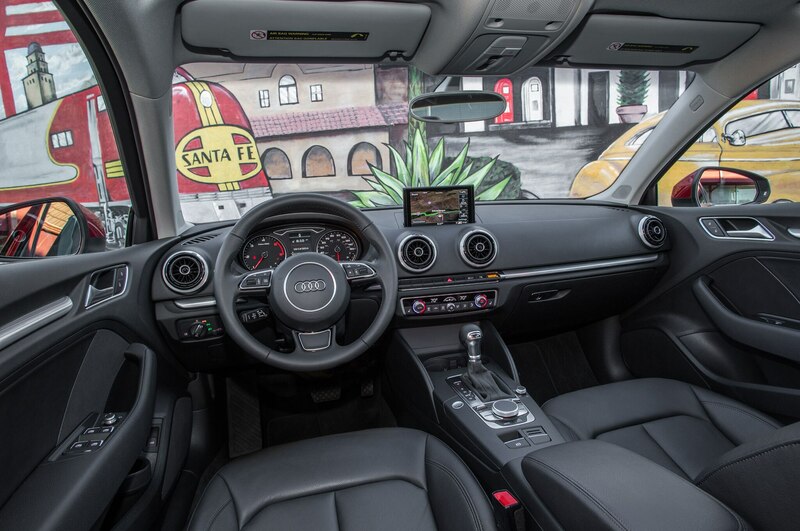 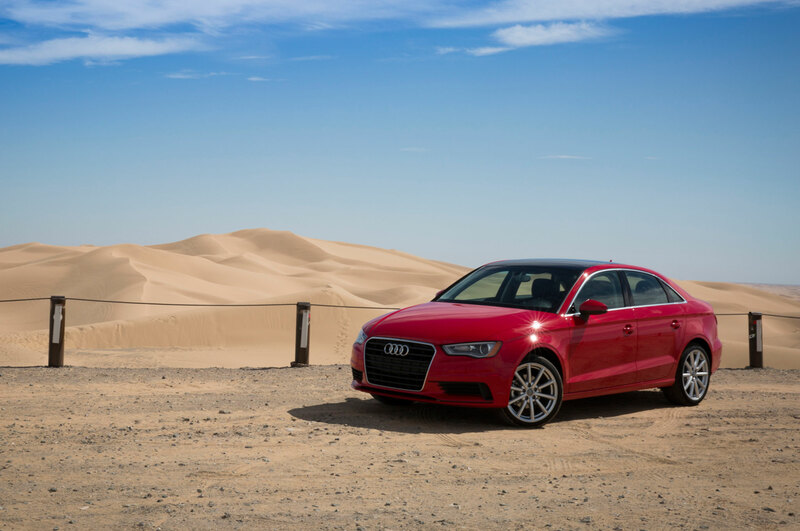 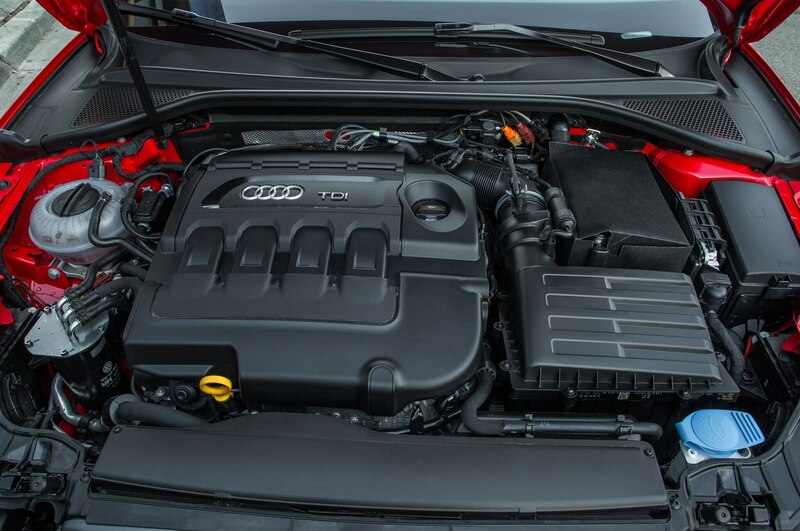 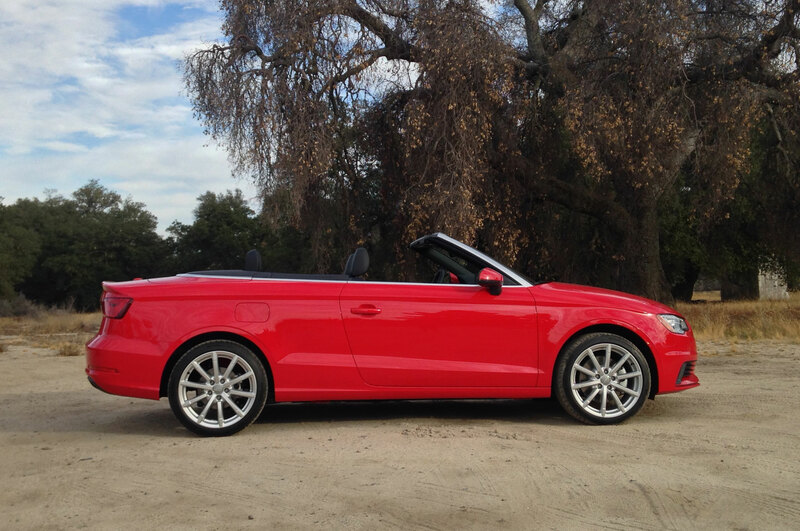 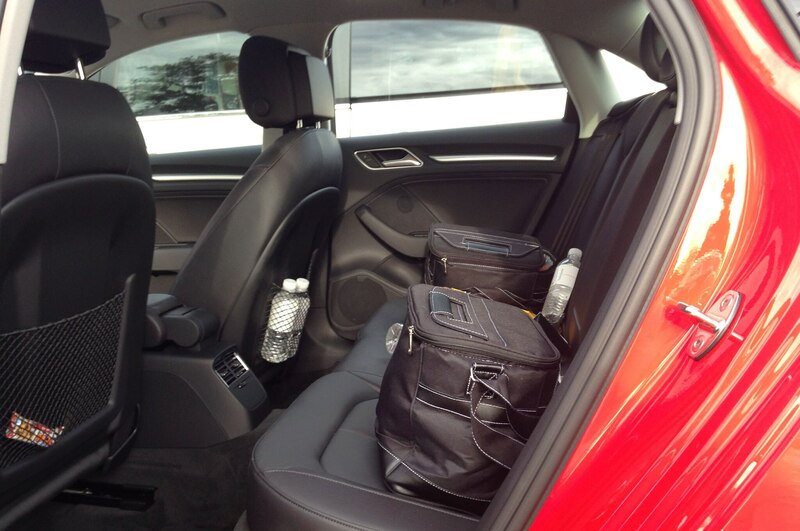 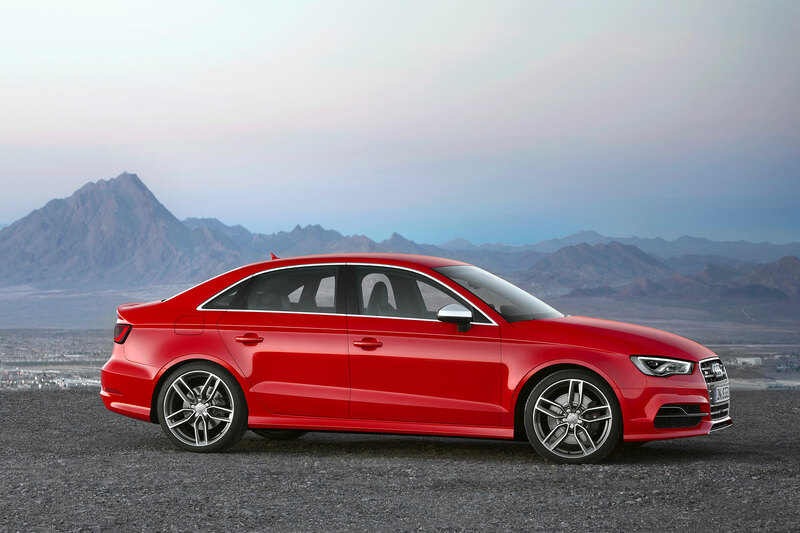 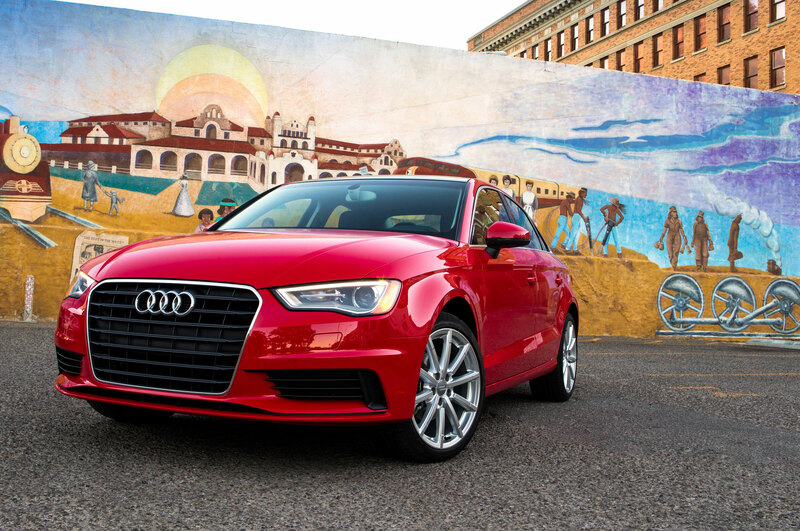 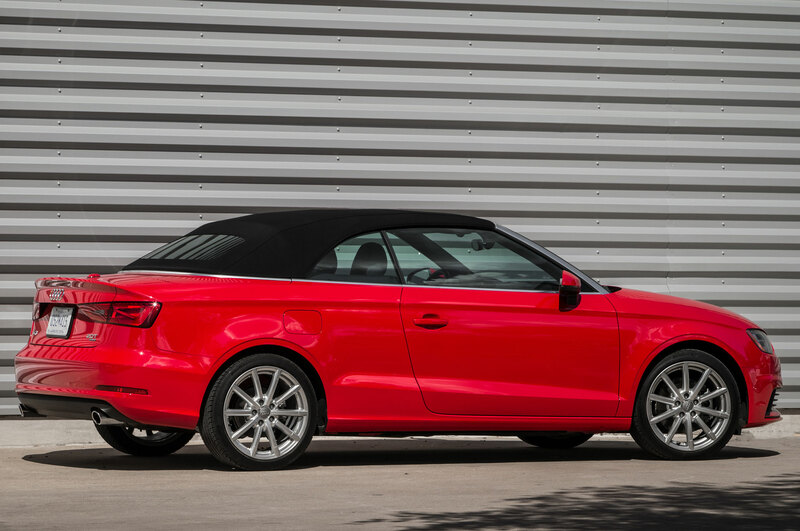 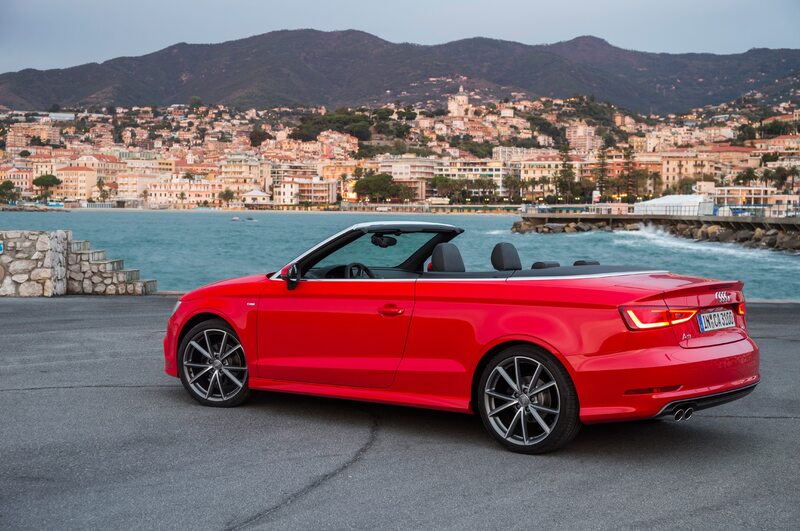 We depart Albuquerque in a 2015 Audi A3 TDI we dub Red Fury. 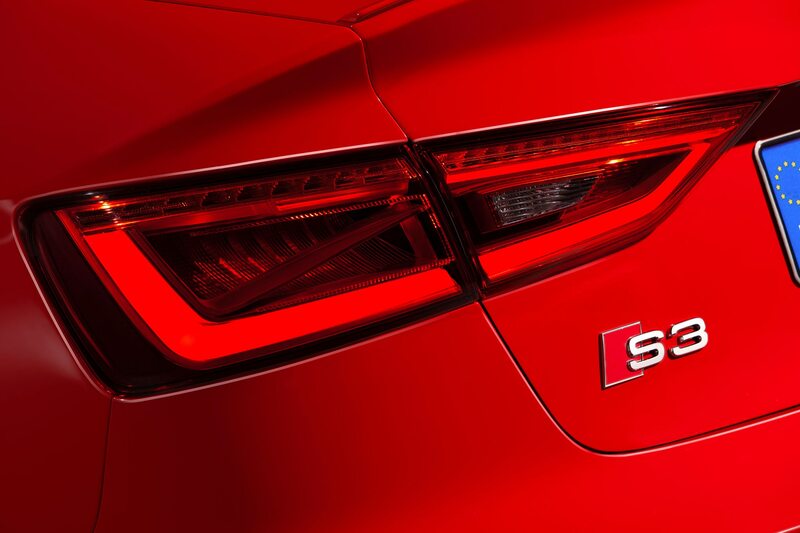 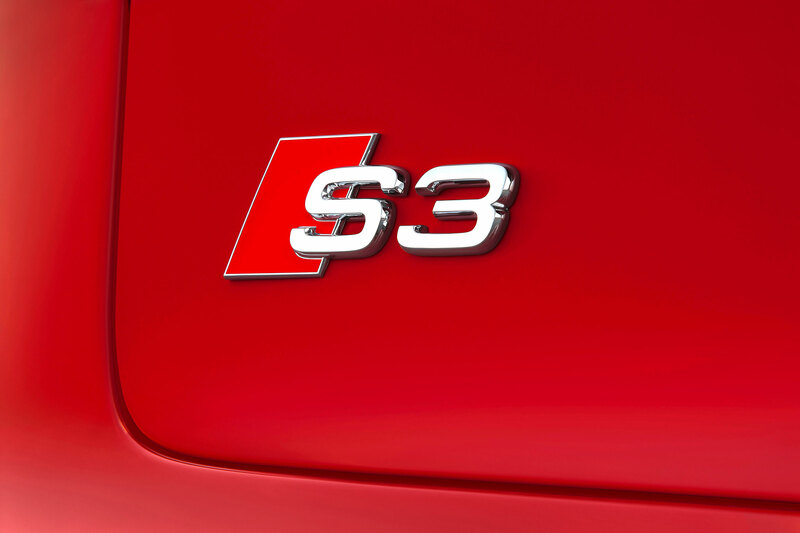 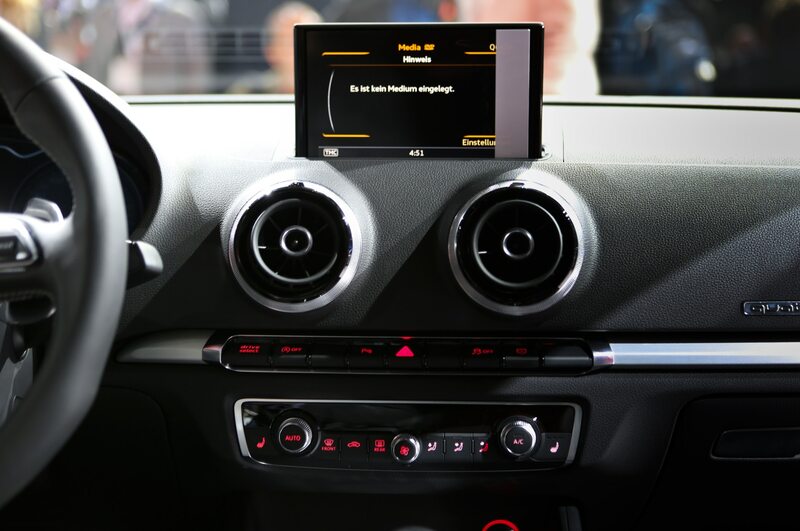 Per Wayne’s advice, we’re feverishly upshifting the six-speed dual-clutch automatic transmission in manual mode, trying to reach sixth gear as soon as possible so the engine will stay at minimum revs. 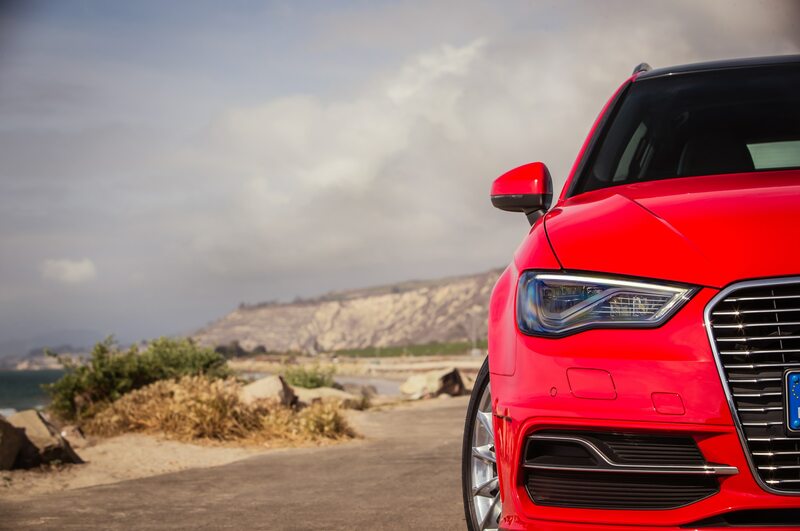 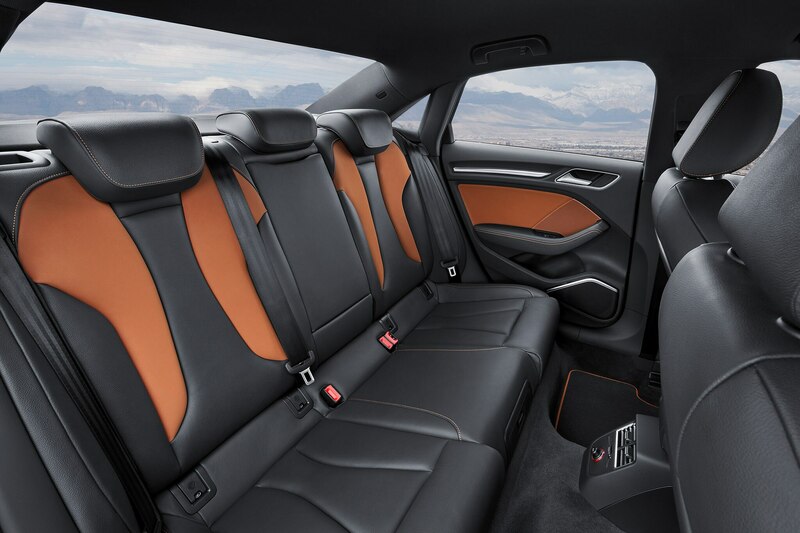 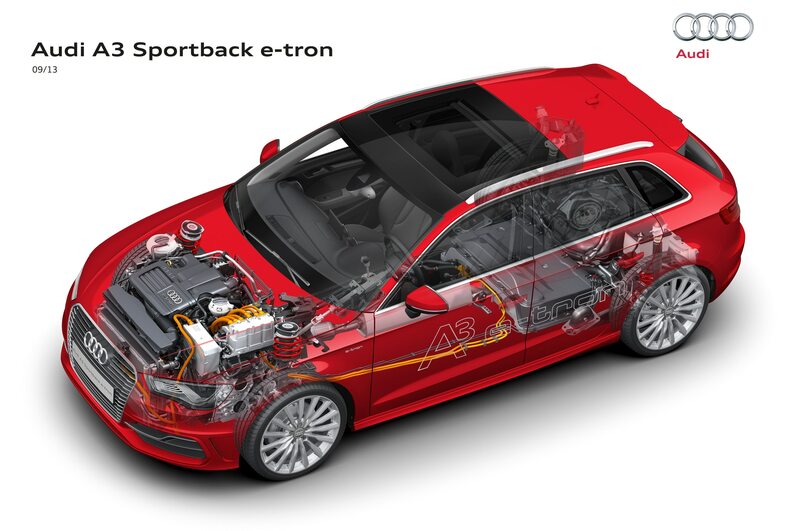 Fortunately, the 2.0-liter turbodiesel four, shared with the new Volkswagen Golf TDI, offers a potent 236 lb-ft of torque at only 1,750 rpm. 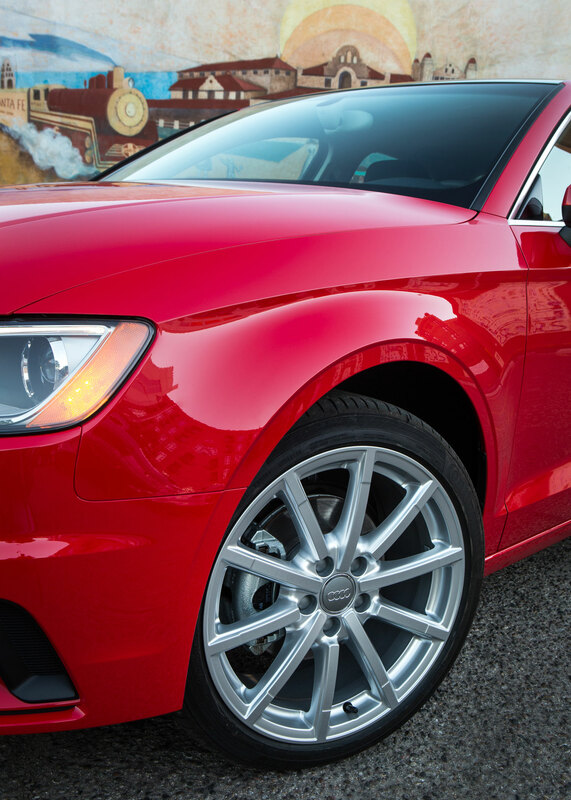 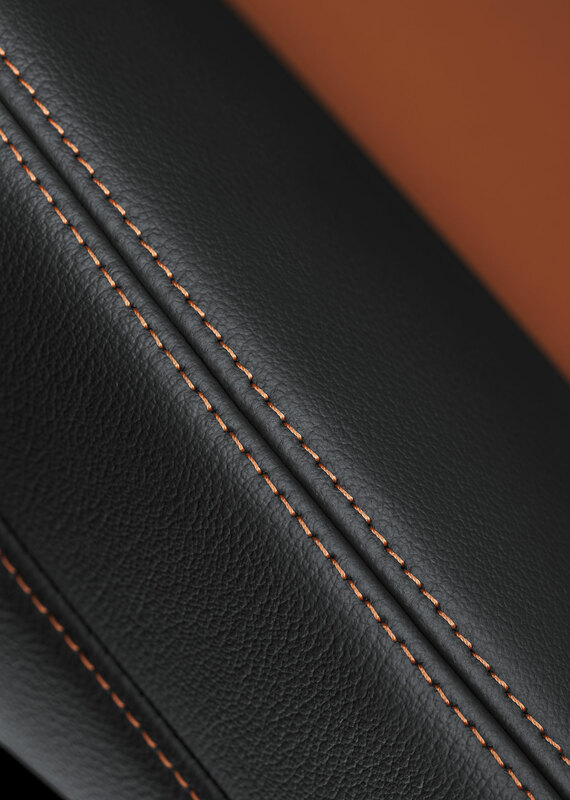 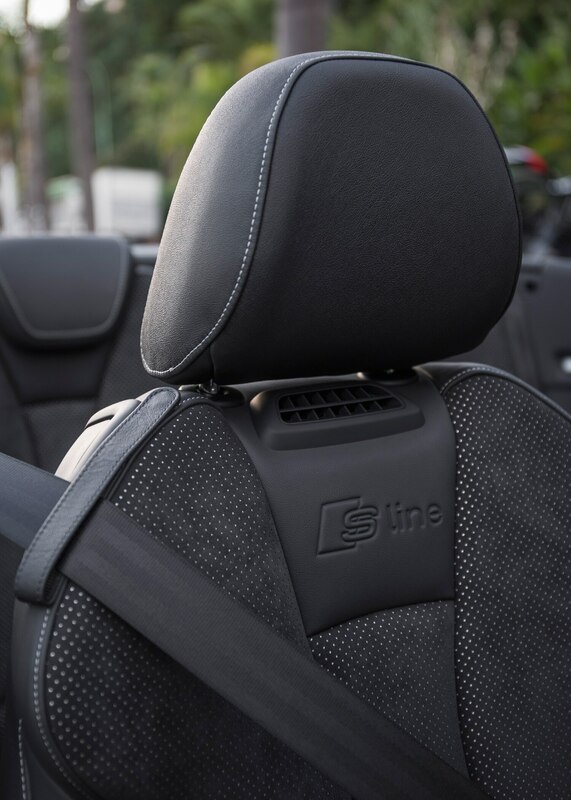 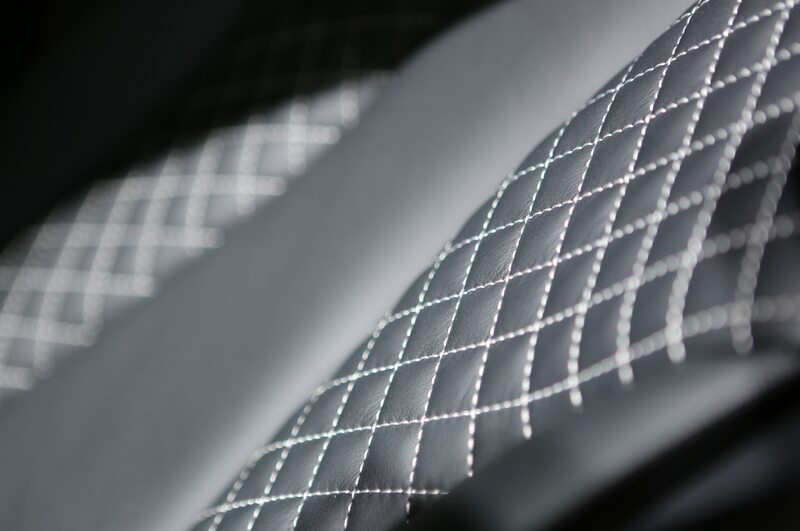 We can shift into sixth gear at just 40 mph, where the engine is barely turning 1,200 rpm. 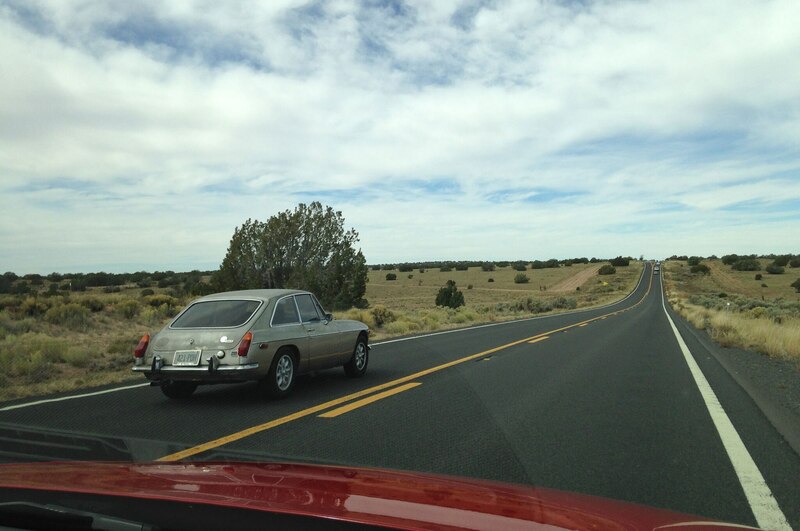 Chugging along at 50 mph on a 65-mph highway, our initial enthusiasm wanes. 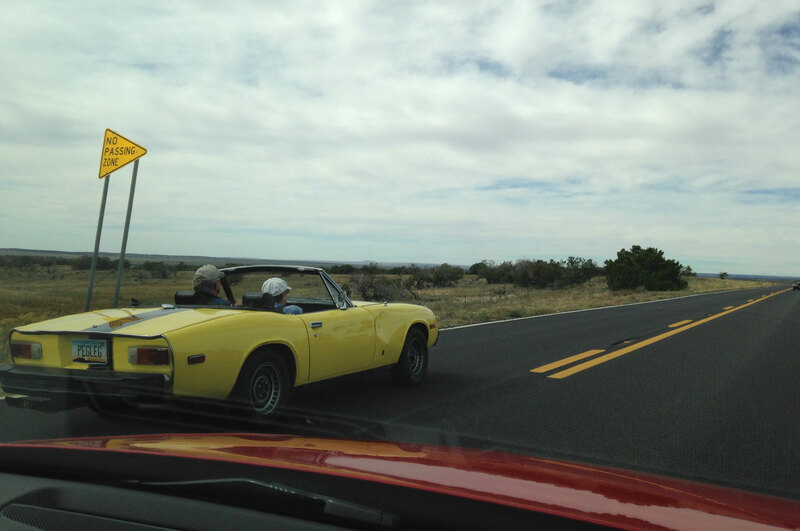 We’re being passed by enormous 18-wheelers, rusted old pickups, motorhomes, and even a rally of old British classics from Jaguar, Lotus, MG, and Triumph. 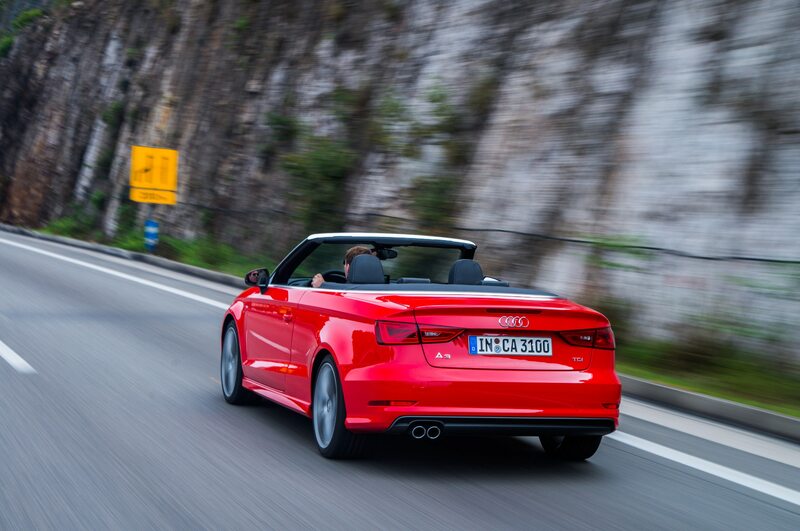 It’s brutal to see them having so much fun. 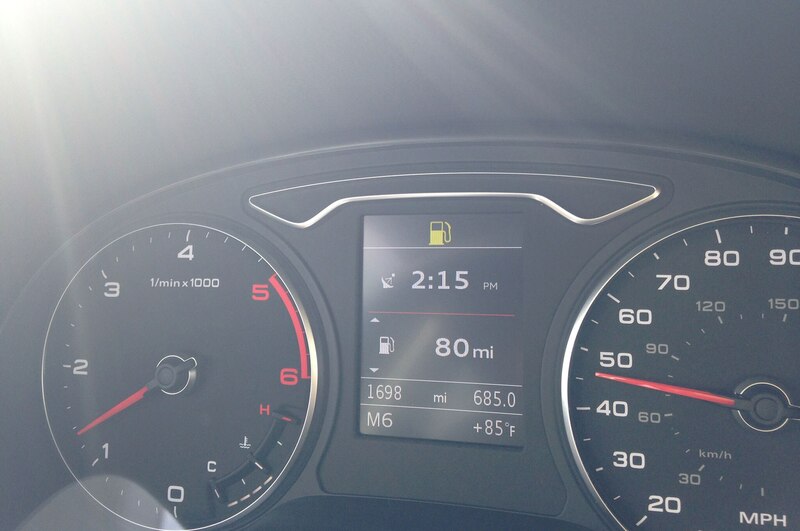 Hypermiling, it turns out, is woefully boring. 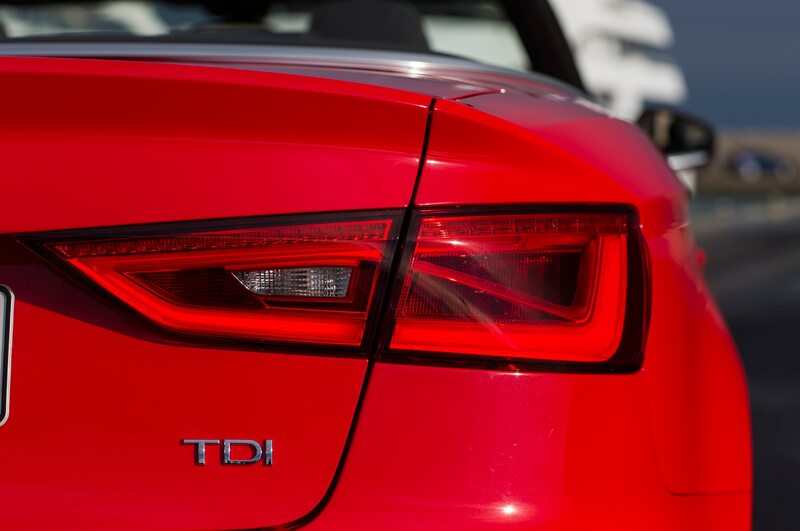 On the brighter side, our average fuel economy is rising steadily. 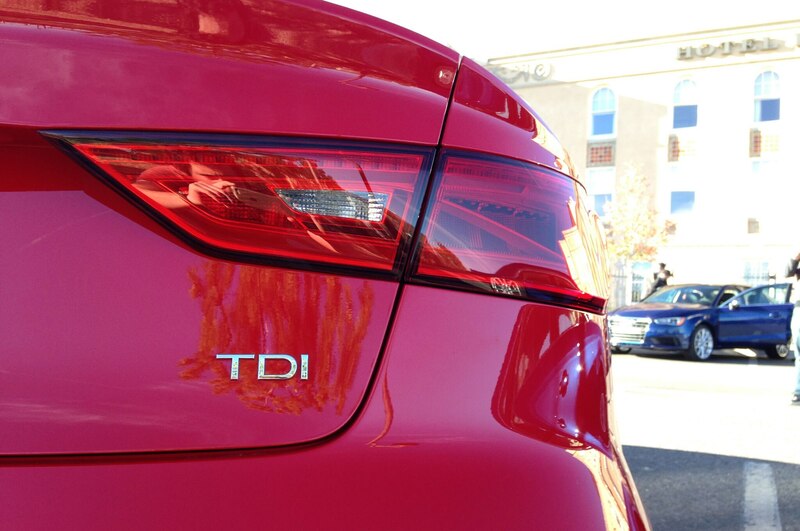 Our initial 40 mpg soon turns to 45 mpg, and things start to look even rosier when the digital readout says 50 mpg. 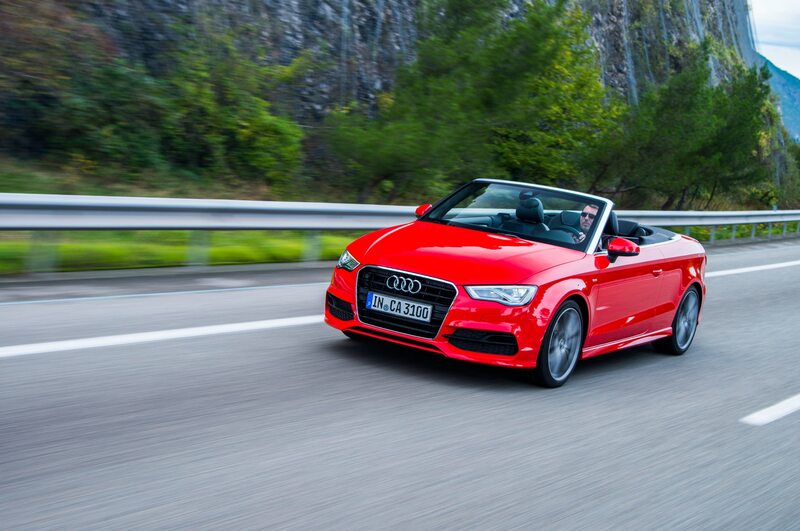 Then, it happens: our first major hill climb. 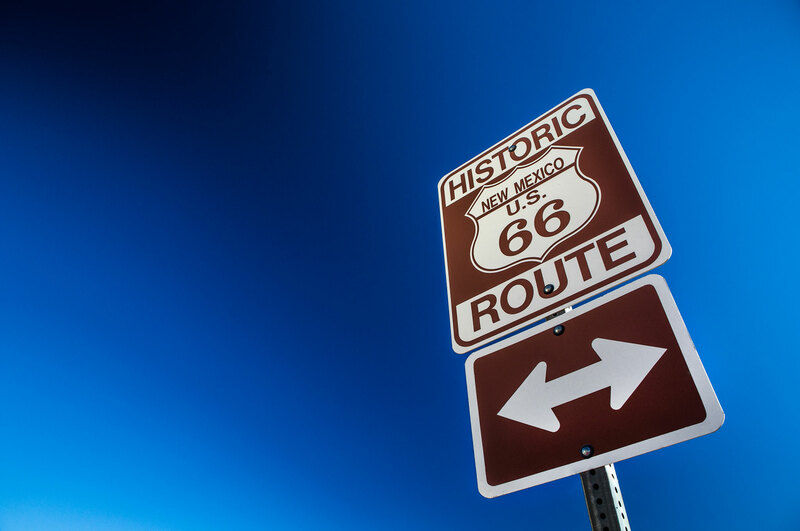 The steep hill seems to go on endlessly, as we try desperately to stay in sixth gear. 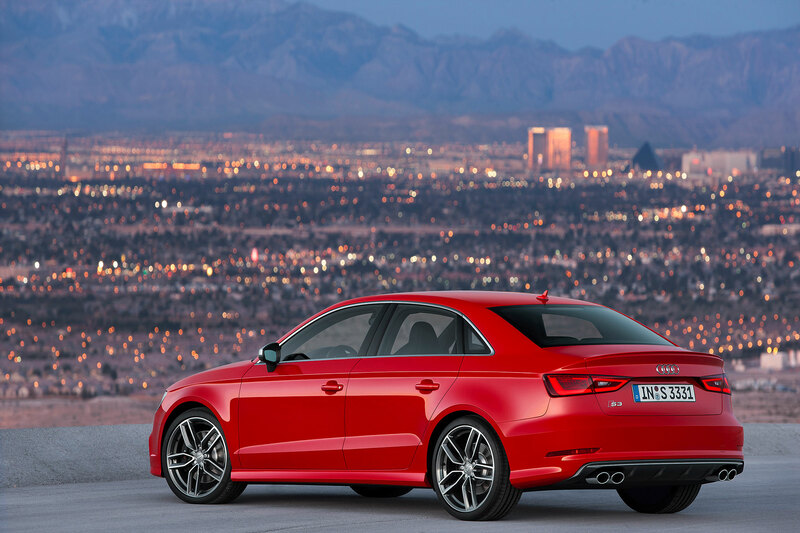 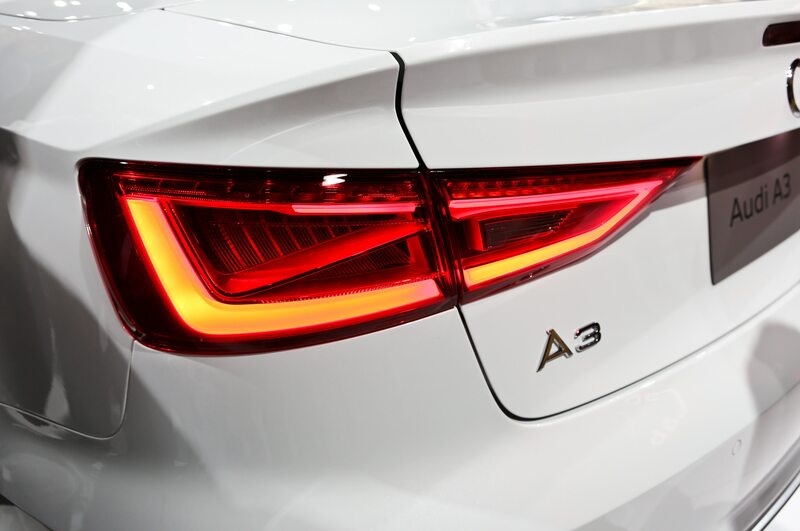 The A3 musters all the torque it can to keep us above 40 mph, but when gravity wins out and we fall below that mark, the dual-clutch gearbox kicks us down to fifth gear. 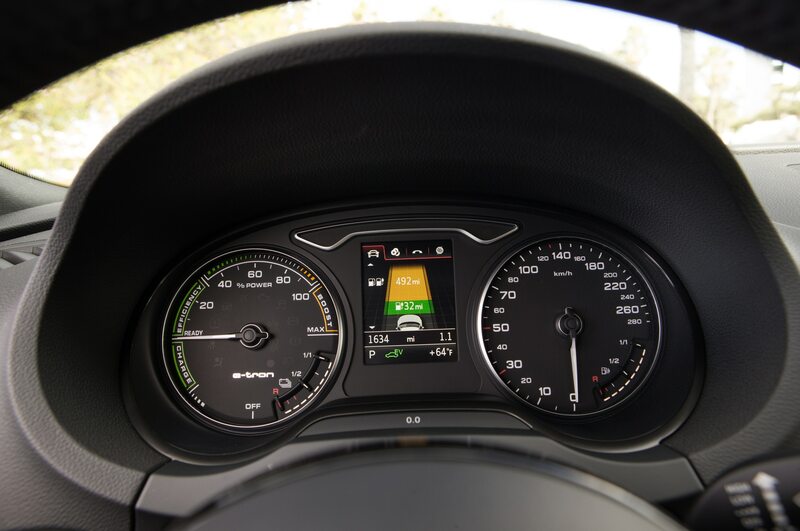 With the tachometer needle at about 1,500 rpm, we gather enough momentum and speed until the car will let us shift back into sixth, at which point the cycle repeats. 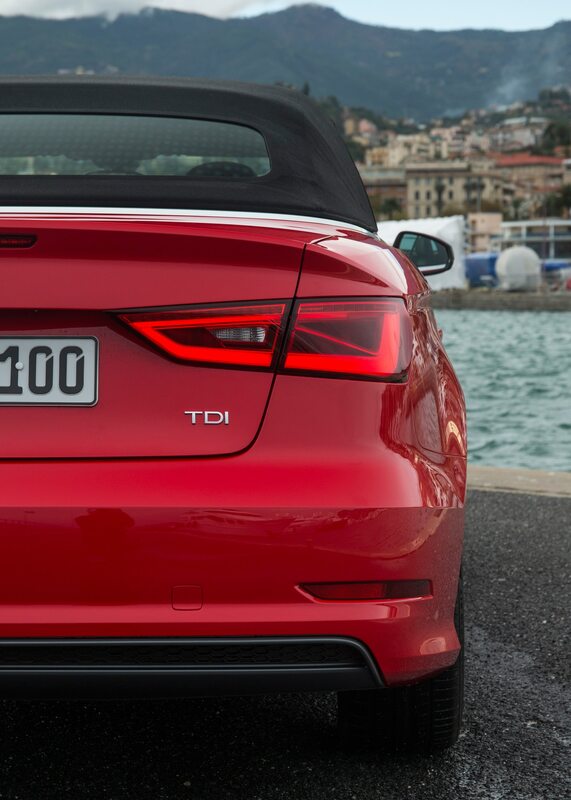 Now our numbers are falling, and fast. 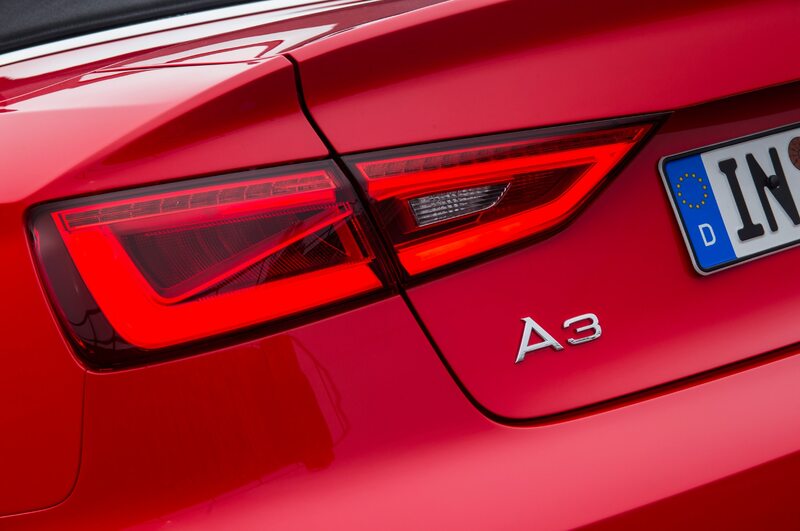 Soon we’re back down to a measly 47-mpg average, and a shiver runs down our spine as the Aspire comes to mind. 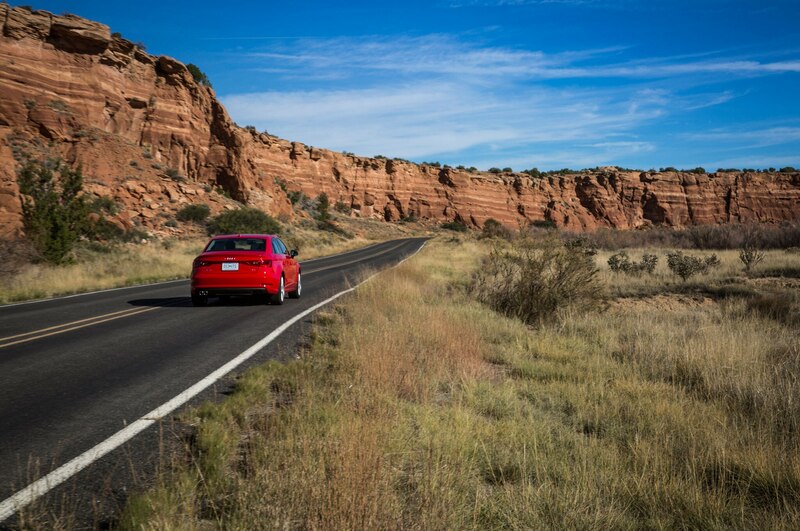 When you’re too focused on fuel economy to even appreciate the beauty of the Southwest’s landscape, seeing all of your progress melt away adds insult to injury. 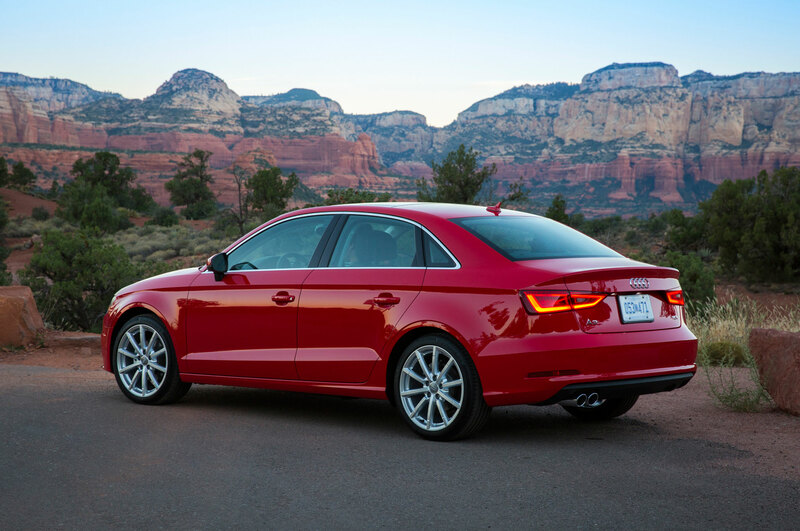 We’re on a single-lane road headed toward Sedona, and the pissed-off blondes in the Kia Soul are behind us, waving their arms in our rearview mirror. 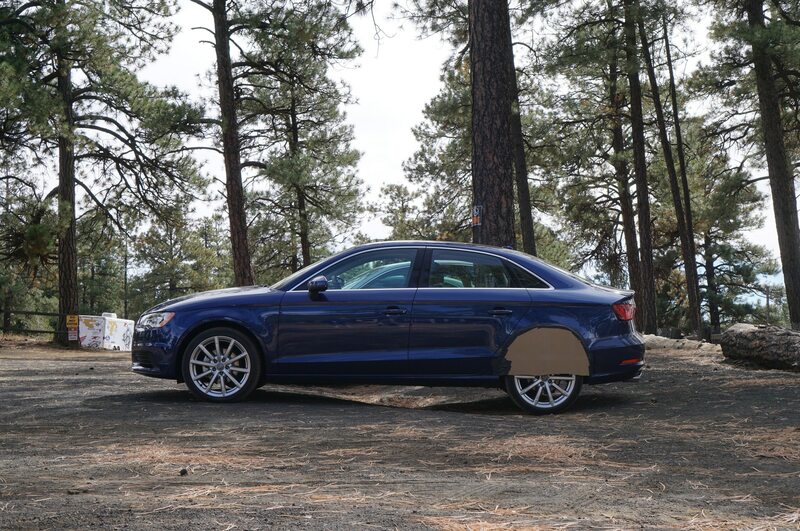 After about 15 minutes of their fuming, we start down a long, winding mountain pass into Sedona and kiss the Kia good-bye. 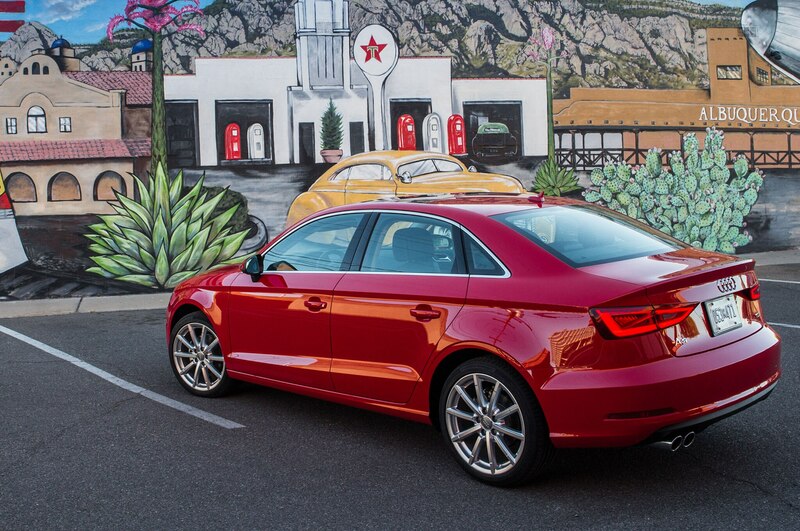 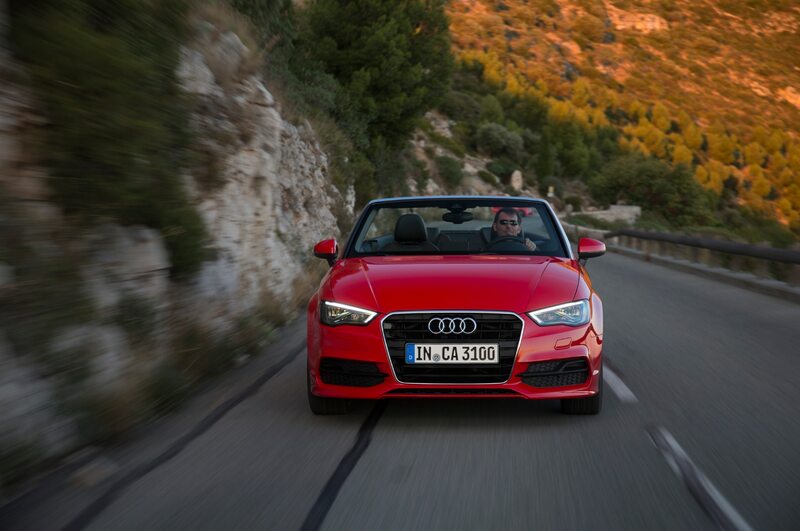 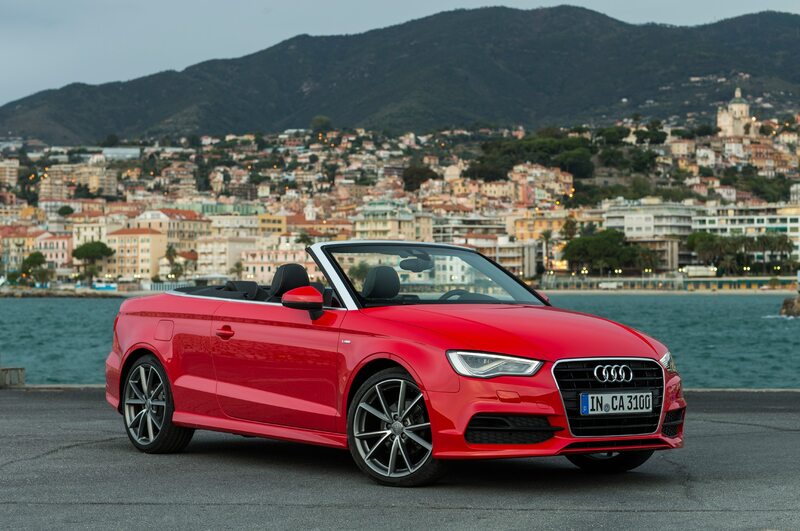 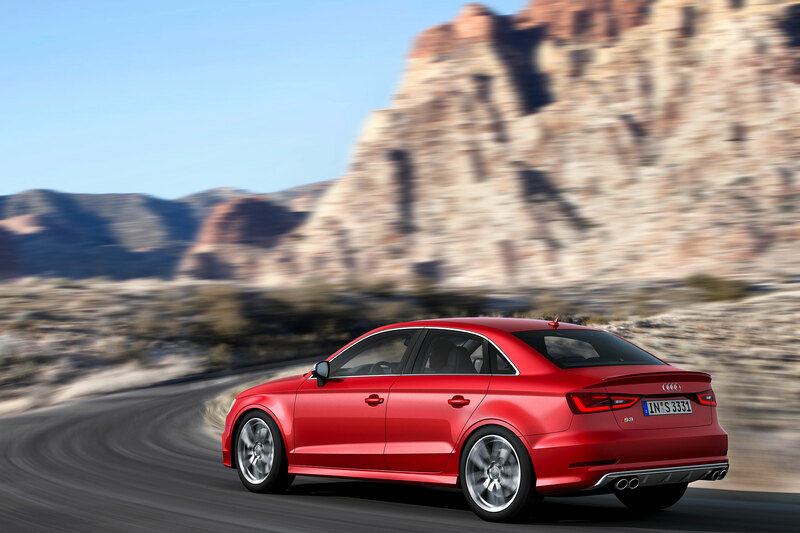 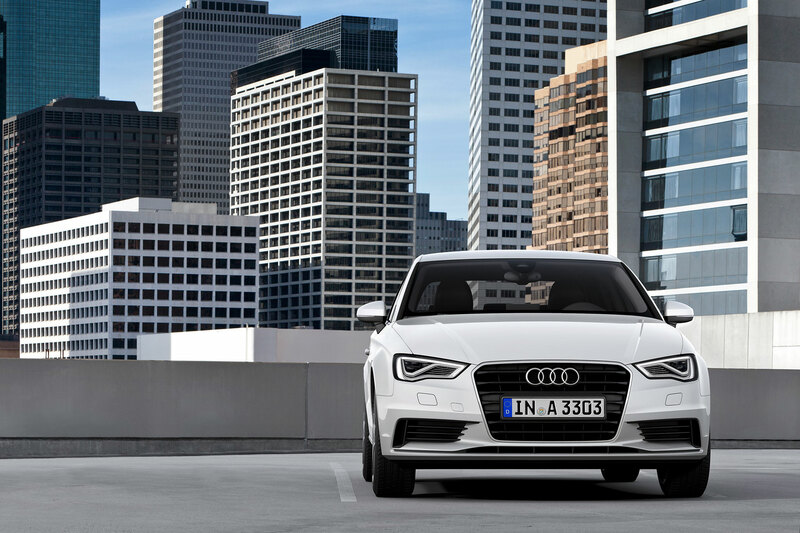 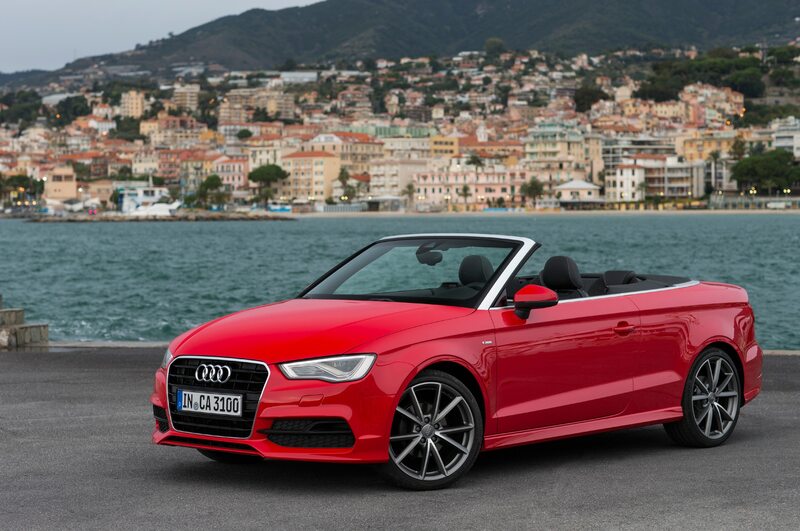 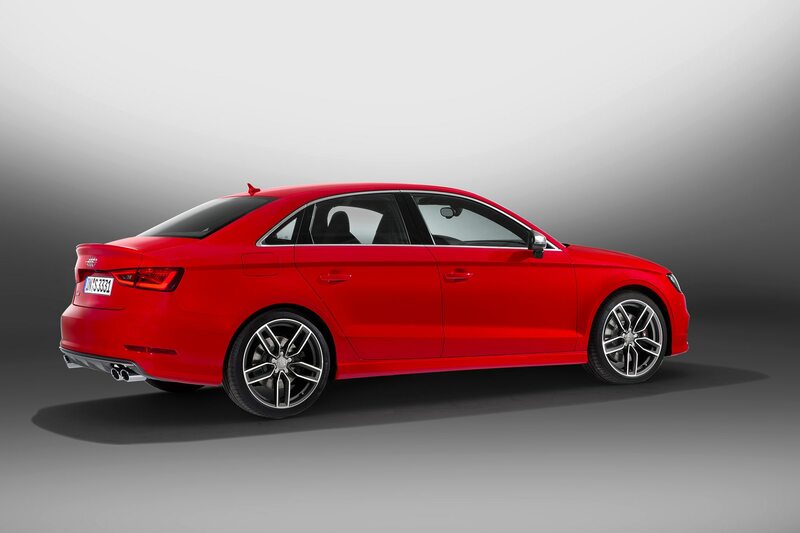 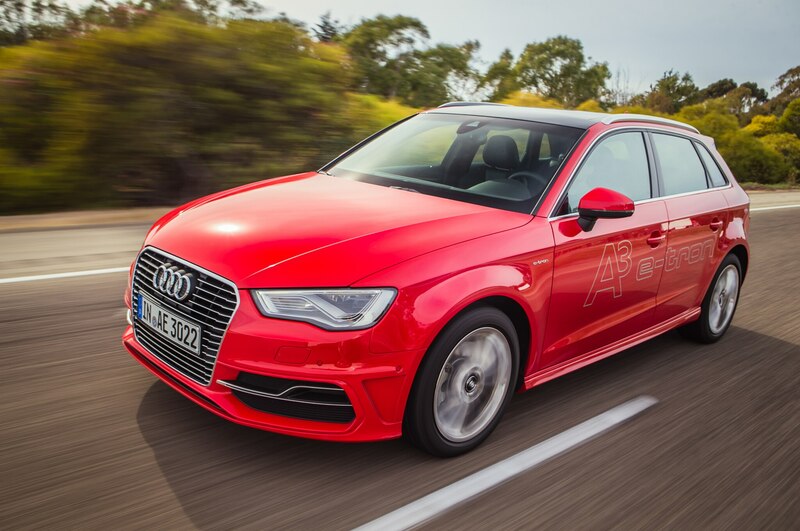 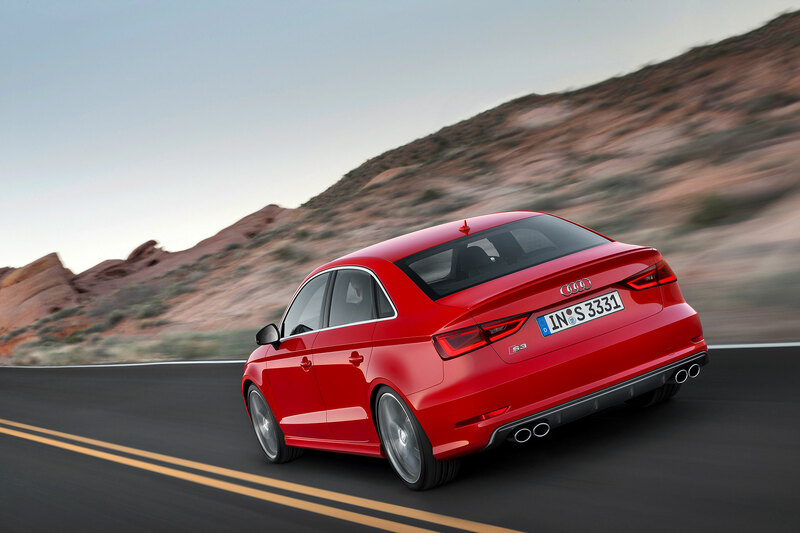 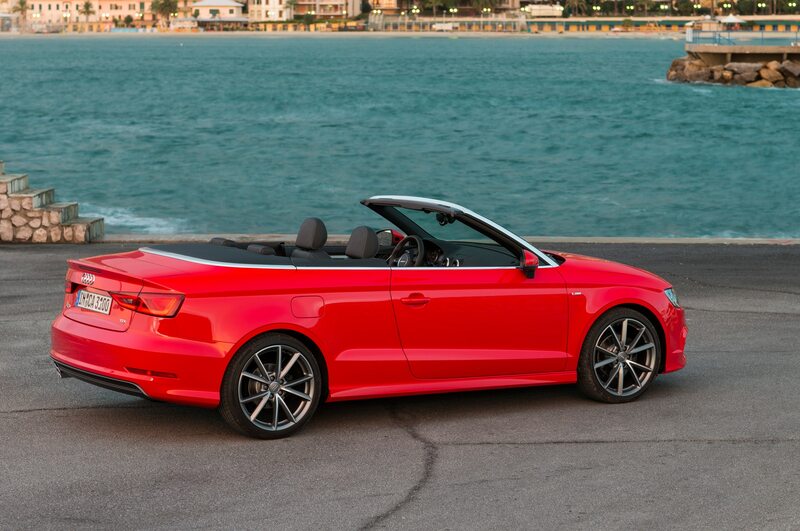 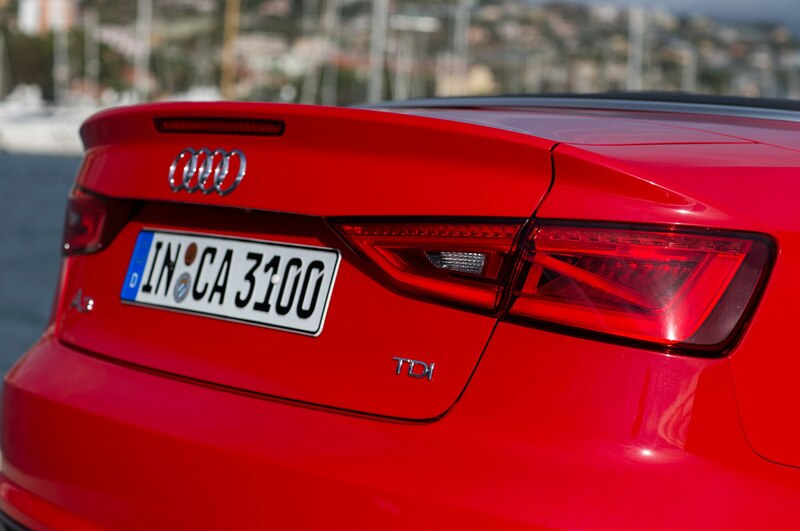 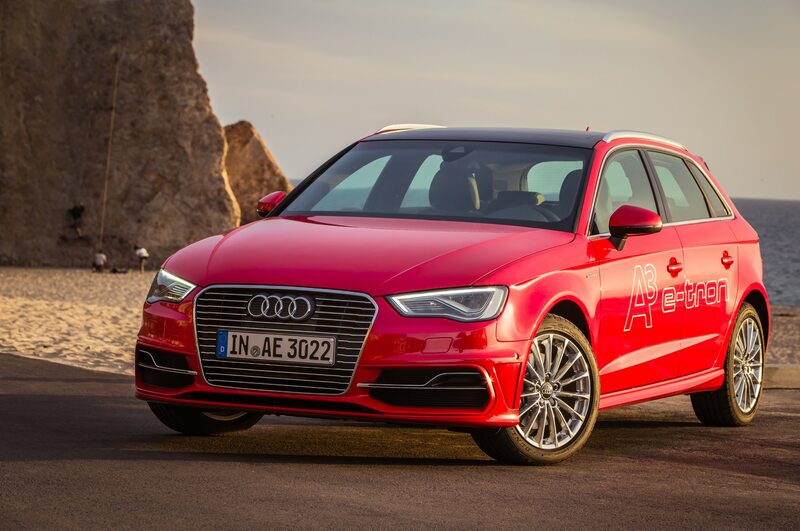 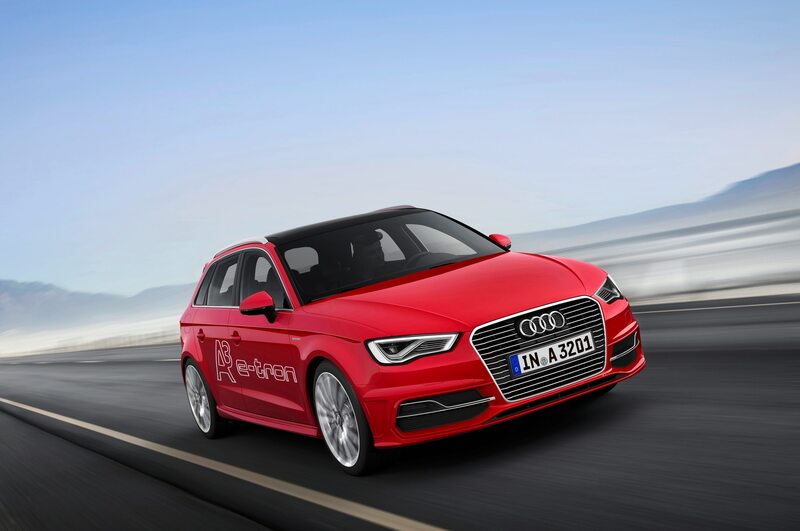 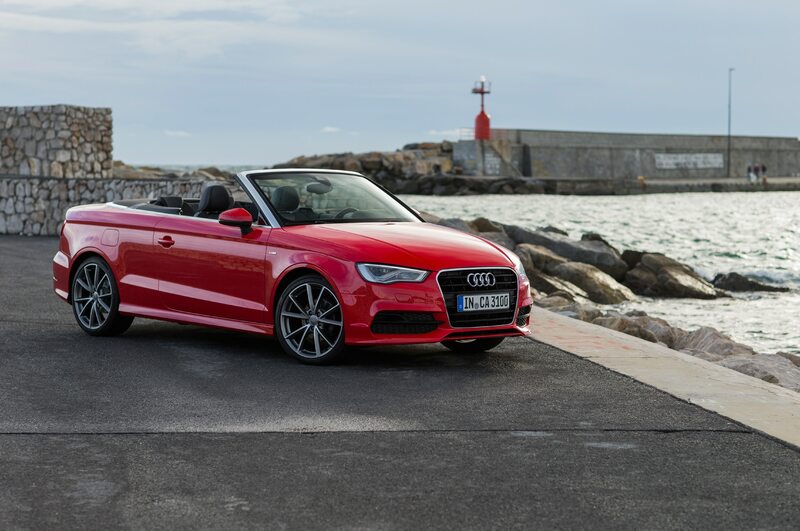 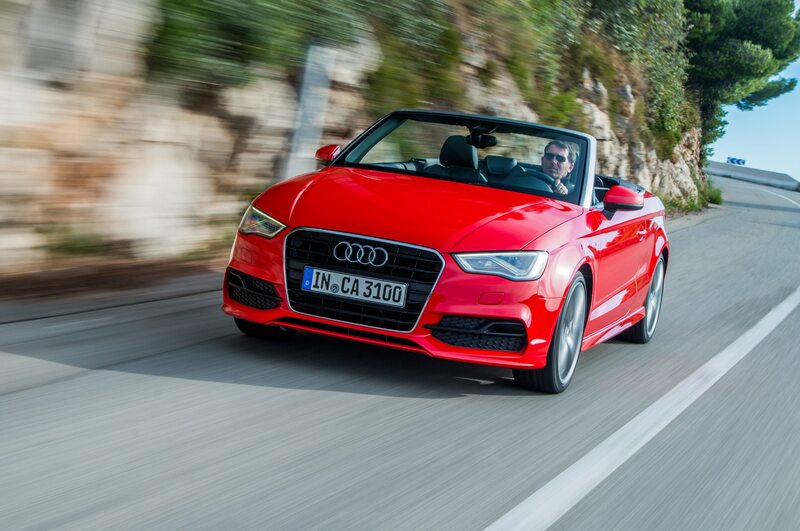 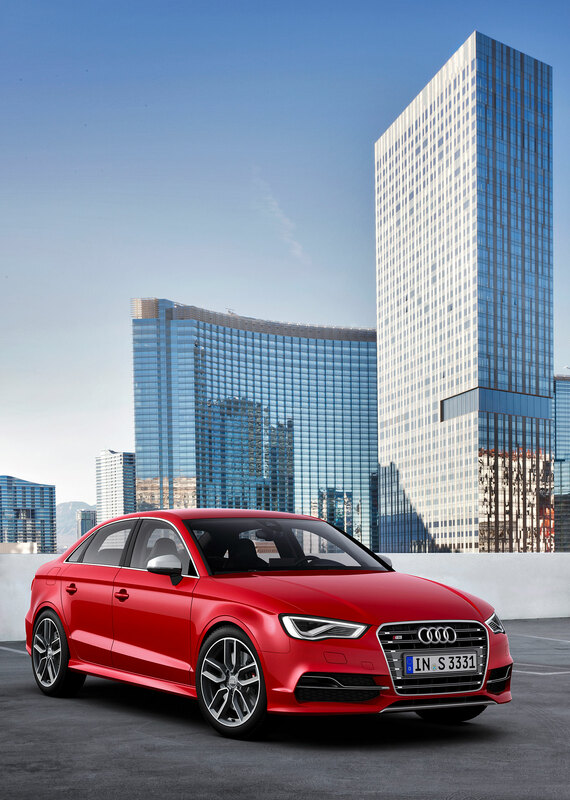 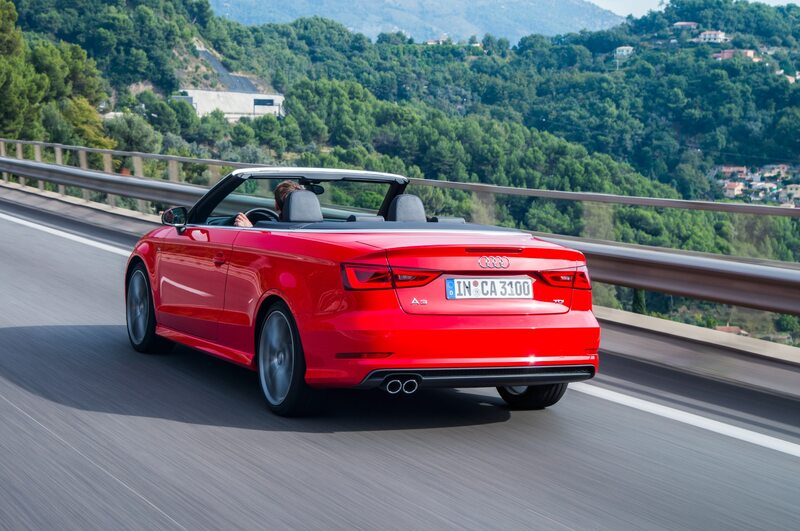 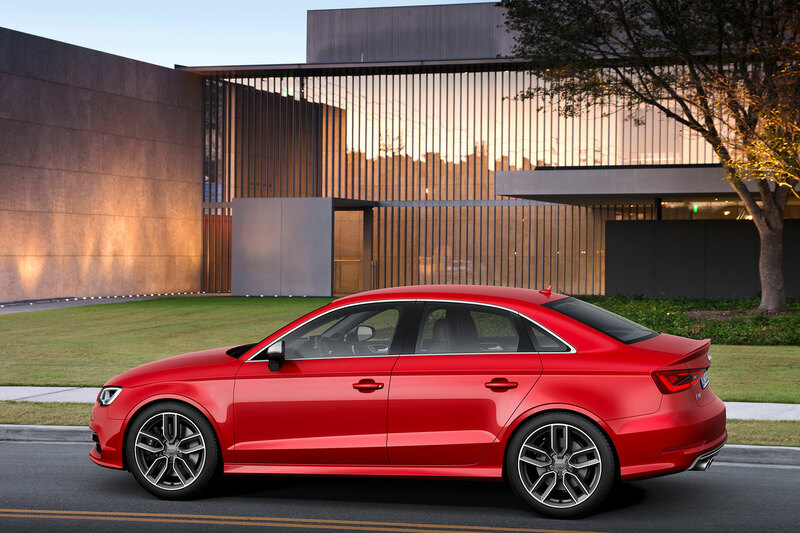 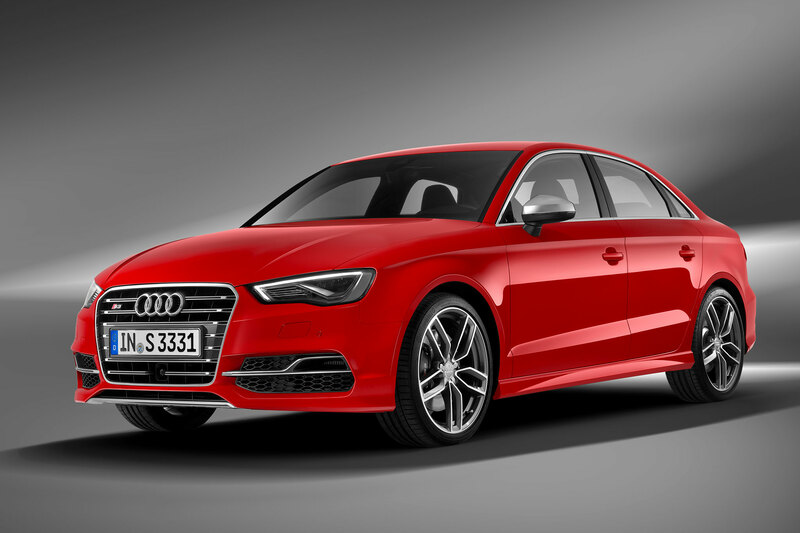 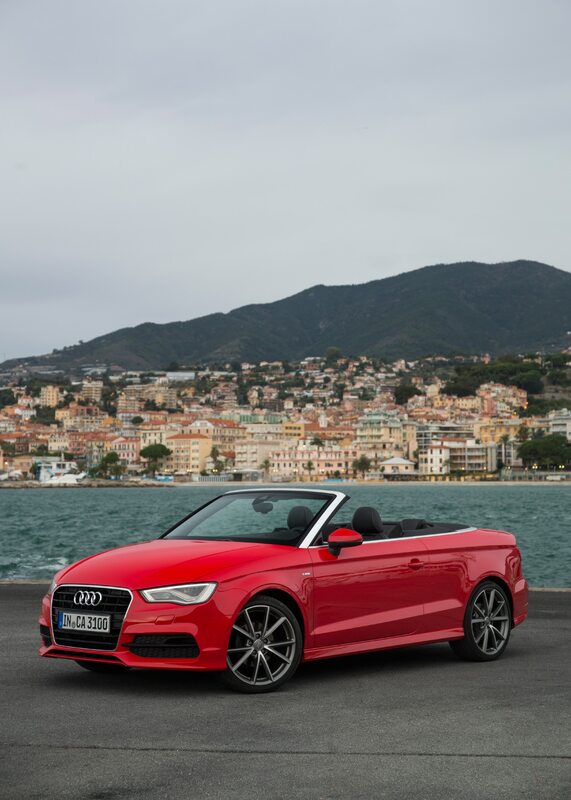 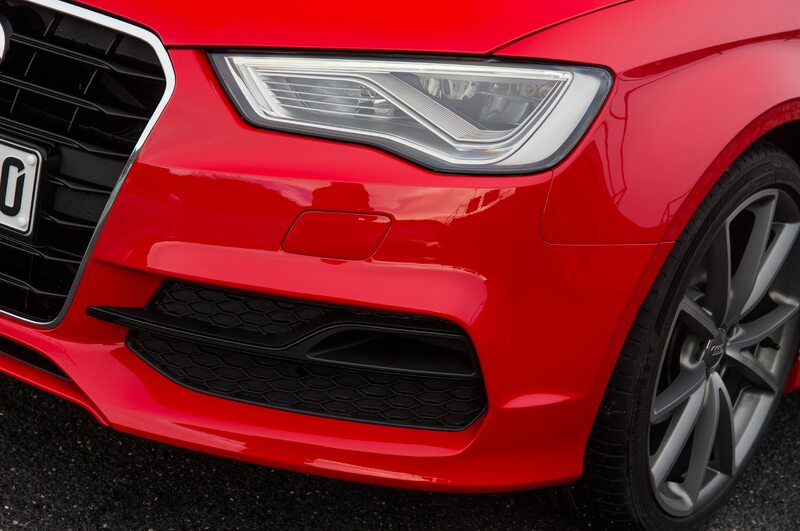 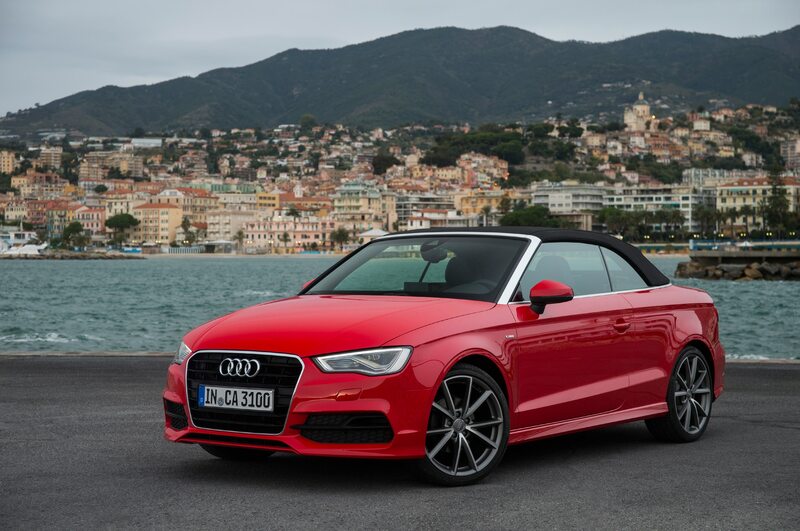 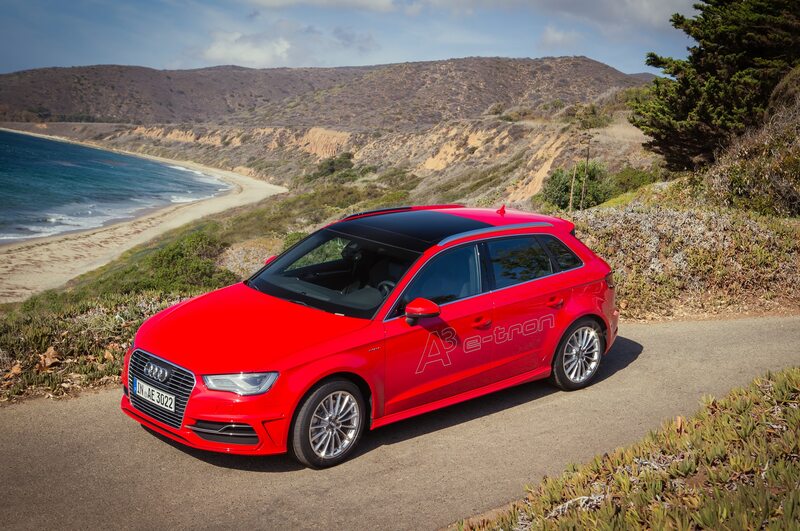 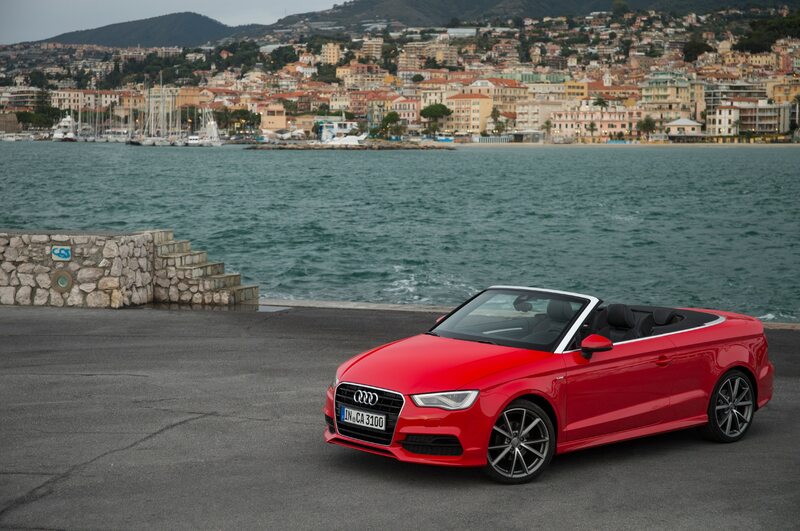 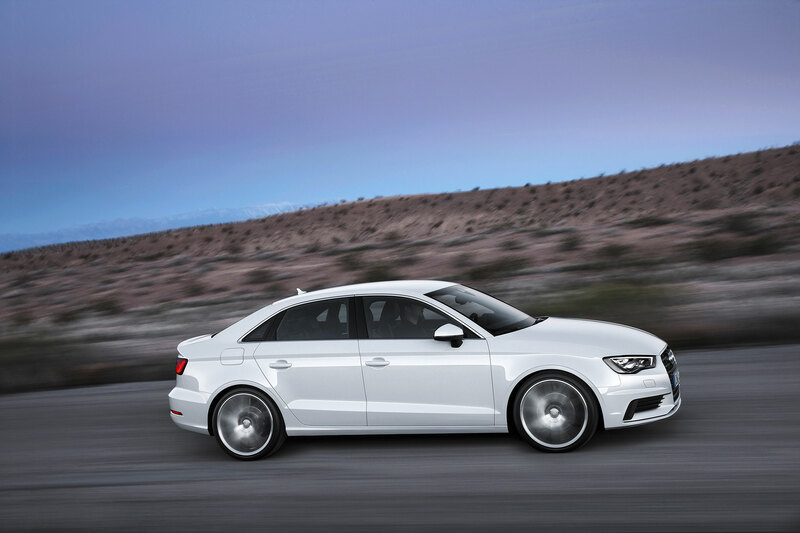 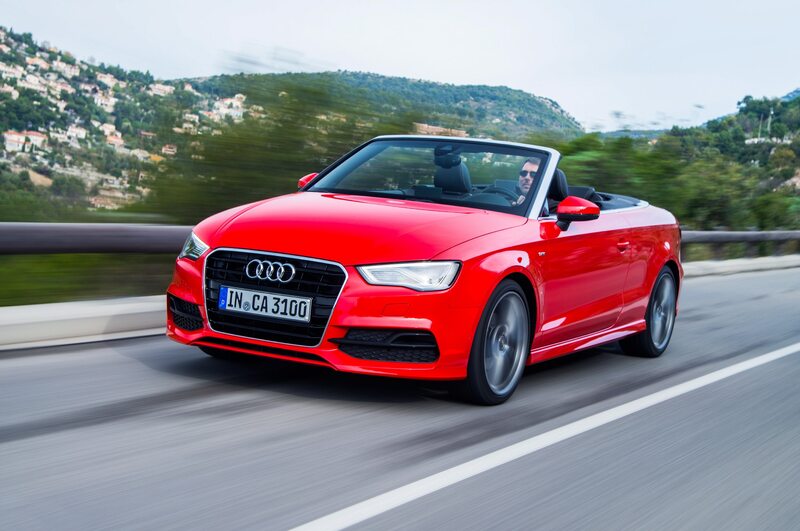 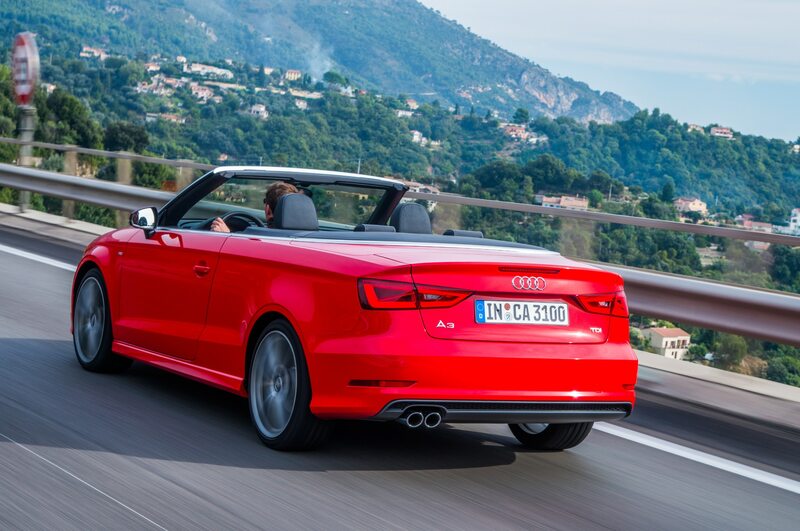 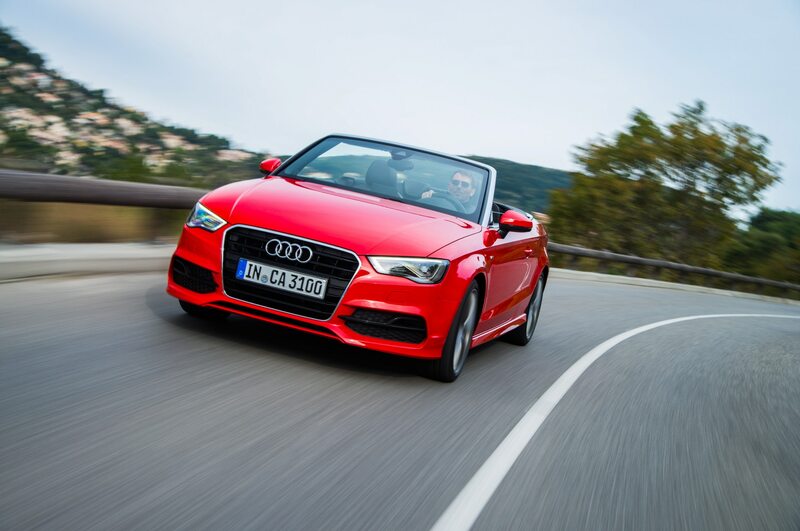 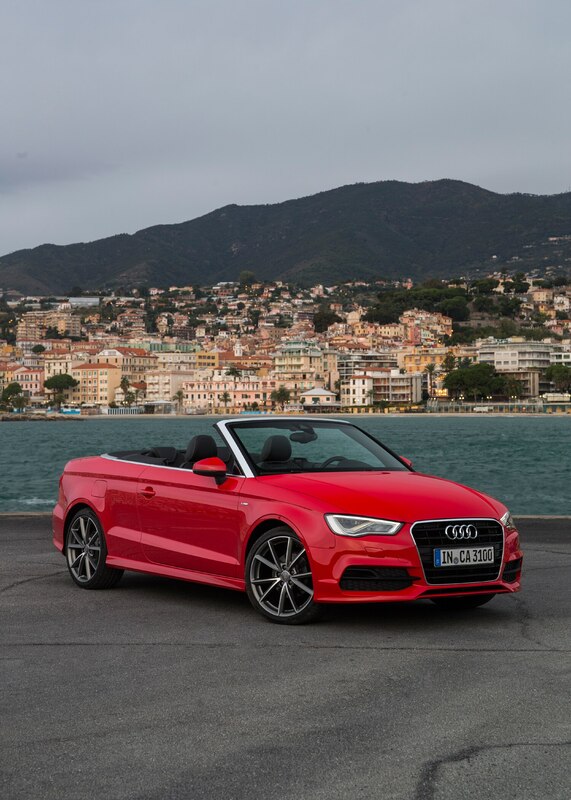 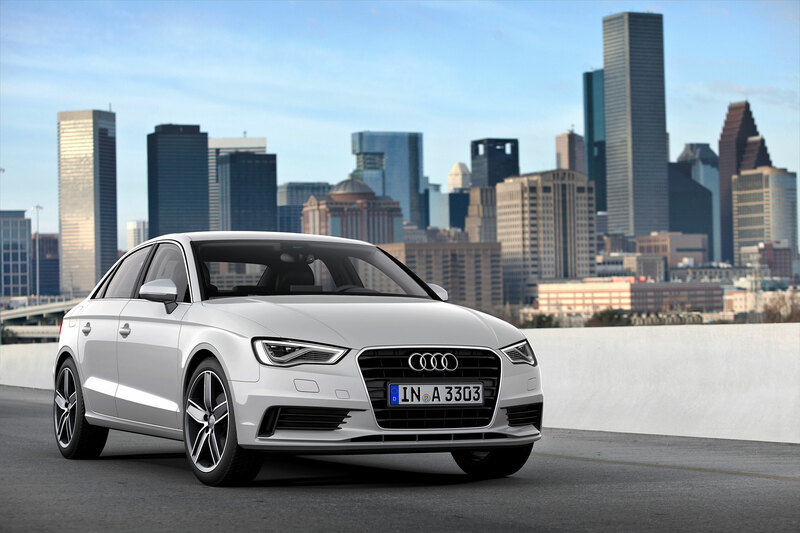 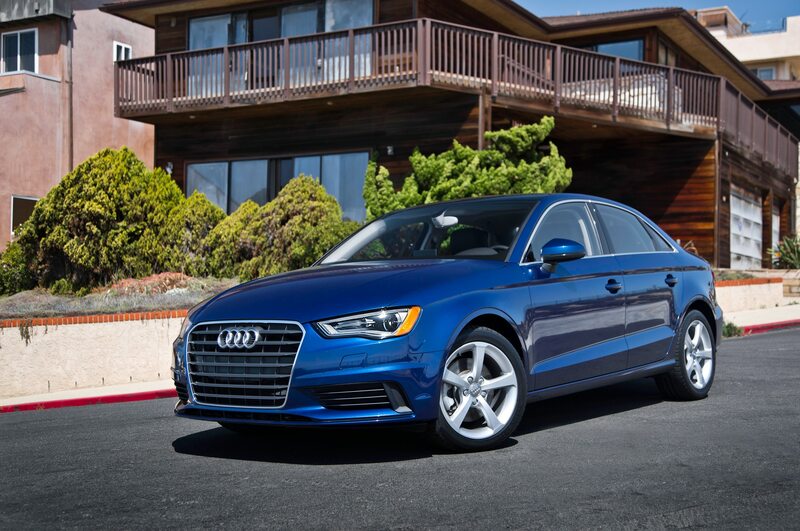 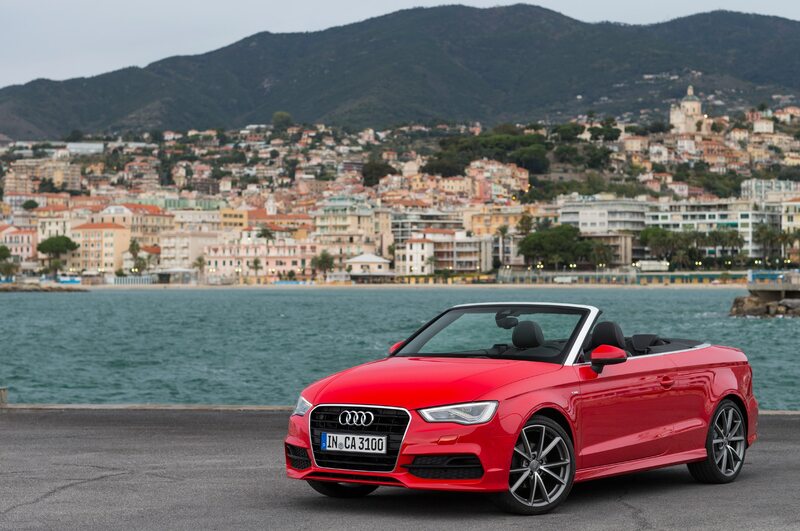 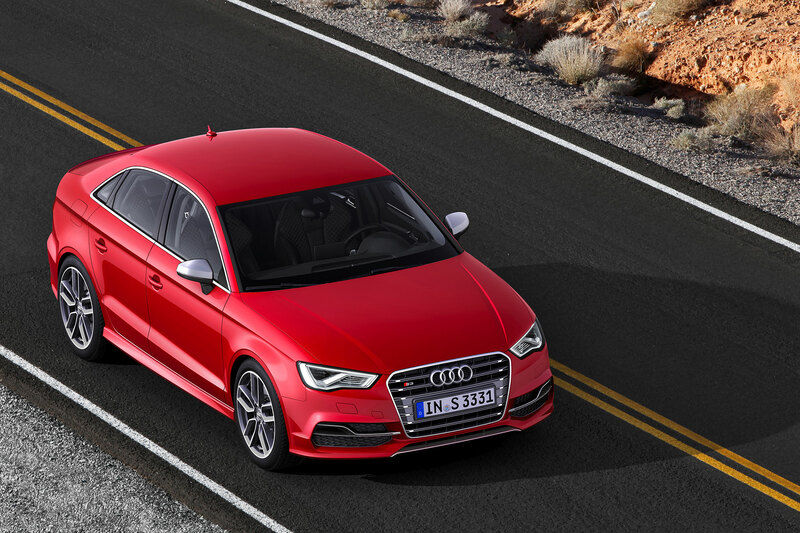 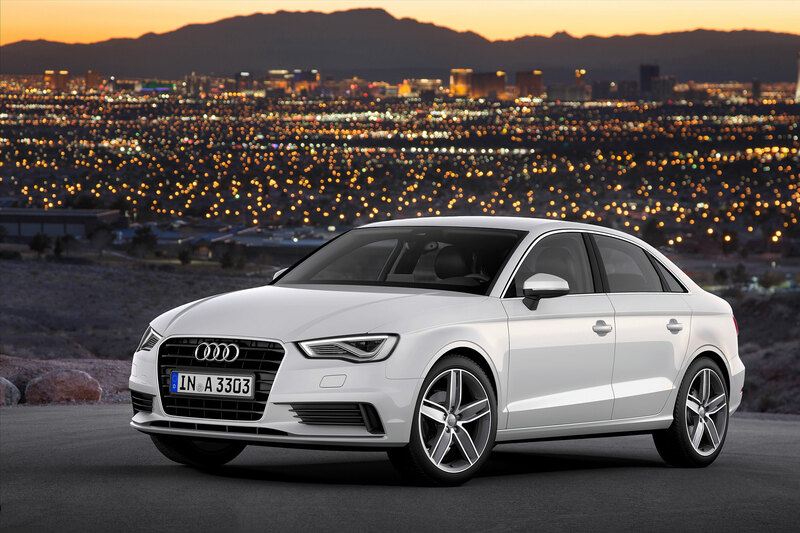 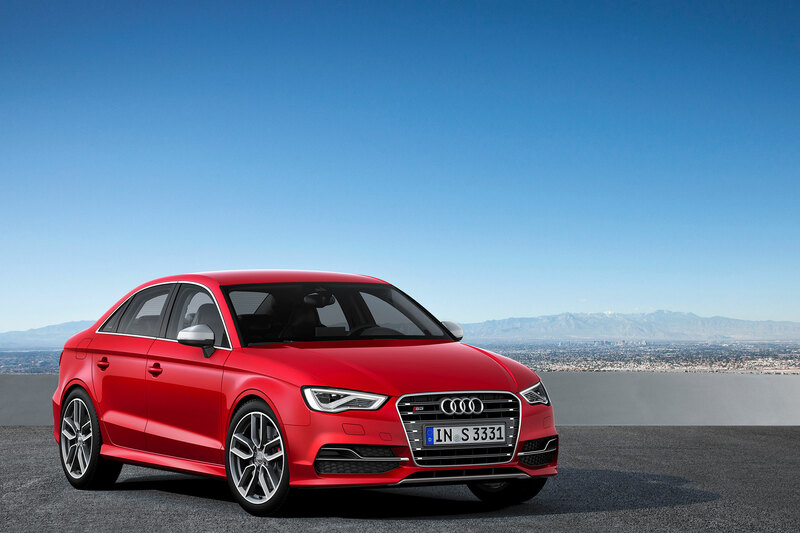 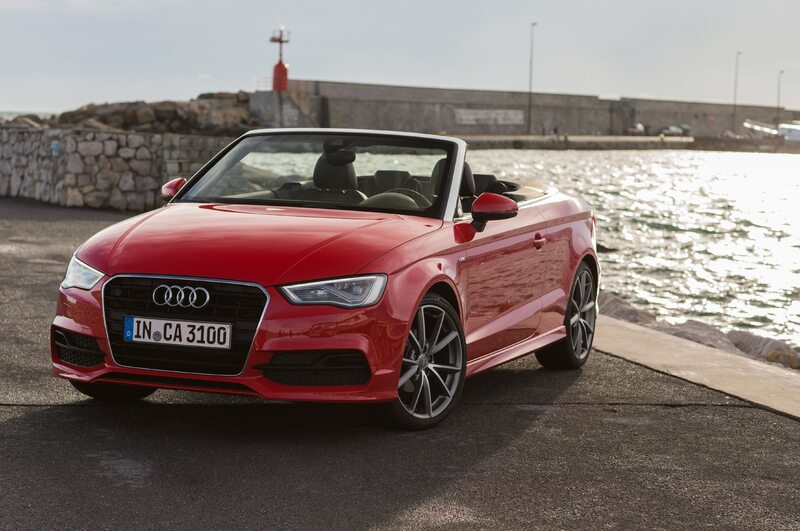 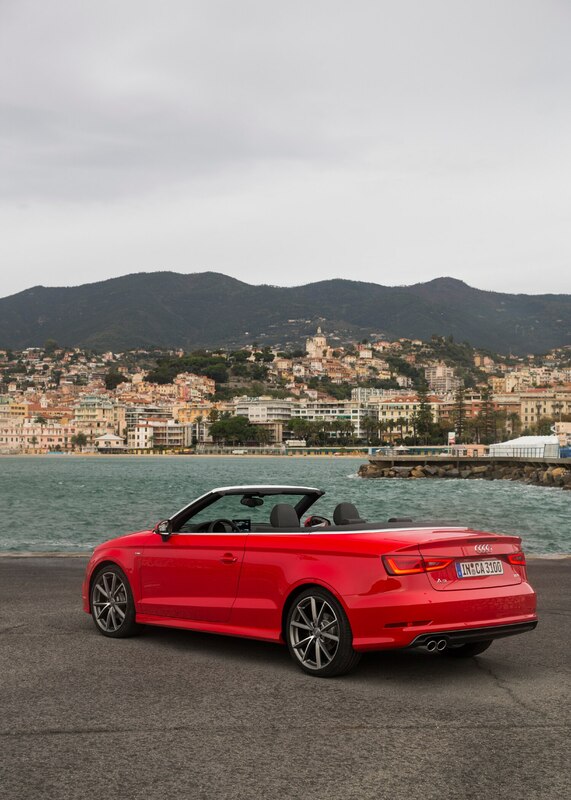 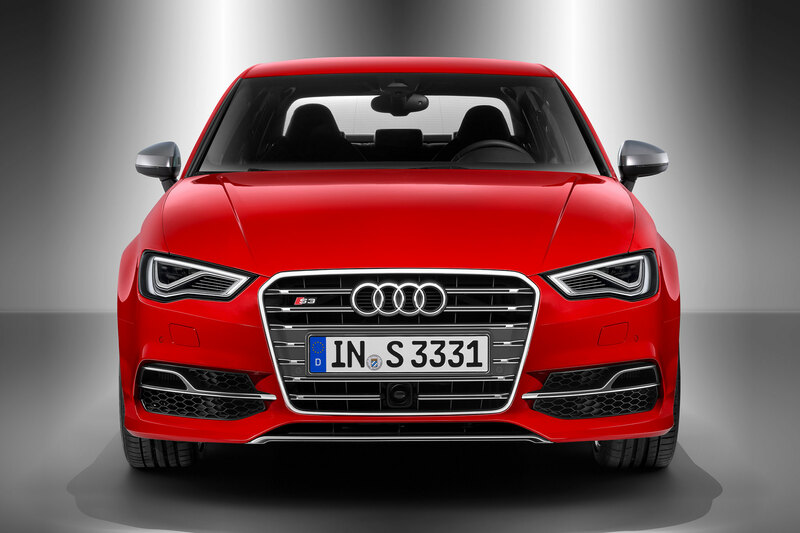 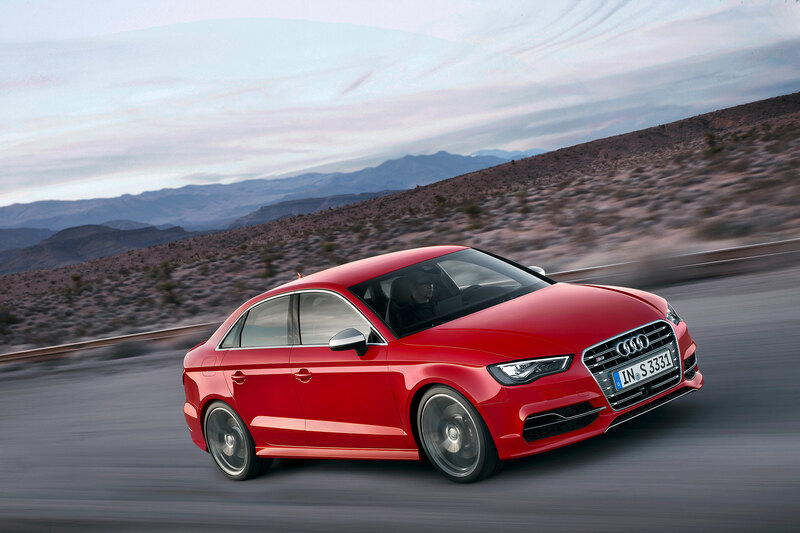 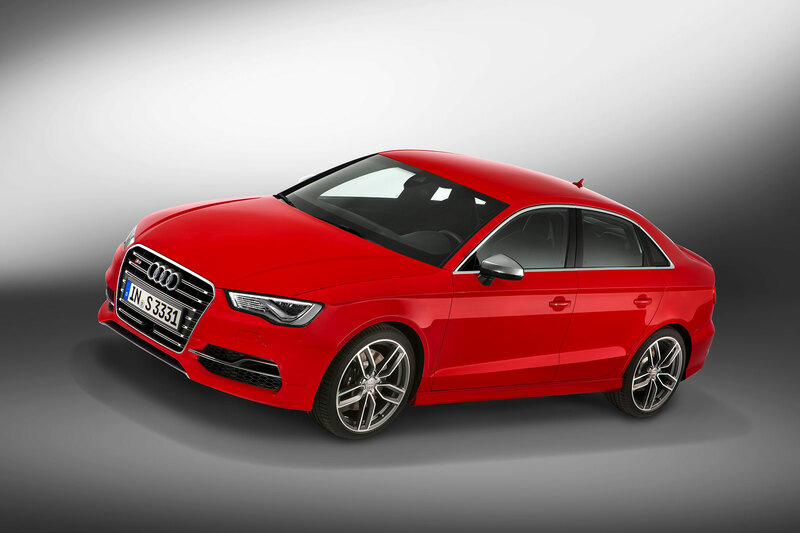 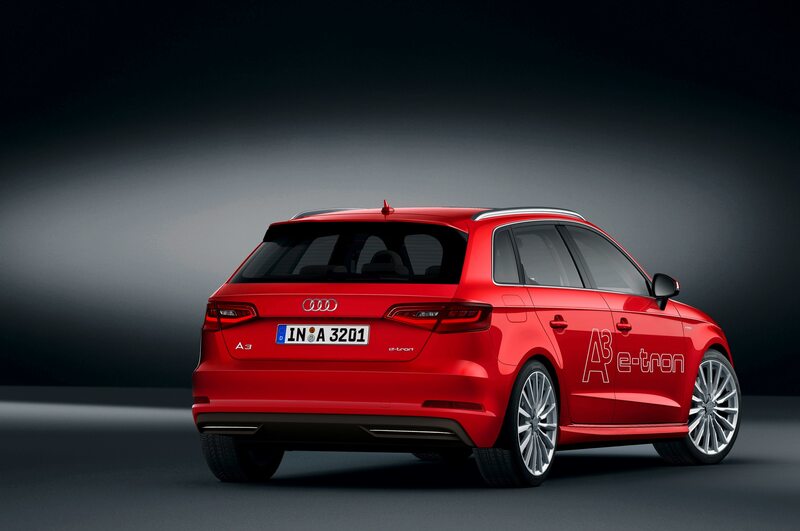 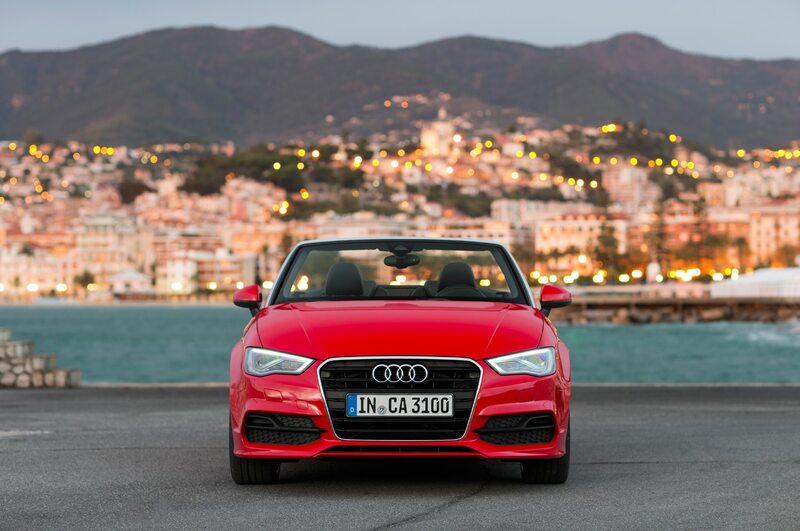 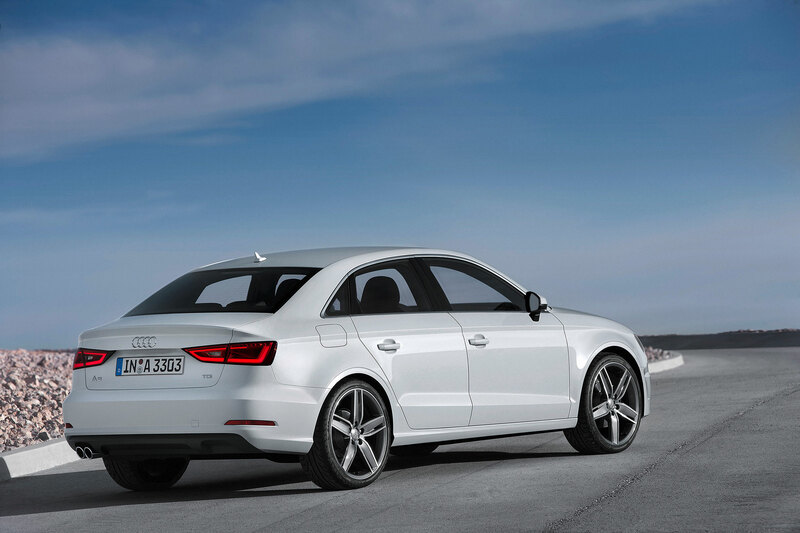 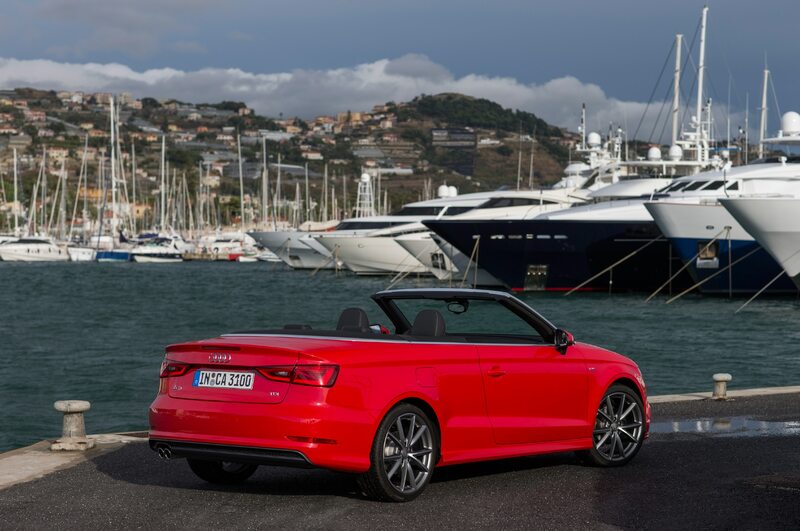 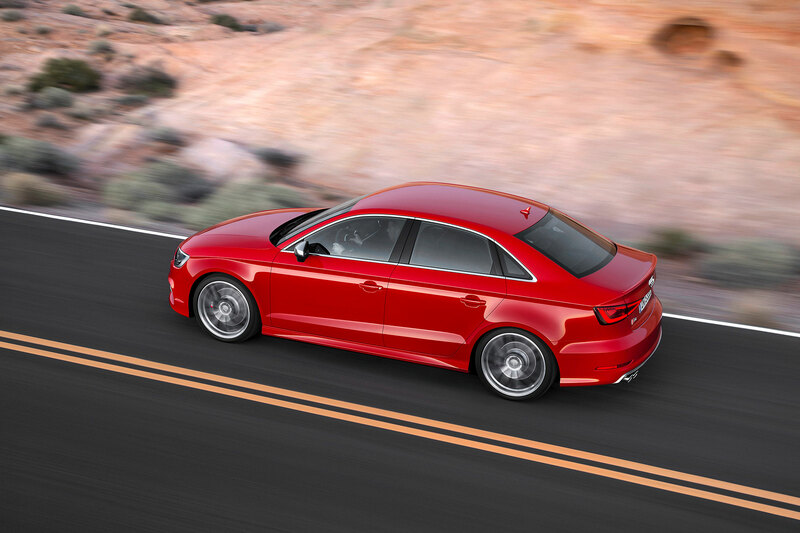 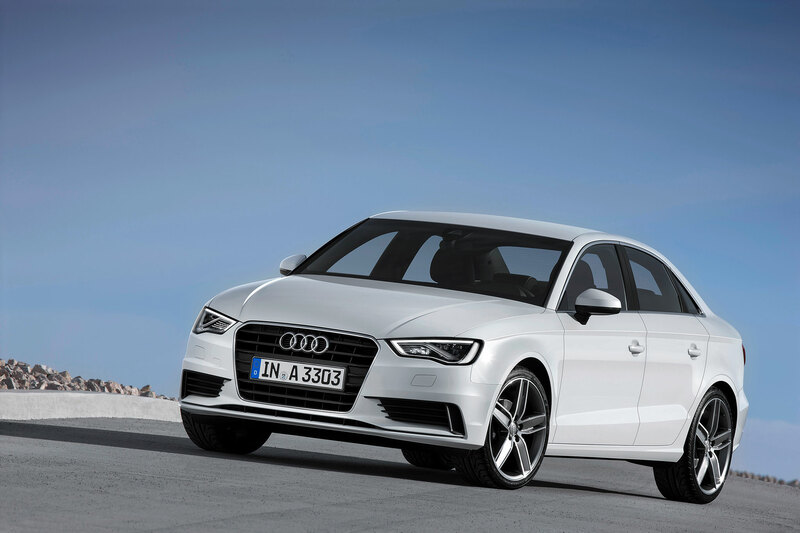 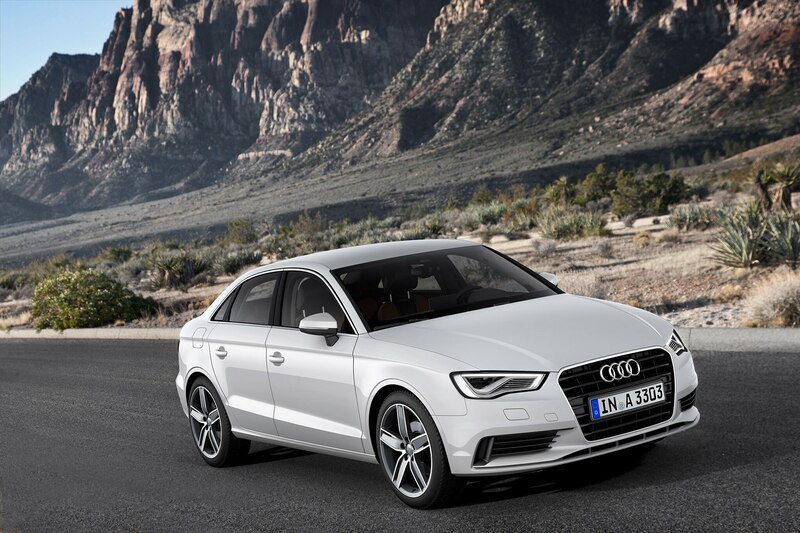 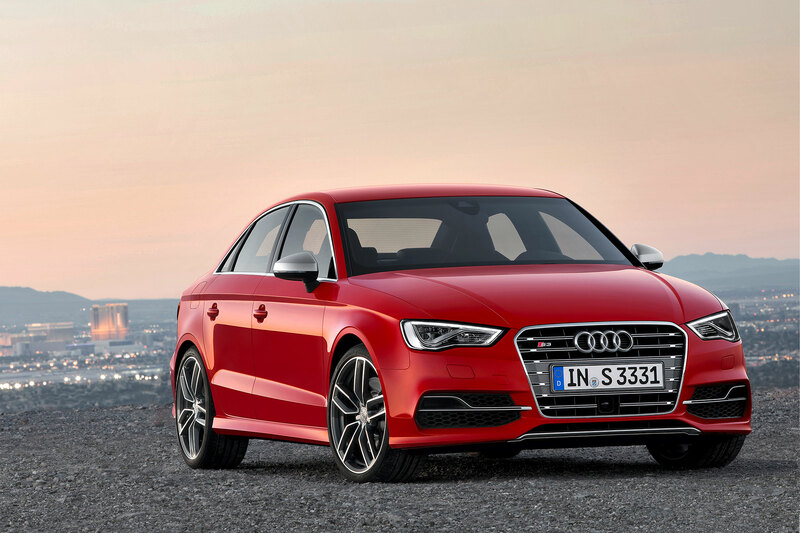 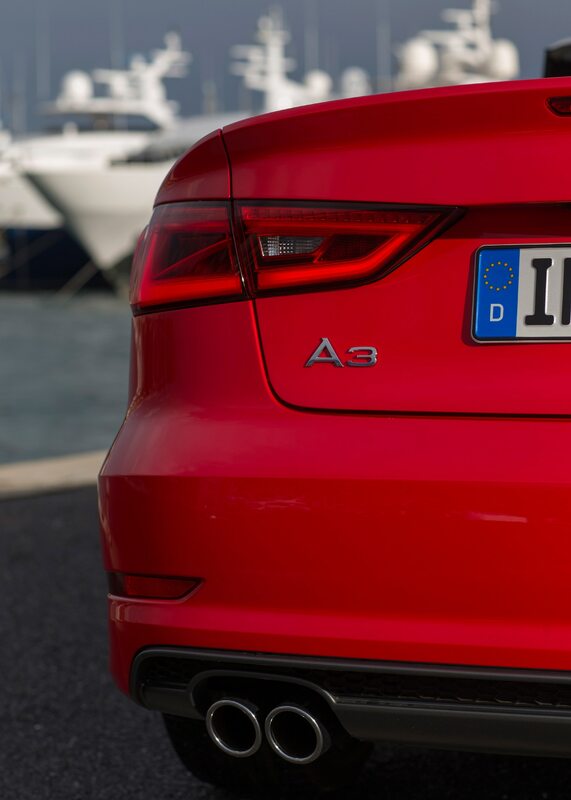 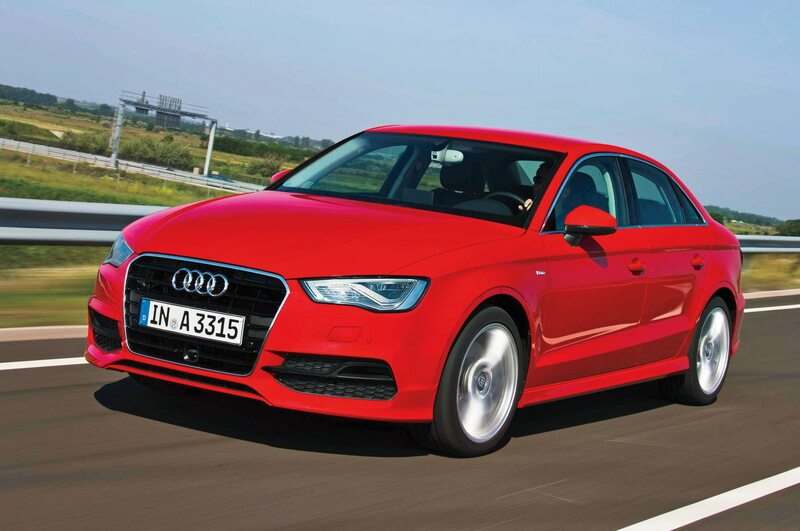 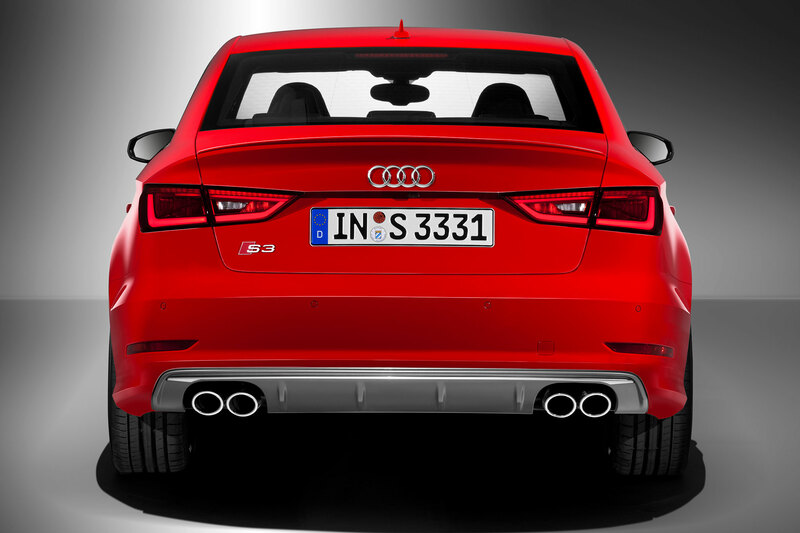 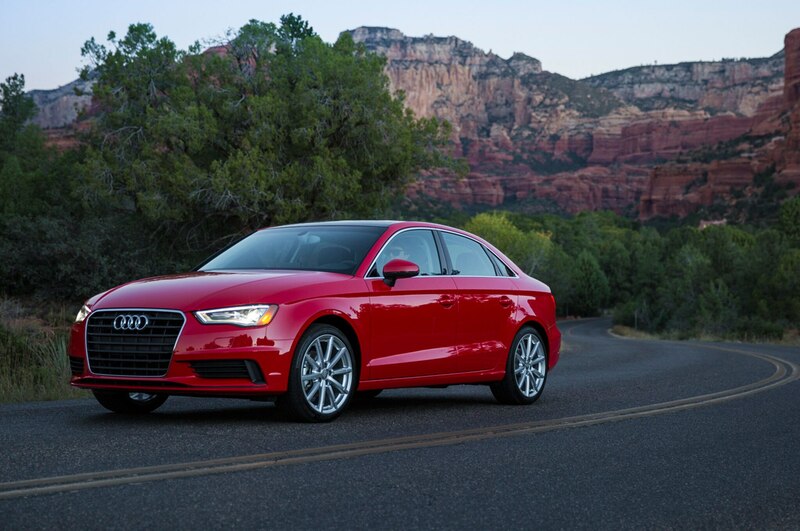 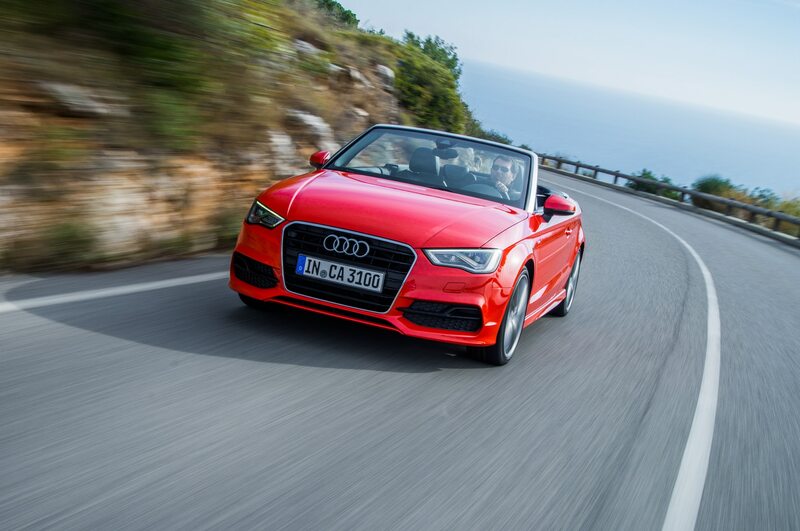 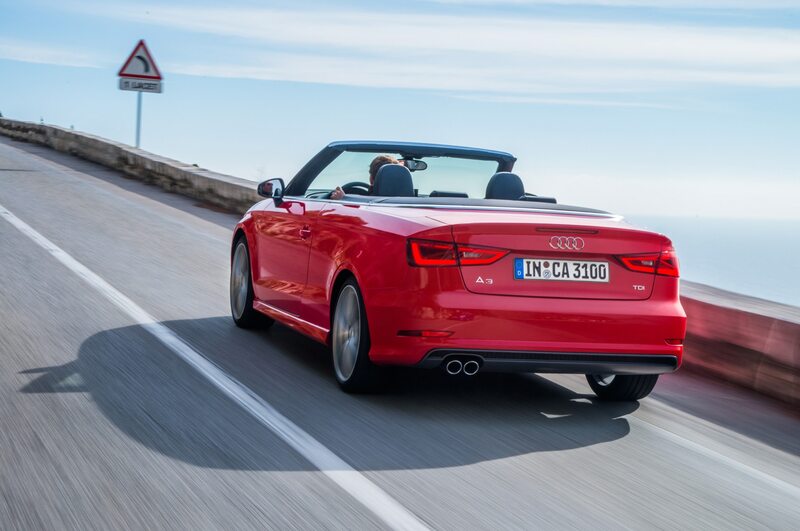 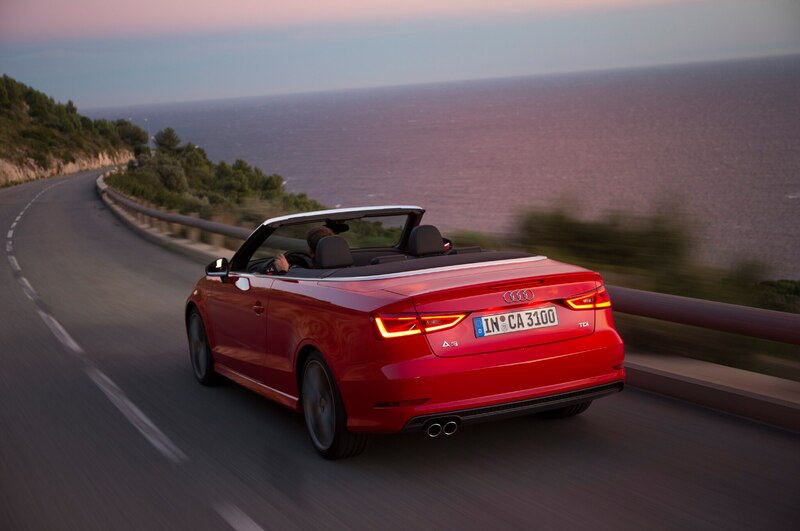 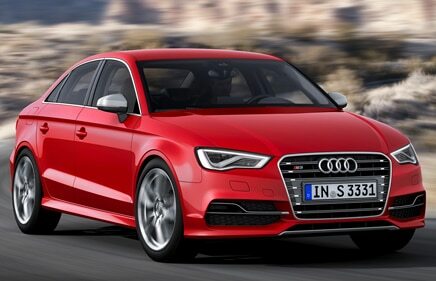 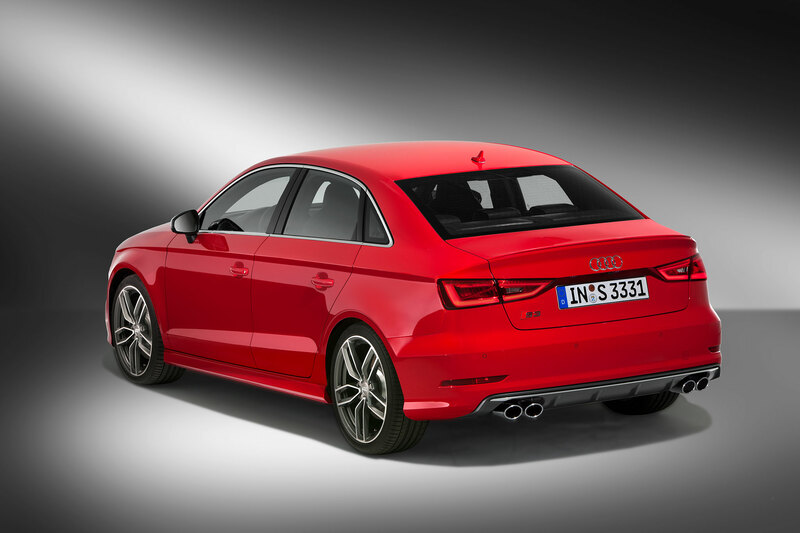 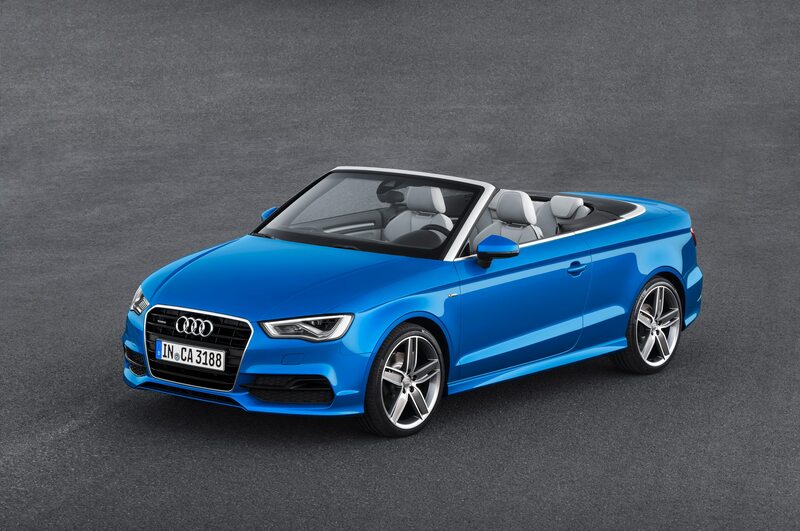 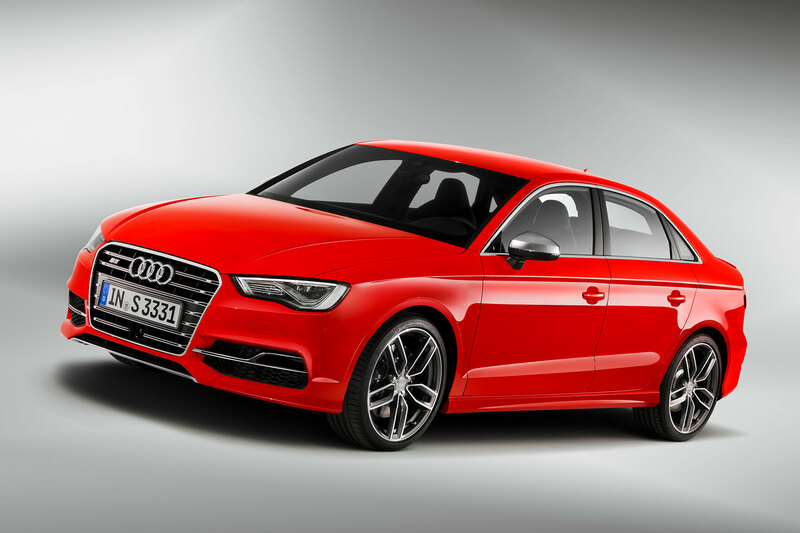 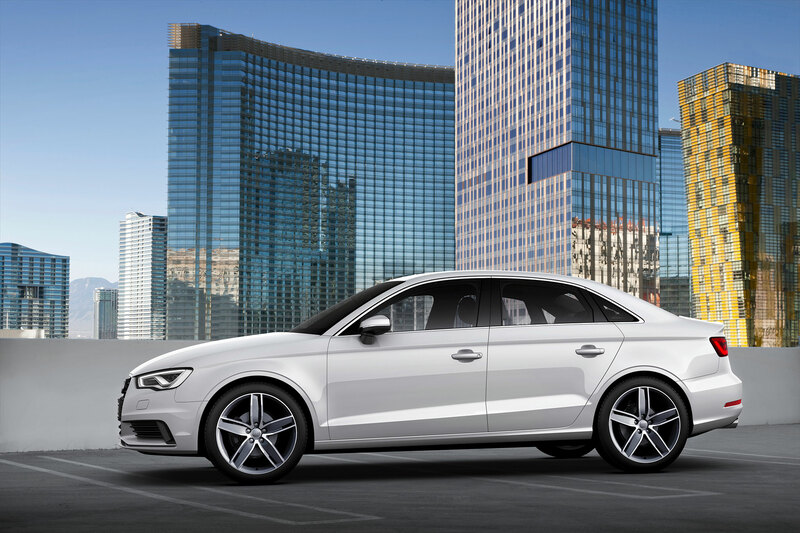 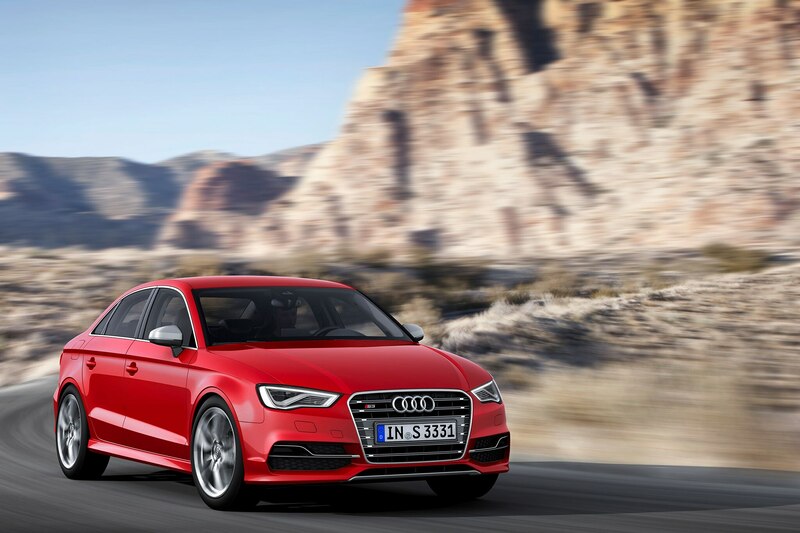 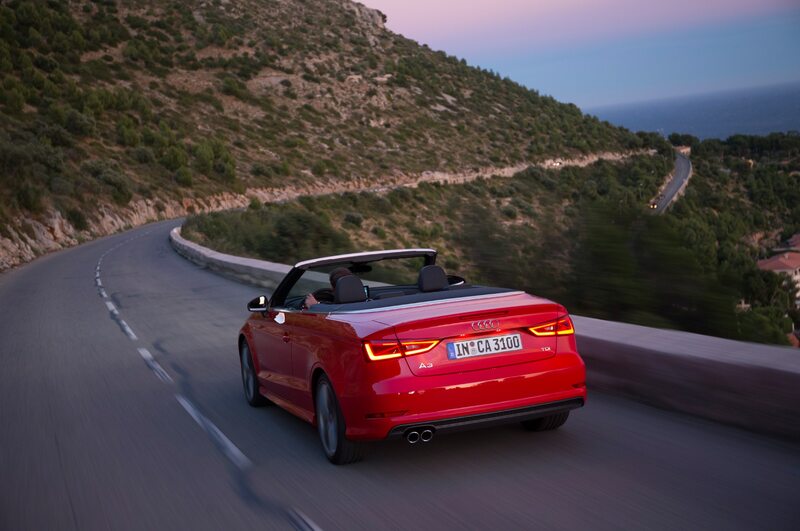 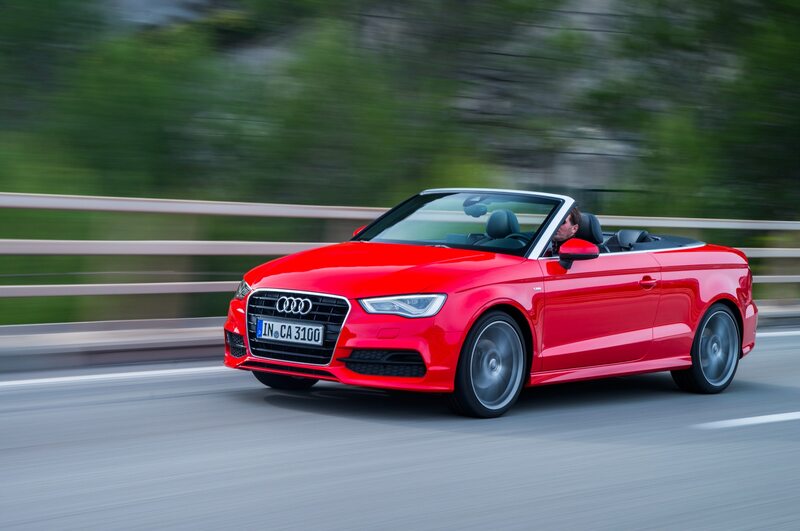 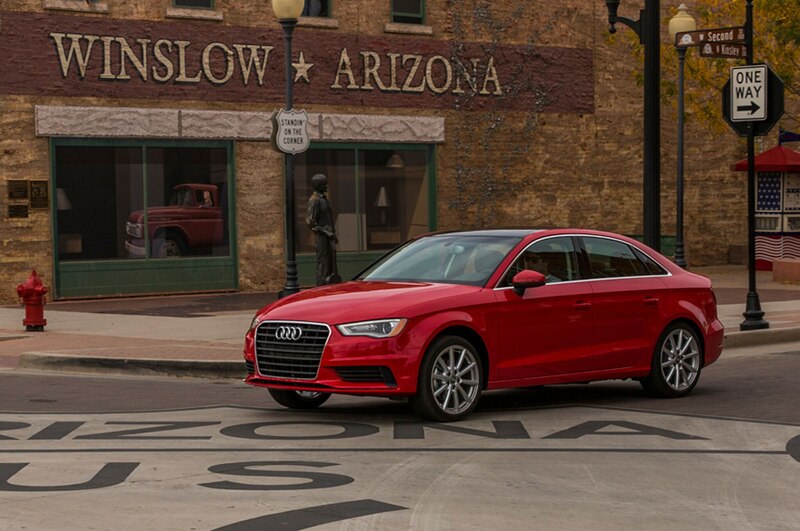 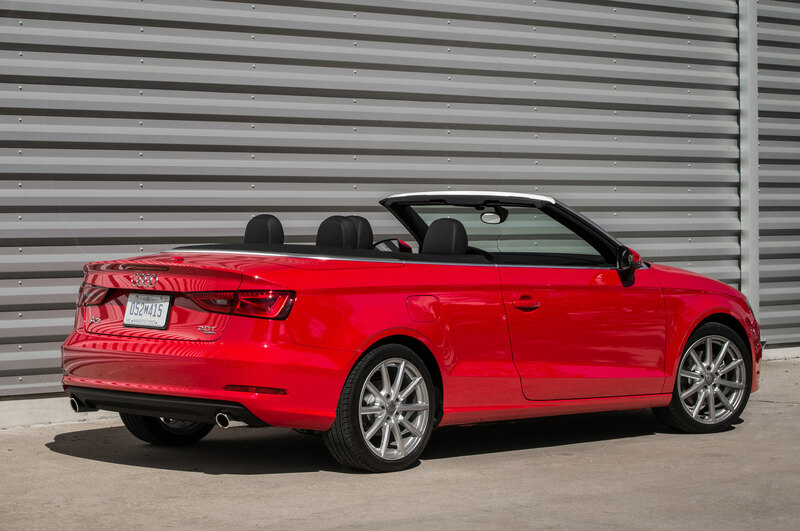 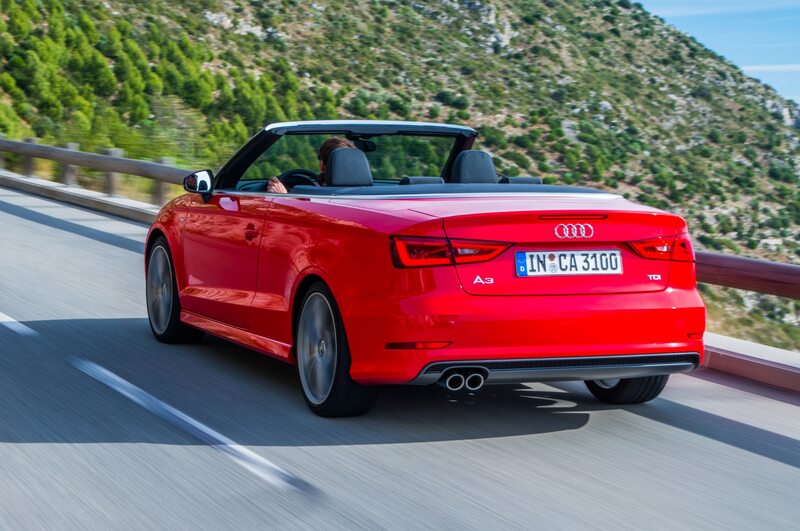 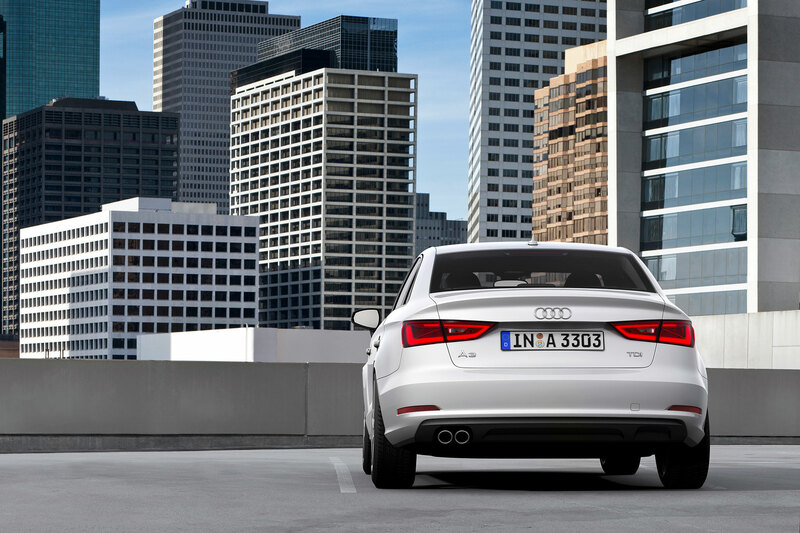 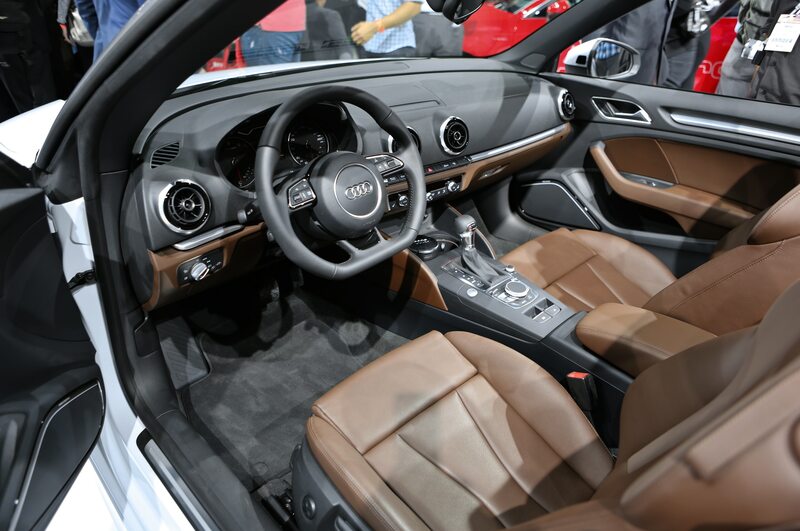 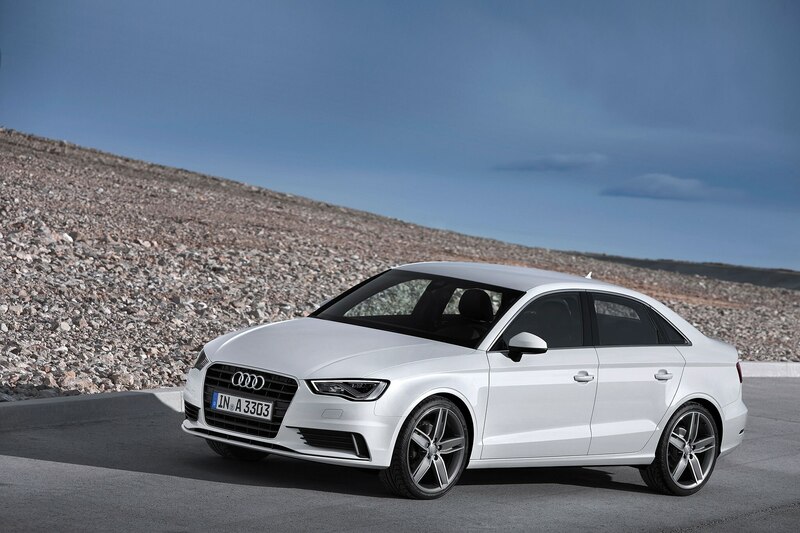 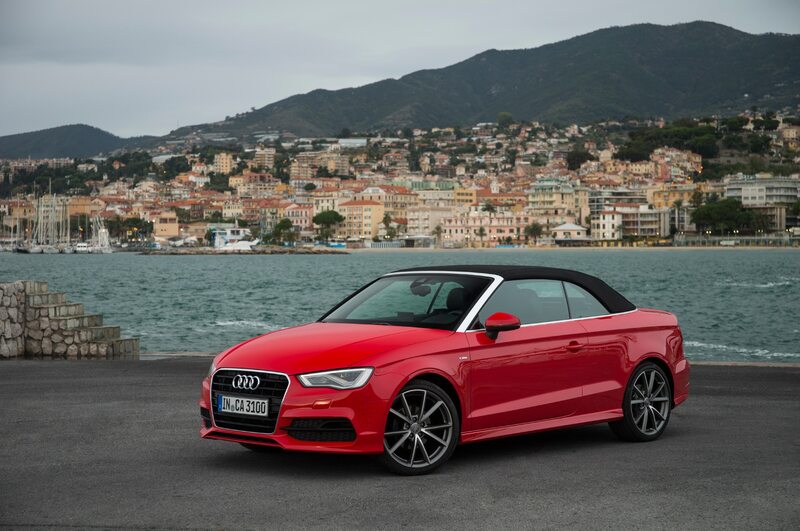 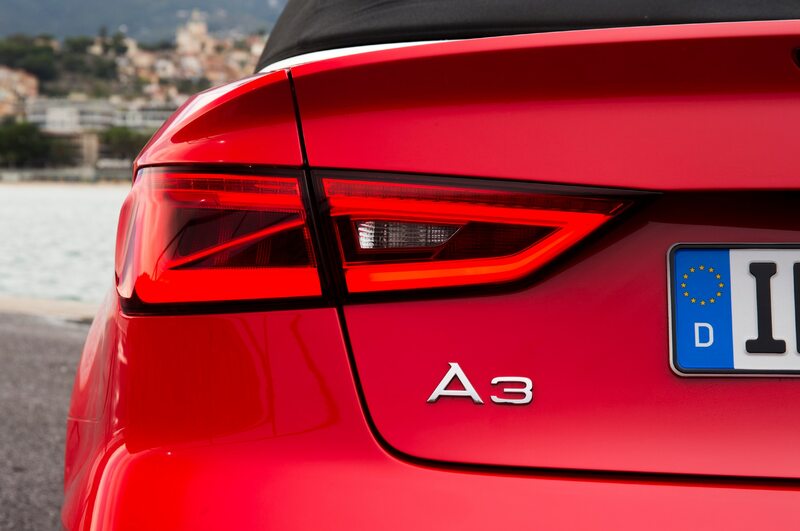 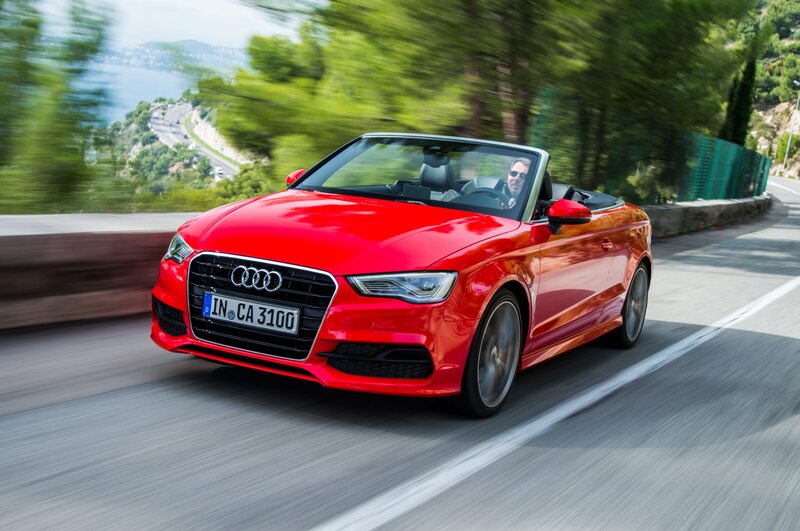 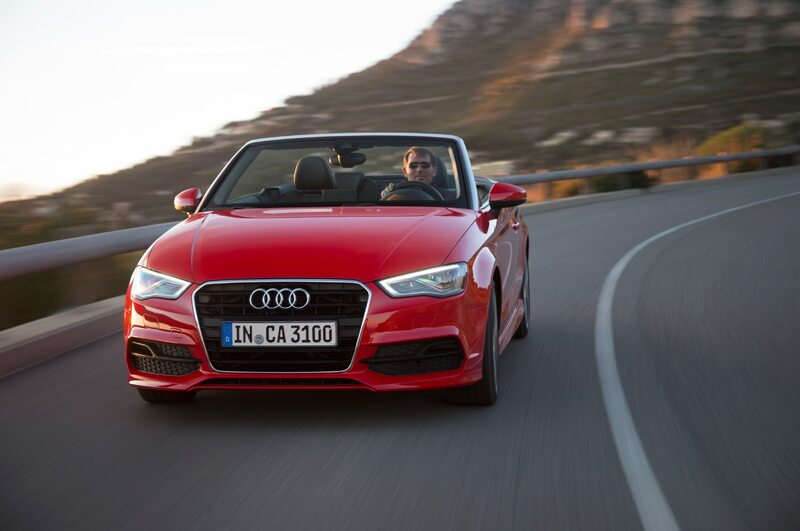 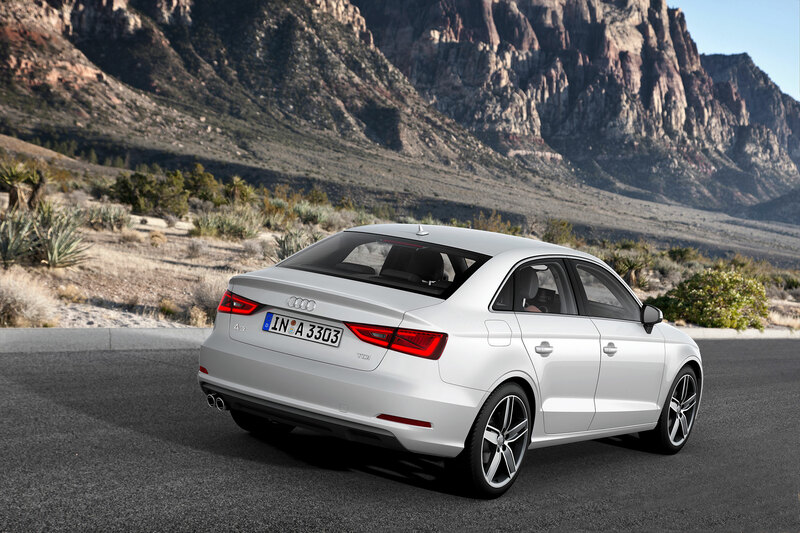 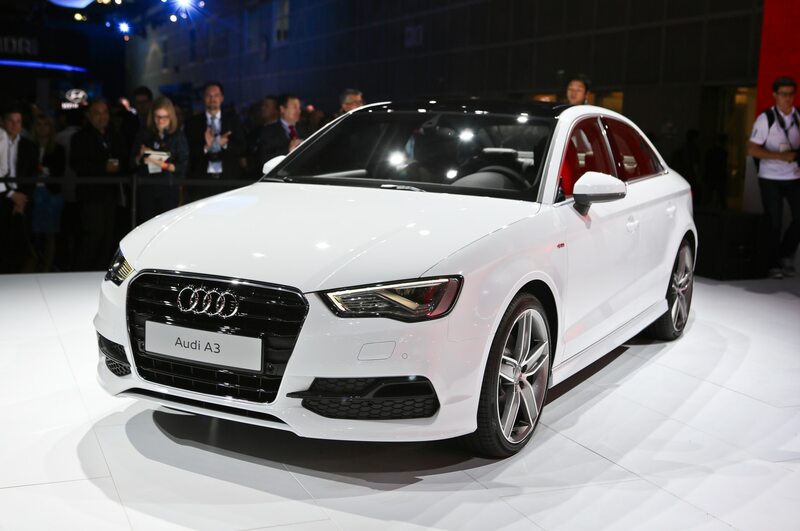 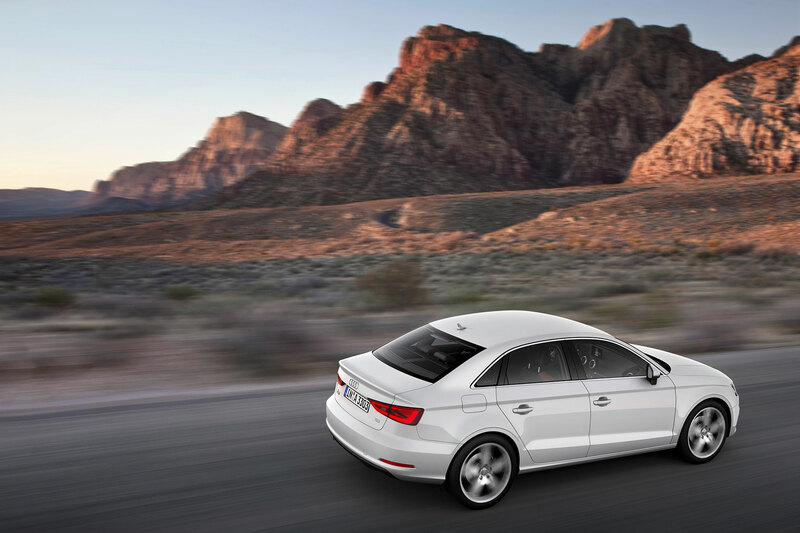 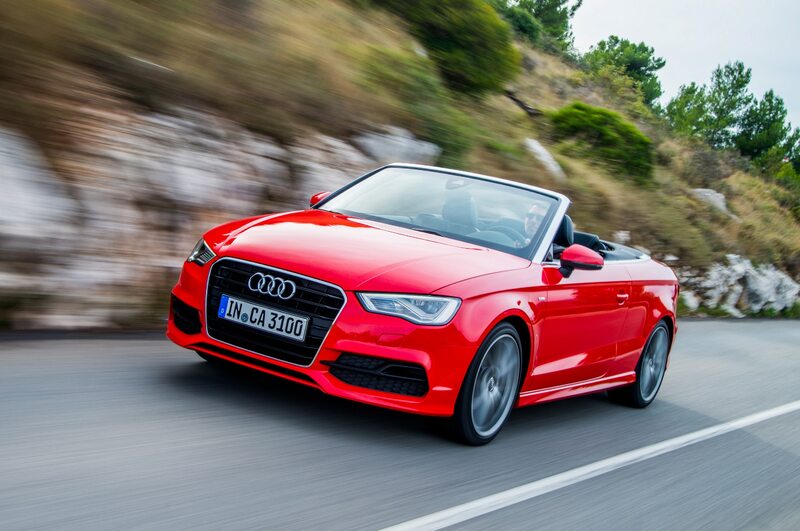 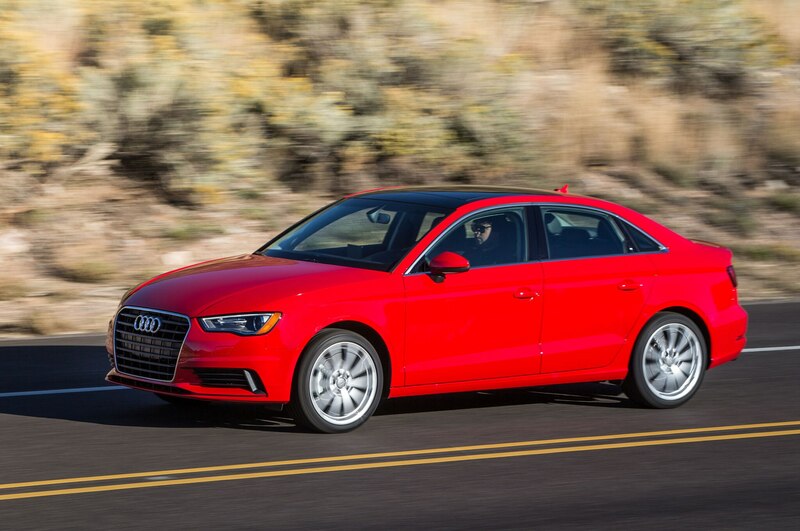 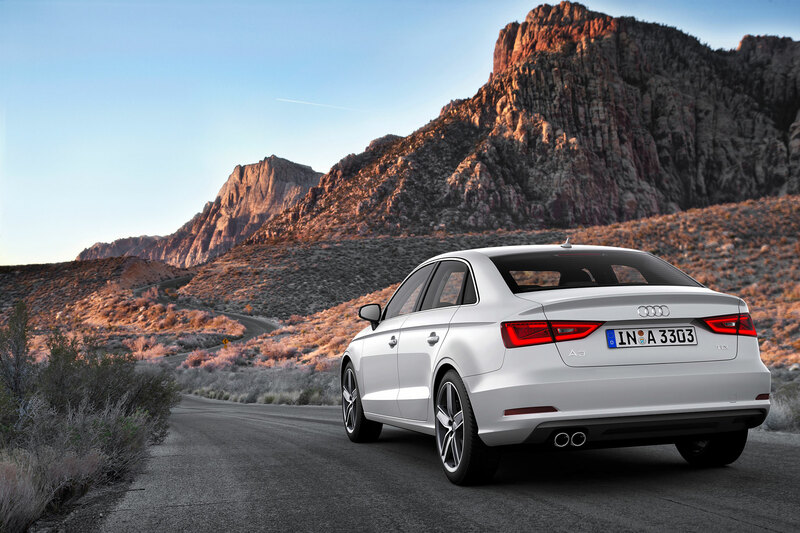 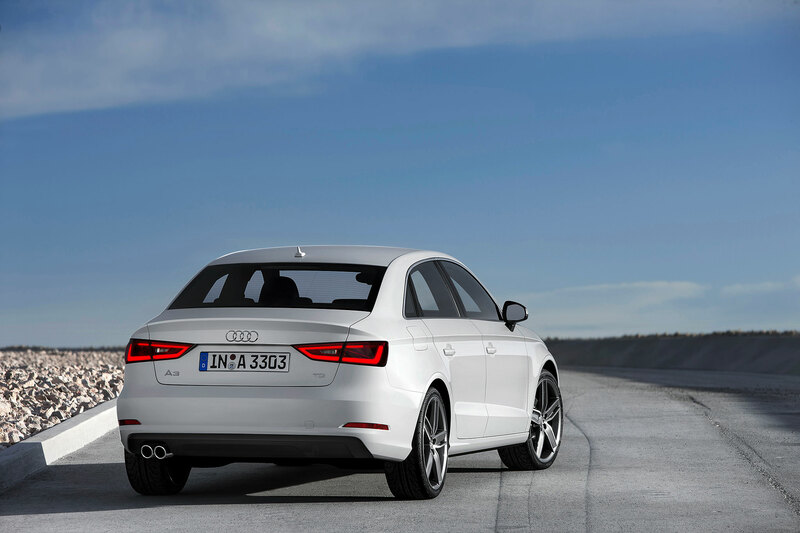 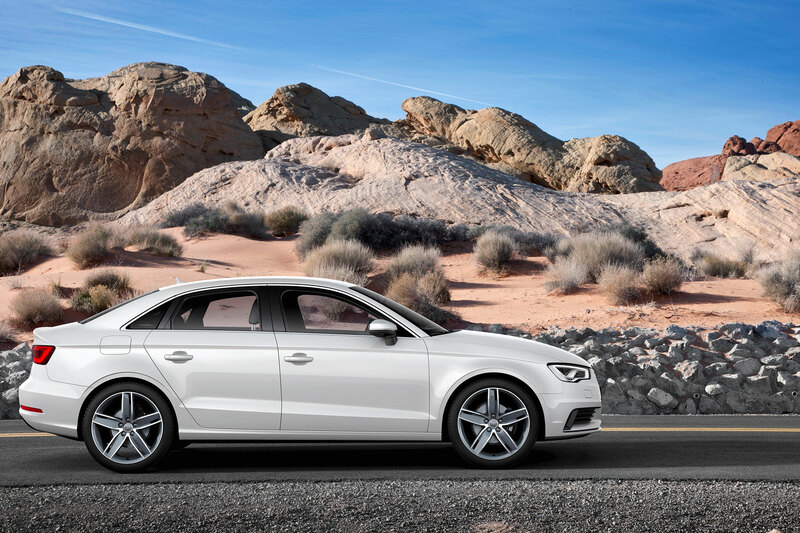 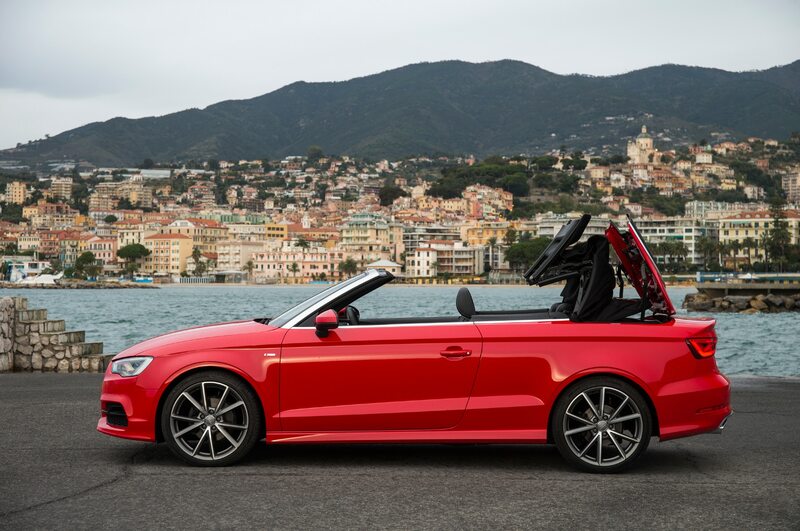 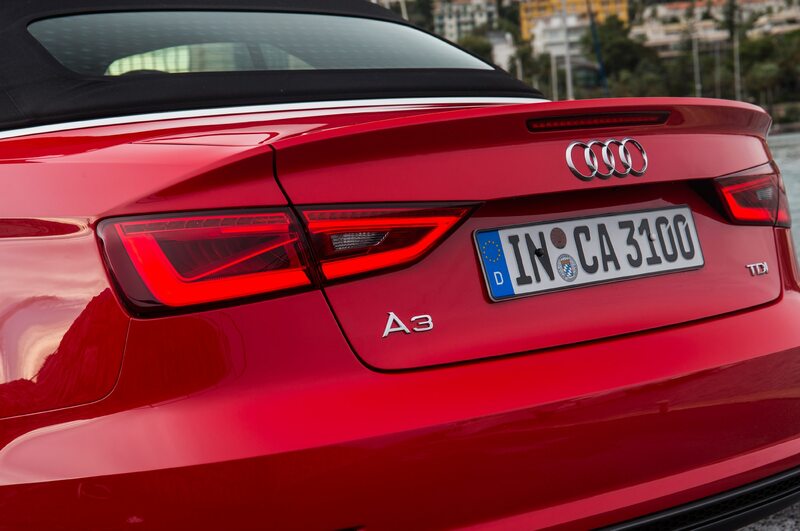 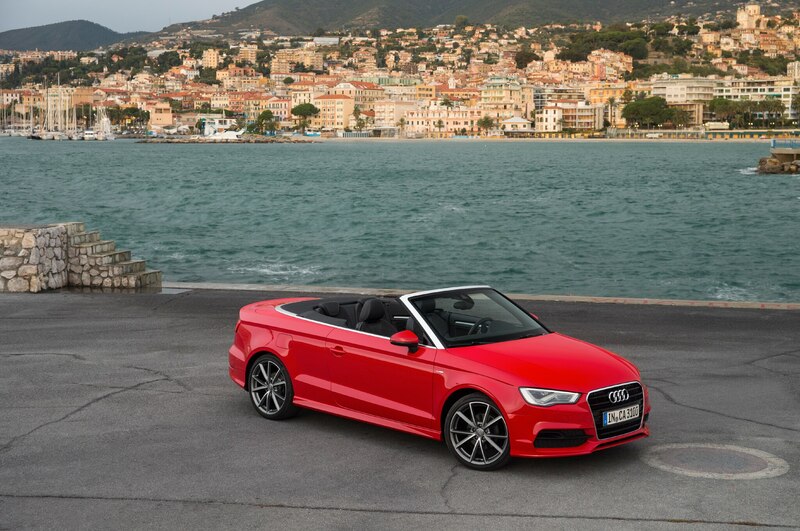 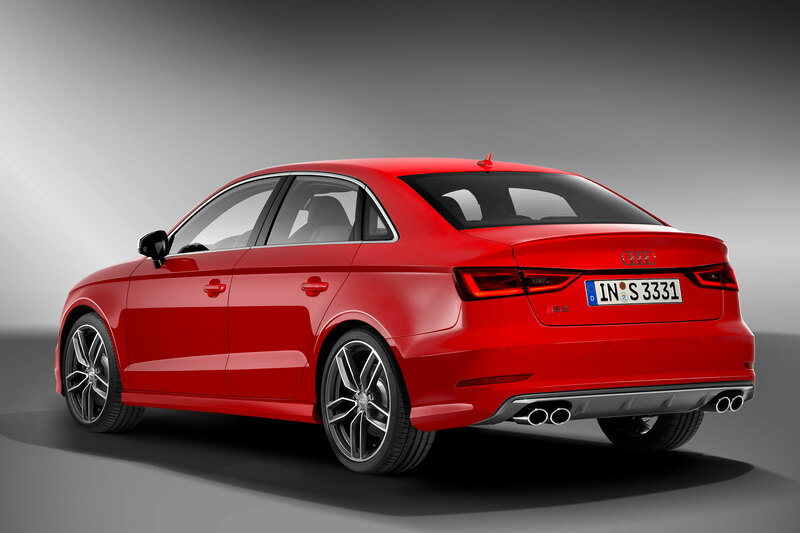 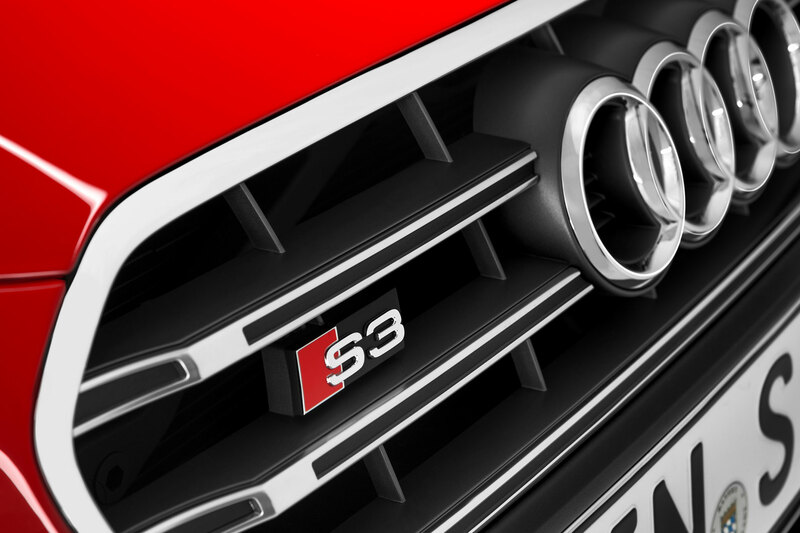 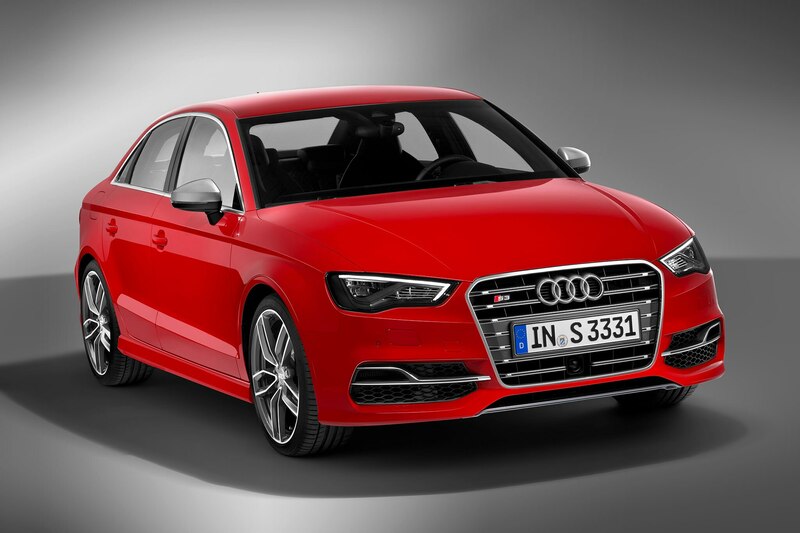 The 2015 Audi A3 TDI coasts down the whole joyous hill in neutral, quickly gathering speed. 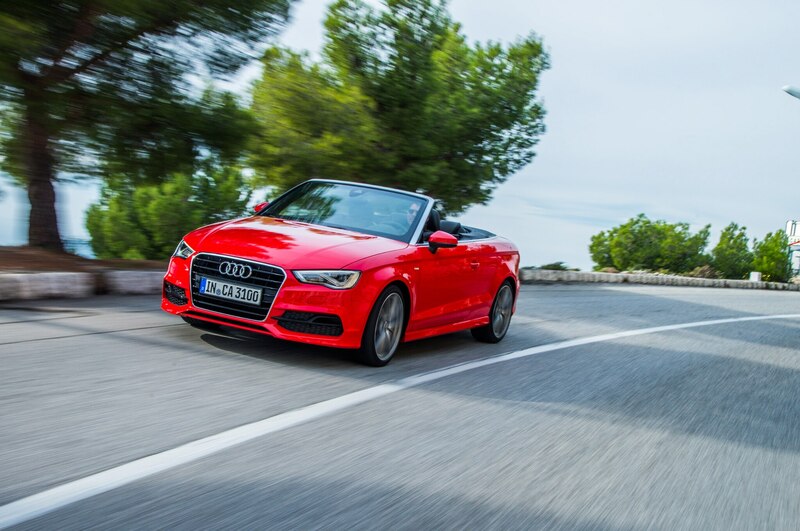 As much as we’d love to brake as little possible to avoid losing momentum, there are a few seriously tight hairpins and we have to slow down. 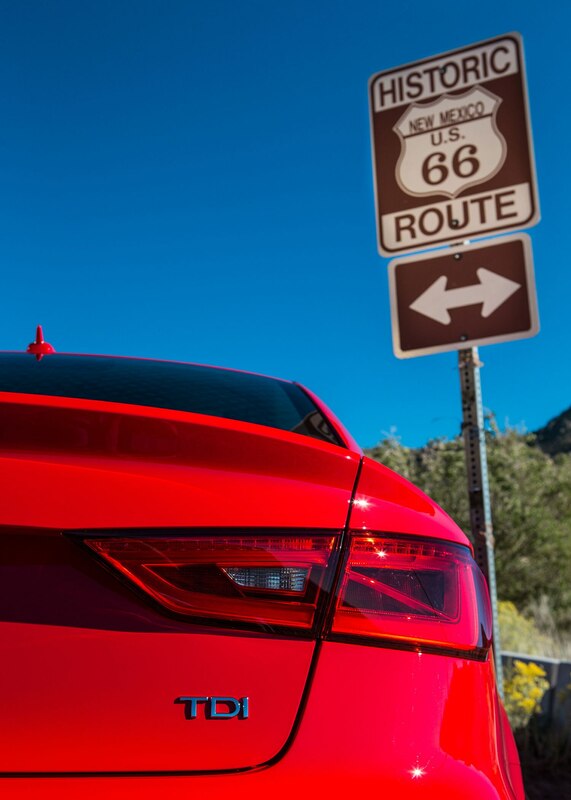 We’re keen to make it to San Diego without refueling, but we’d rather be sentenced to the Aspire than meet an inglorious end tumbling down the mountainside. 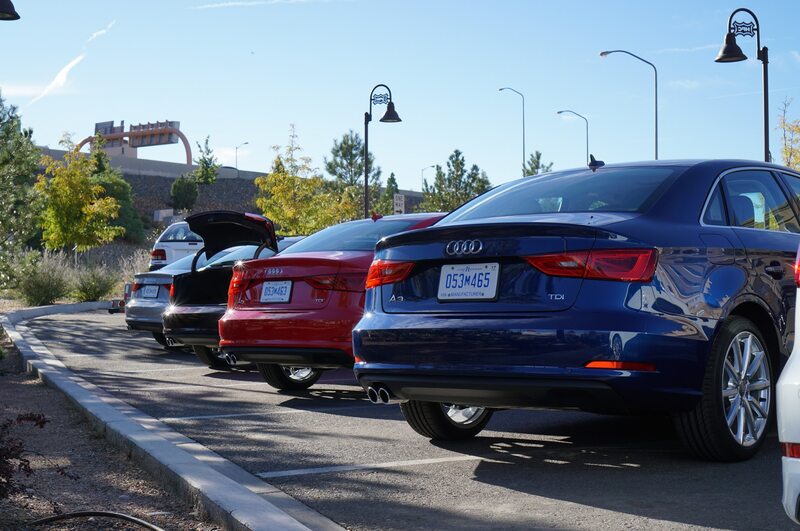 All the while, our numbers are mercifully recovering. 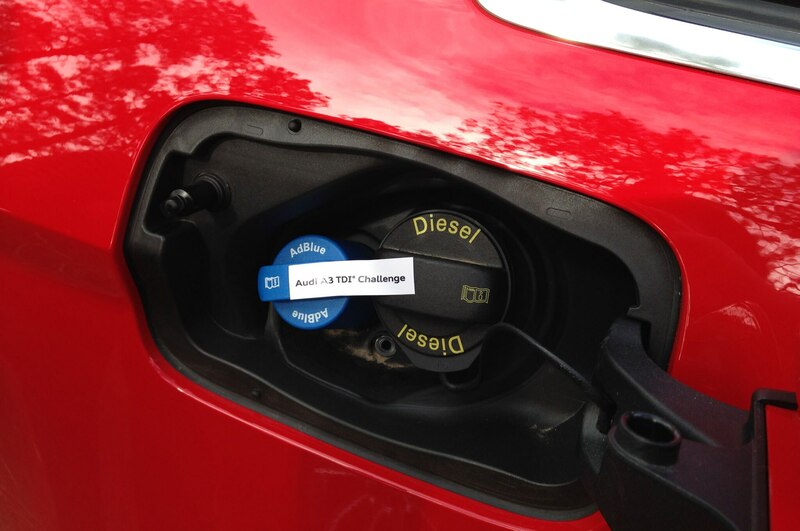 We finish the day in fourth place on the leaderboard of nine participating vehicles, recording an average of 58.7 mpg. 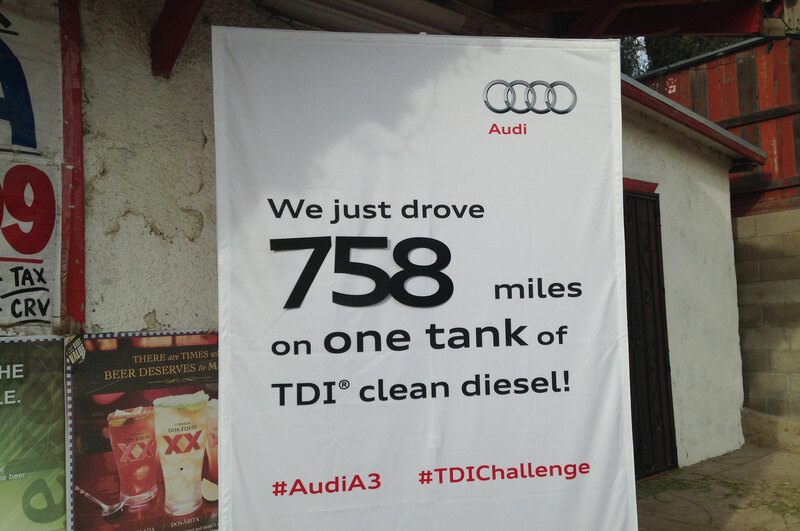 Not bad, but we need to step up our game for Day 2. 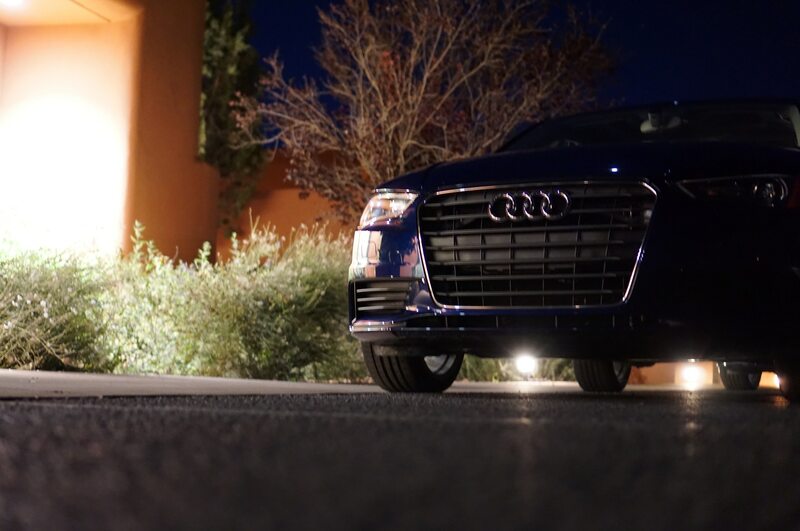 The temperature has dropped 30 degrees overnight, and the thermometer reads 41 when we set off for the second leg of our journey at 5:30 a.m. It’s pitch dark, and the cold is not great for fuel economy, but we hope to get beyond the California desert before it reaches peak heat in the midafternoon. 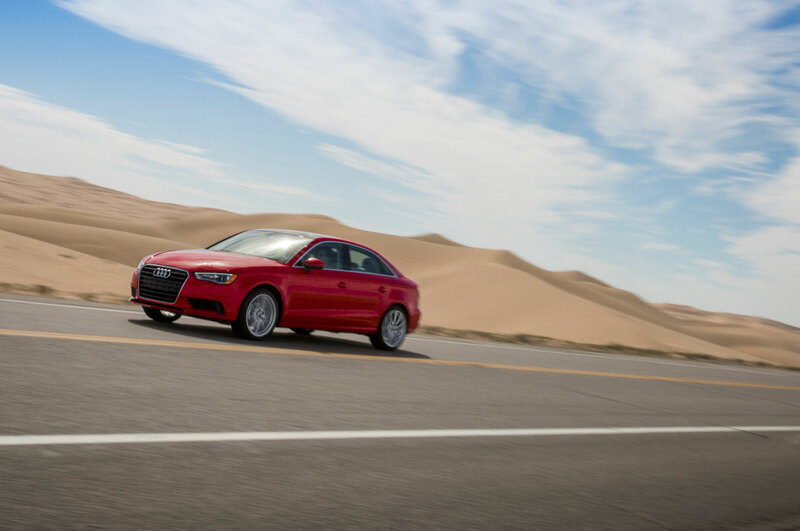 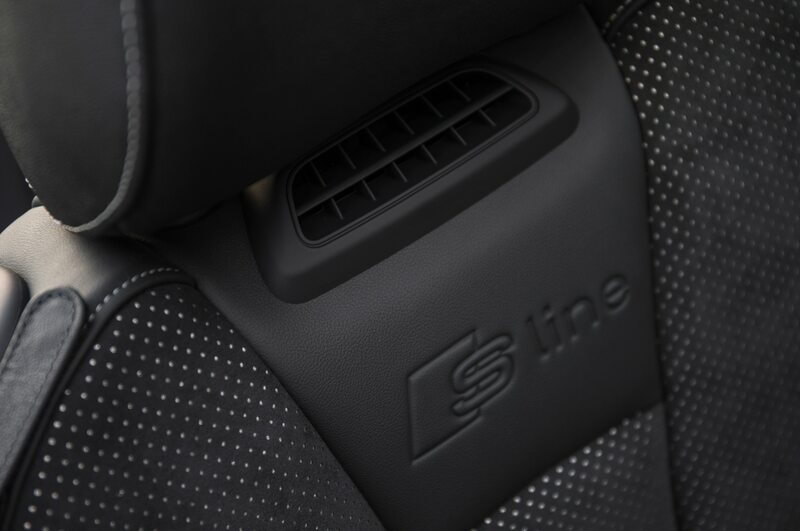 After all, air conditioning is out of the question if we want to maximize our mileage. 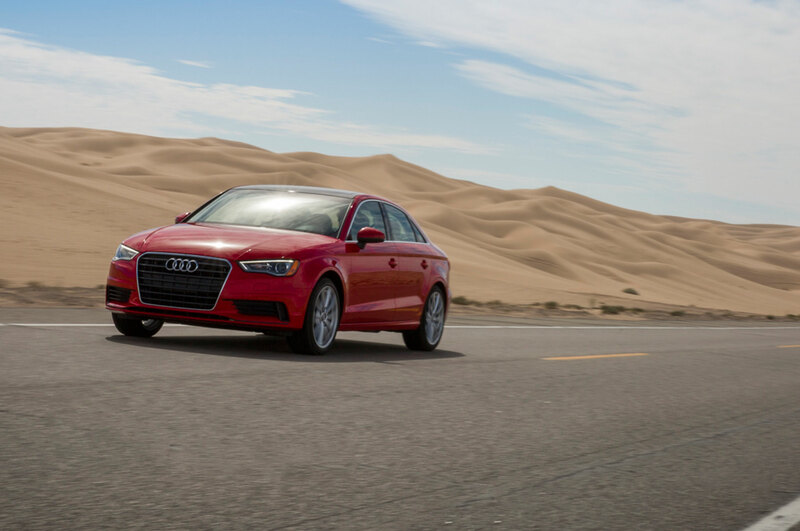 By the time we reach the open desert and drive through California’s Imperial Sand Dunes, the 87-degree heat is beating down on Red Fury. 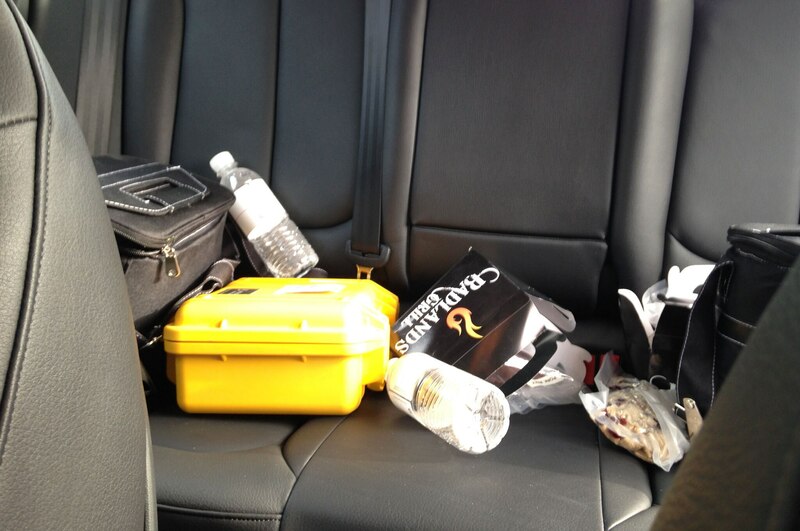 Even with the front windows cracked to help funnel air through the cabin, perspiration soaks through our T-shirts. 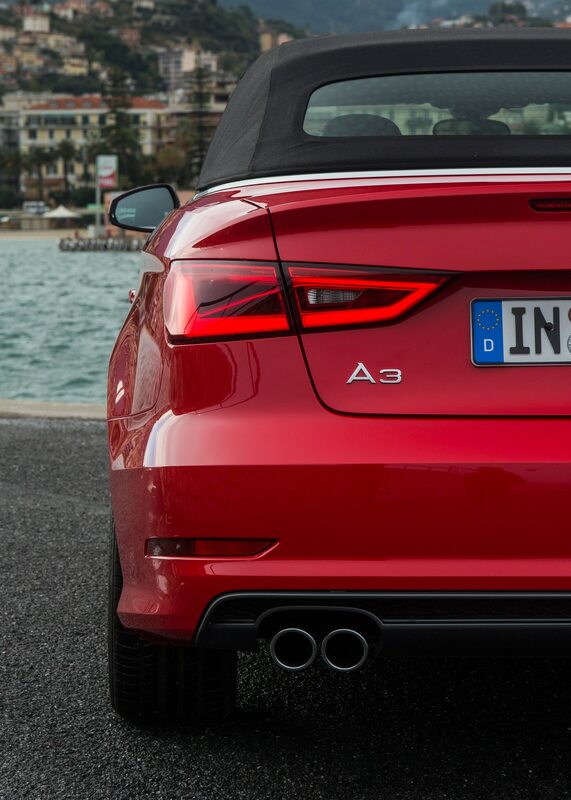 The A3, on the other hand, hasn’t broken a sweat. 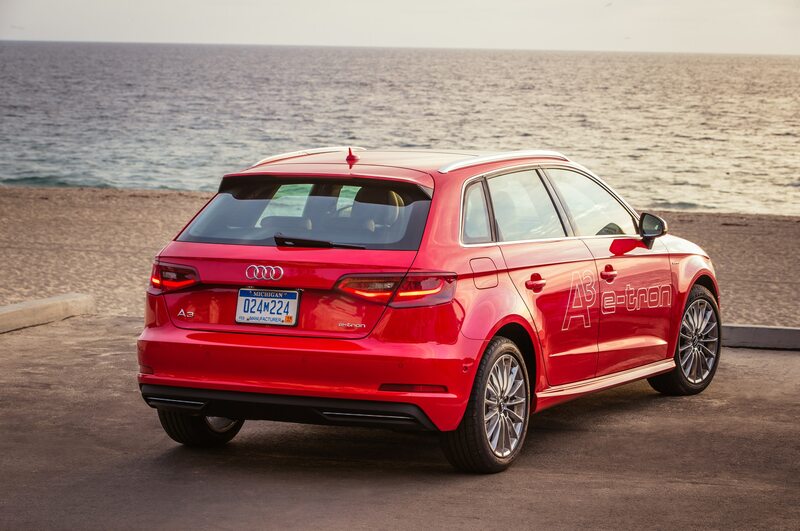 Six-hundred-forty miles in, the car is running smoothly and predicting 120 miles of range left. 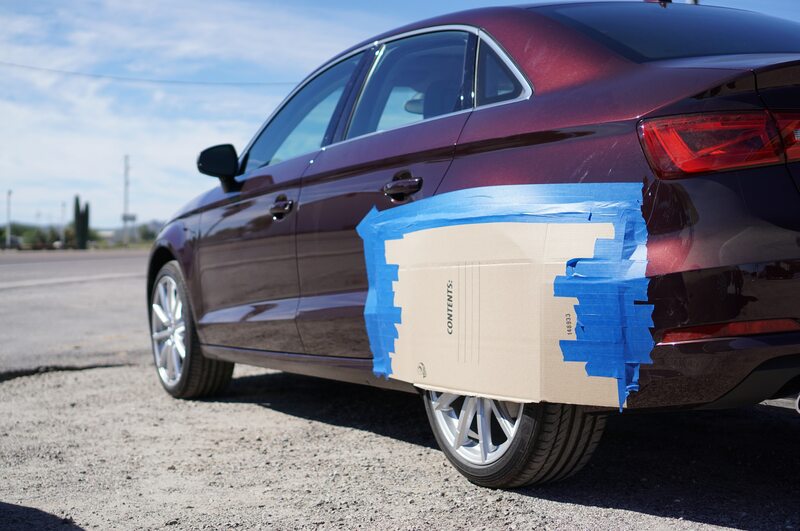 That’s not enough to make it to San Diego, but we’re determined to press on. 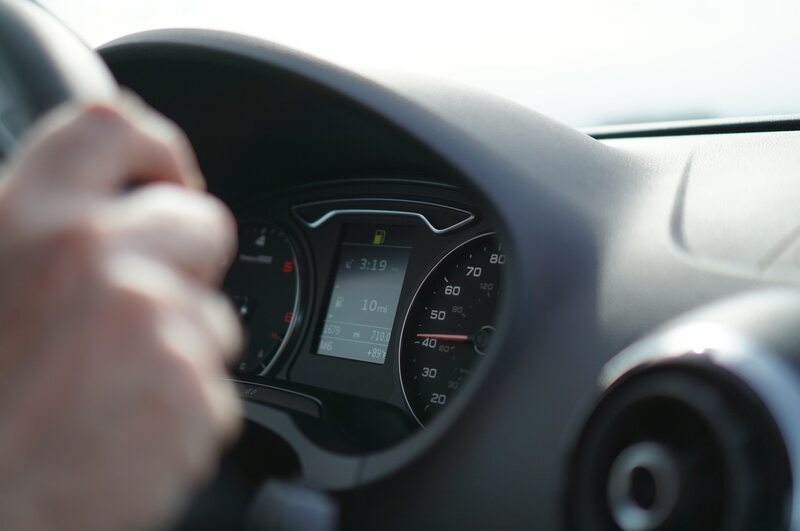 As monotonous as hypermiling is, the task takes a surprising amount of mental focus. We’re constantly mindful not only of our speed, revs, and throttle input; we also have to look far ahead to plan for any upcoming elevation changes while remaining cautious of rapidly changing traffic. 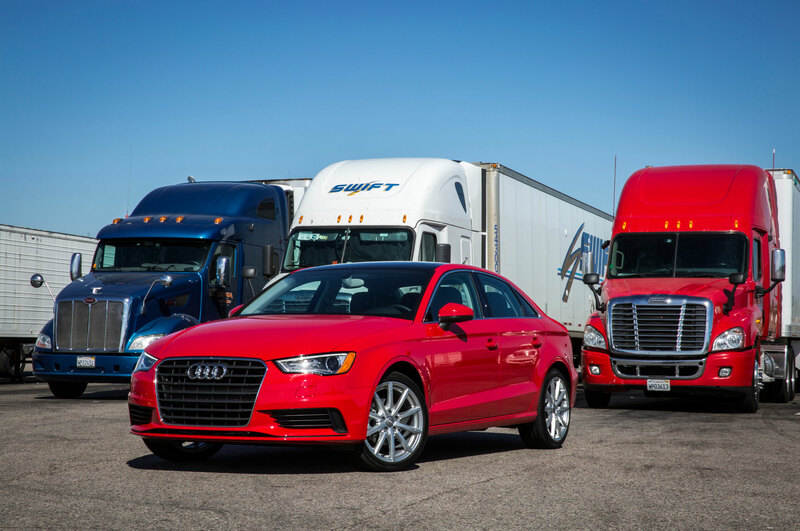 Even in the desert, cars and semi trucks come up on you quickly when you’re traveling 10-15 mph under the speed limit. 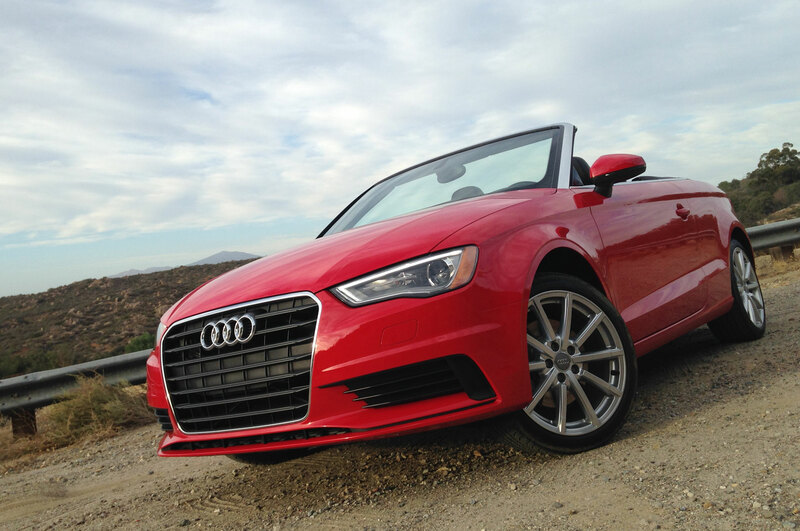 The real stress sets in when we begin to climb the mountains on California’s Interstate 8. 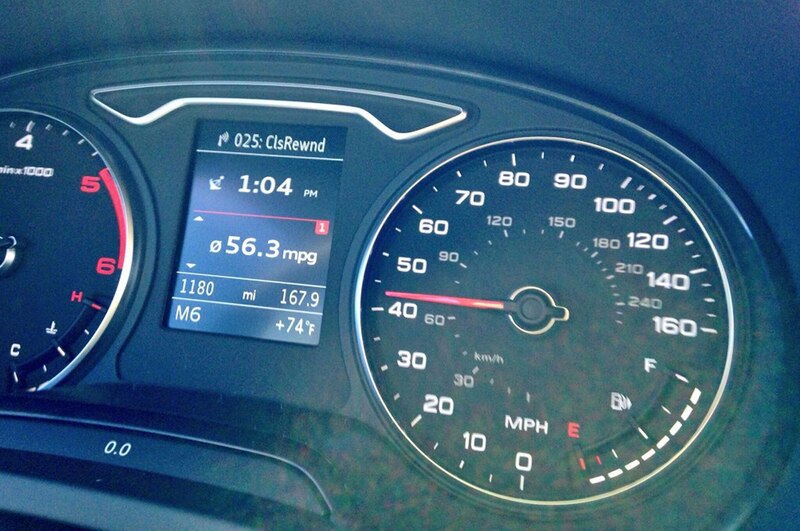 Midway through, we get the readout we’ve been dreading: 0 miles to empty. 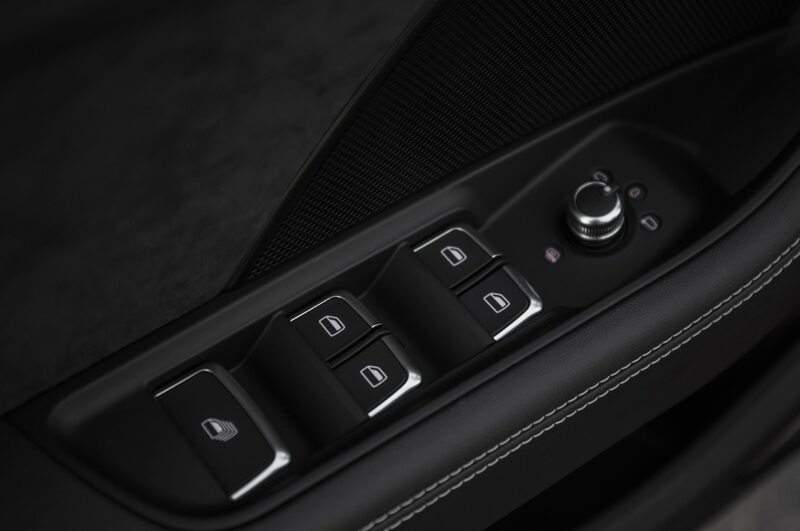 Officially on reserve, we suddenly we realize the pucker factor is in effect, and are feeling the anxiety and stress of possibly running out of fuel on this long incline. 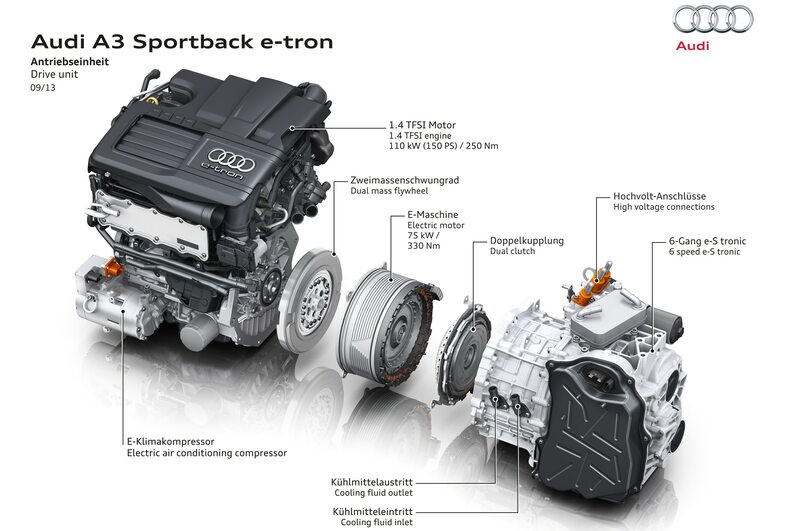 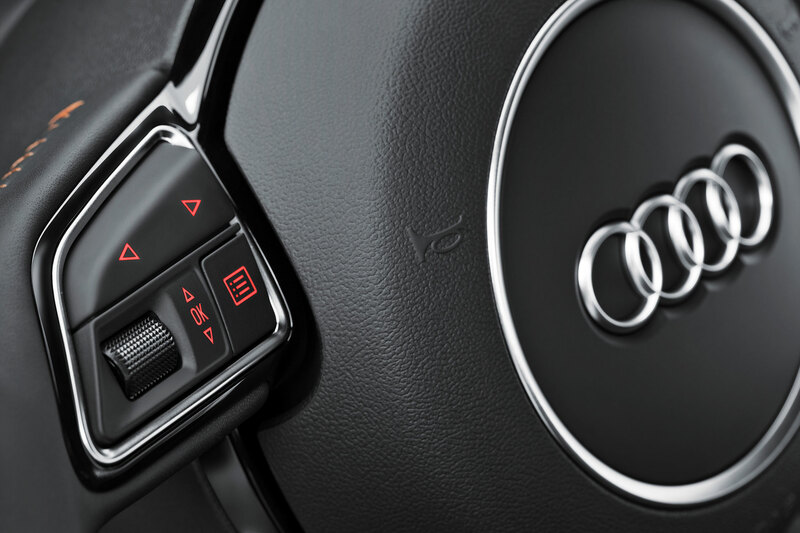 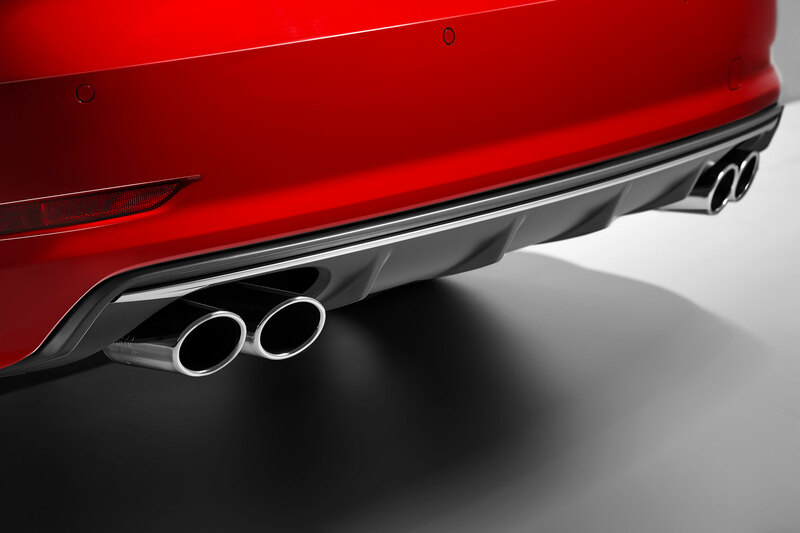 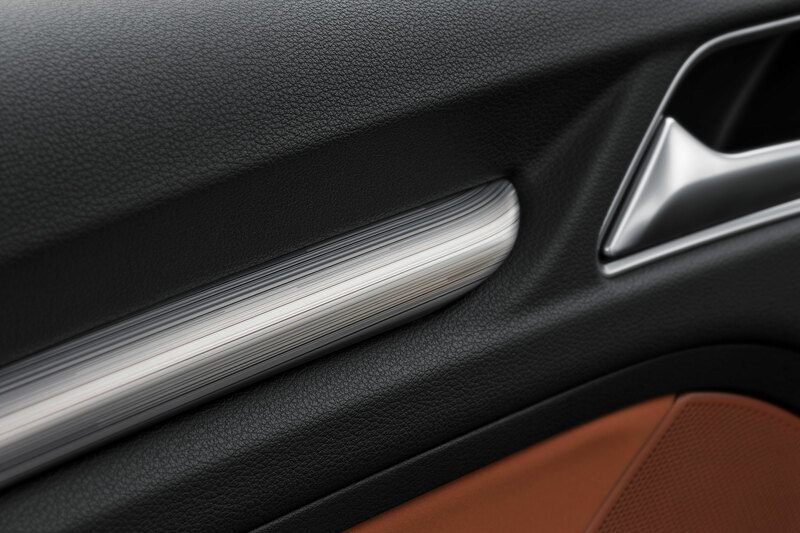 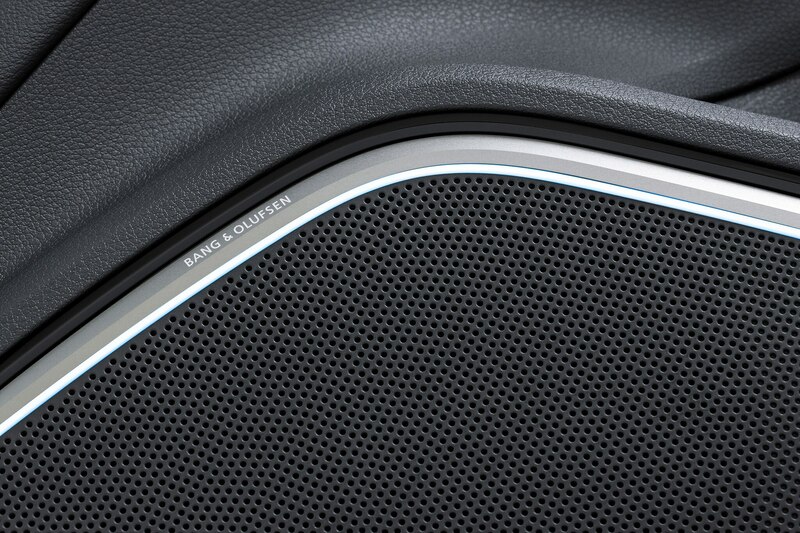 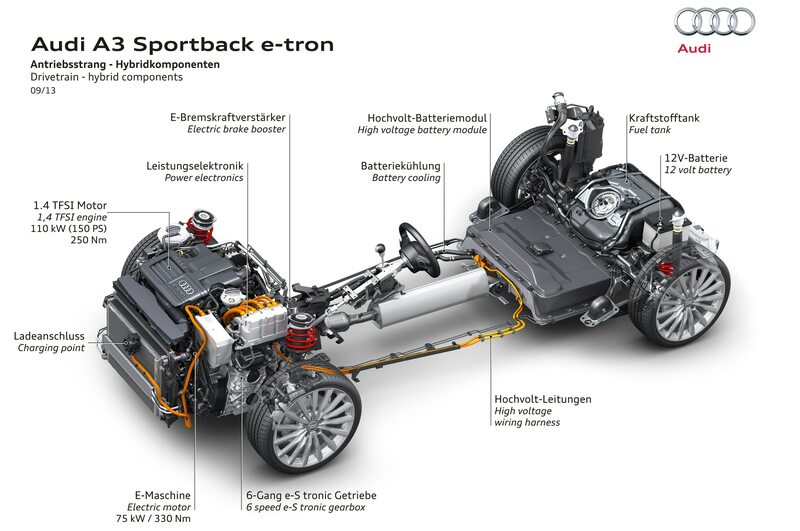 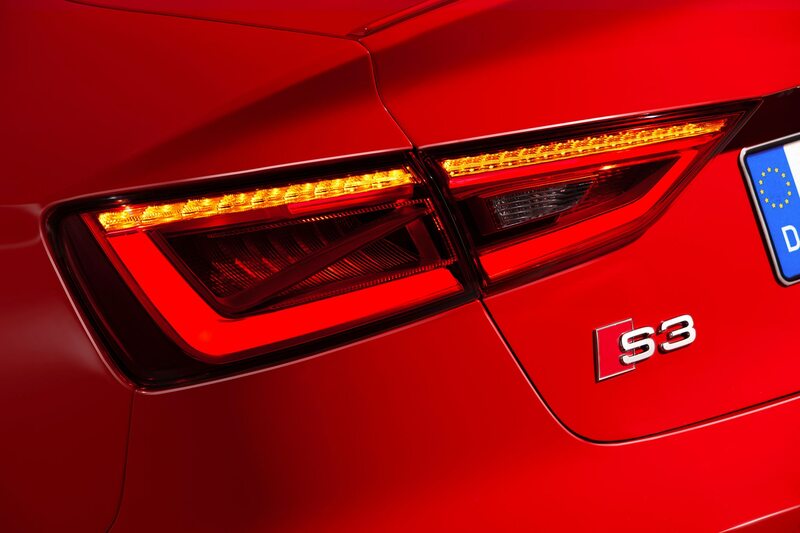 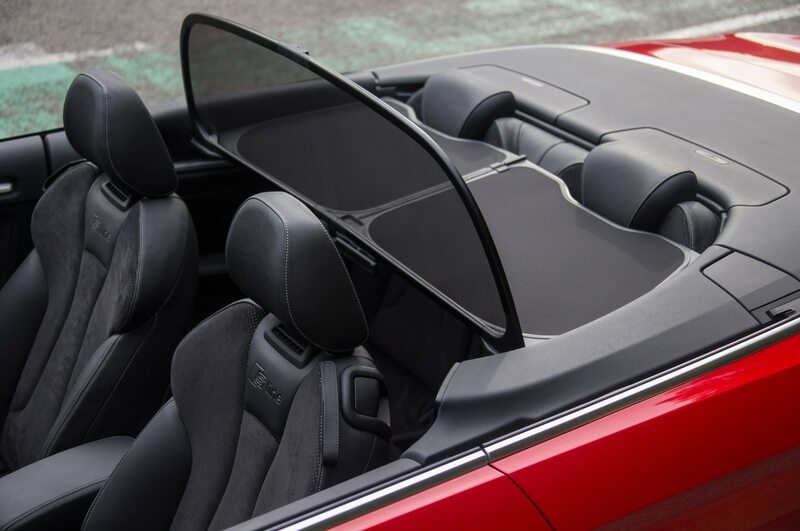 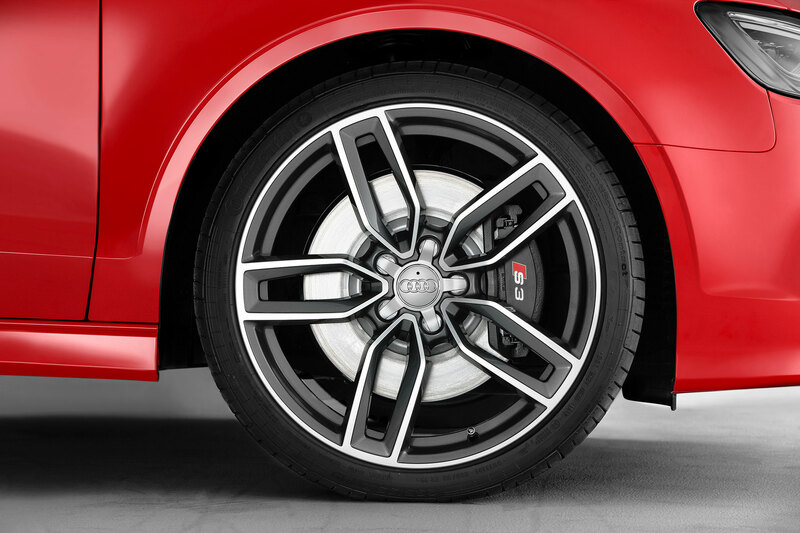 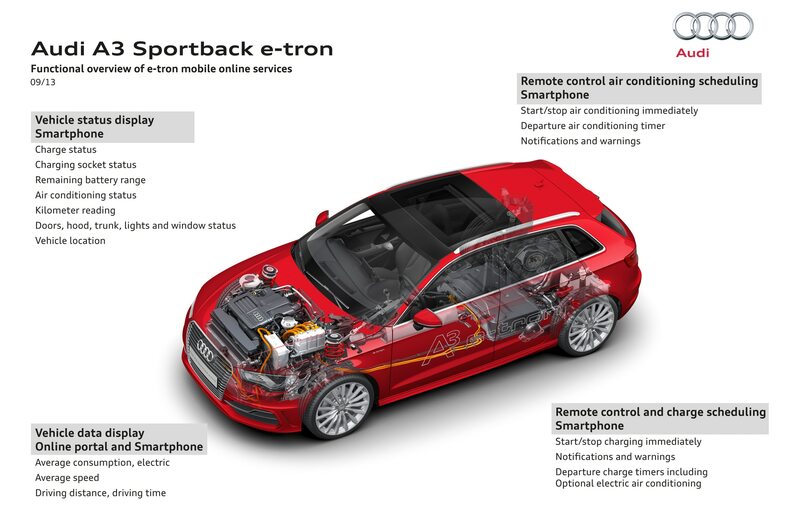 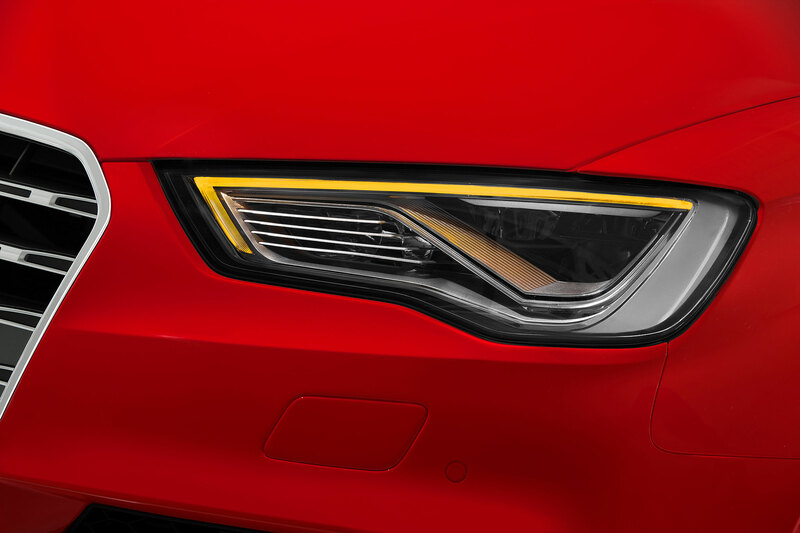 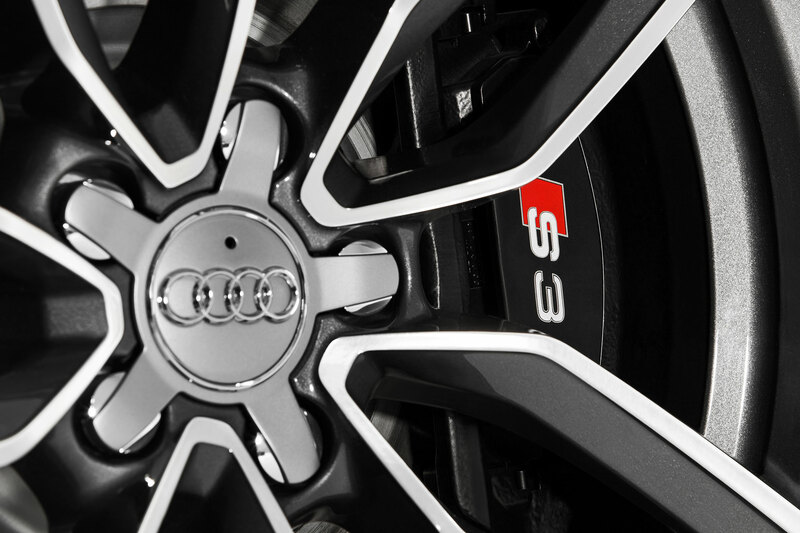 We reach the sixth of seven preset bailout points, and Audi’s engineers recommend we don’t go farther. 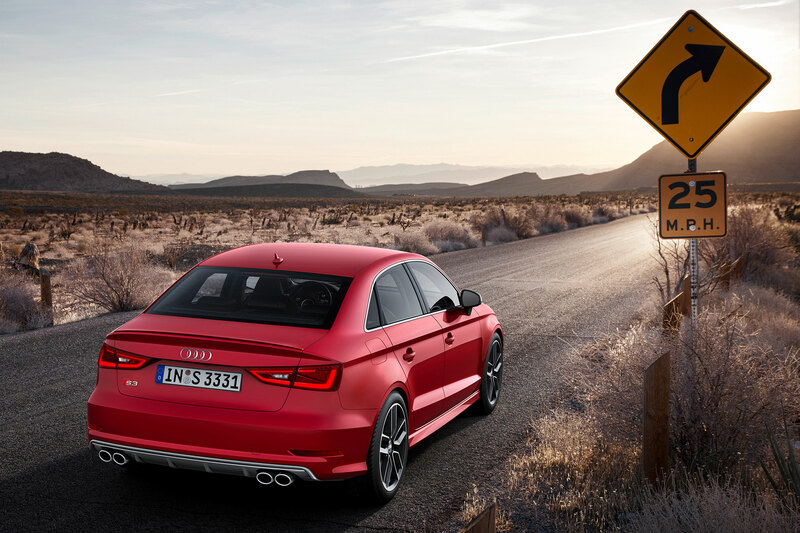 Regretfully, we heed their advice. 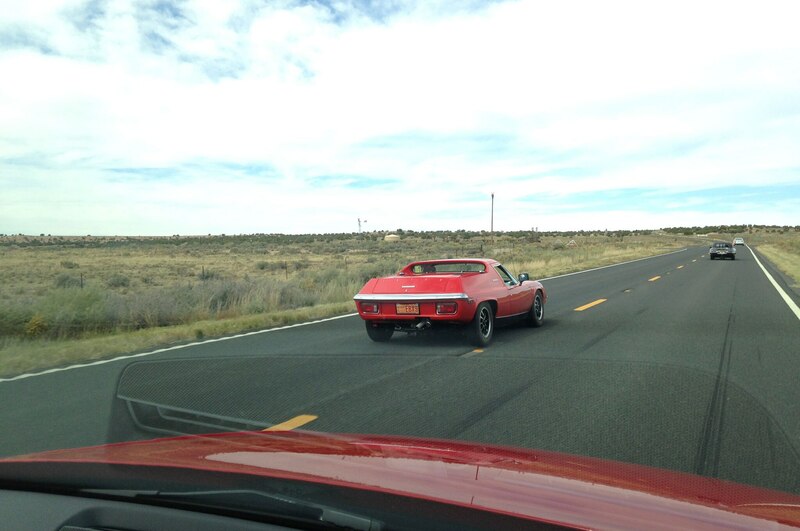 We say good-bye to Red Fury 758 miles in. 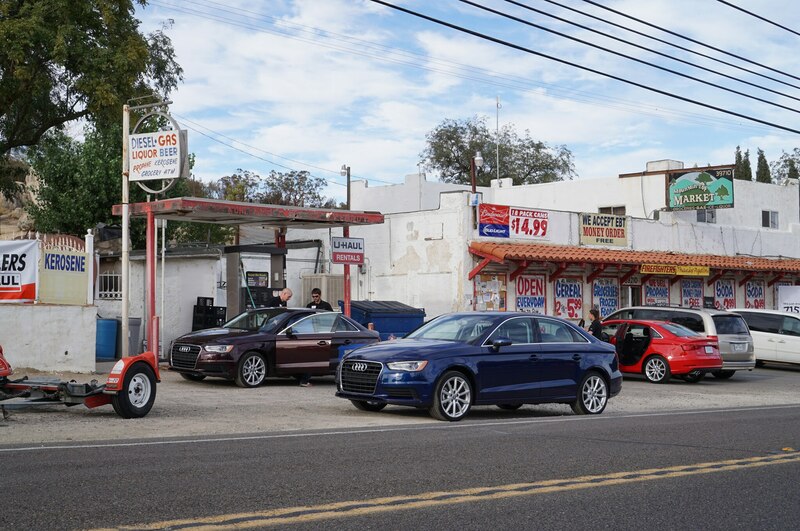 We’d traveled 40 miles or so on empty and thought we could maybe have made it another 30, but not all the way to San Diego. 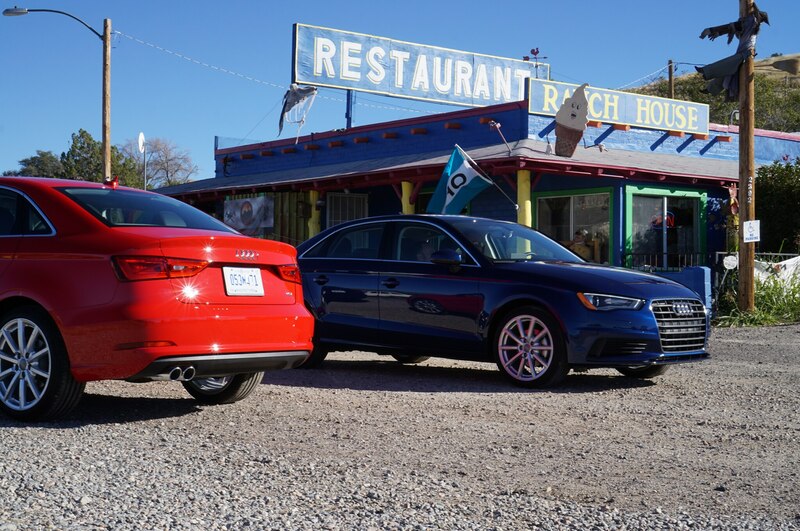 Maybe we should have kept going, however, because two cars ended up traveling more than 100 miles on empty and actually made it the whole 834 miles. 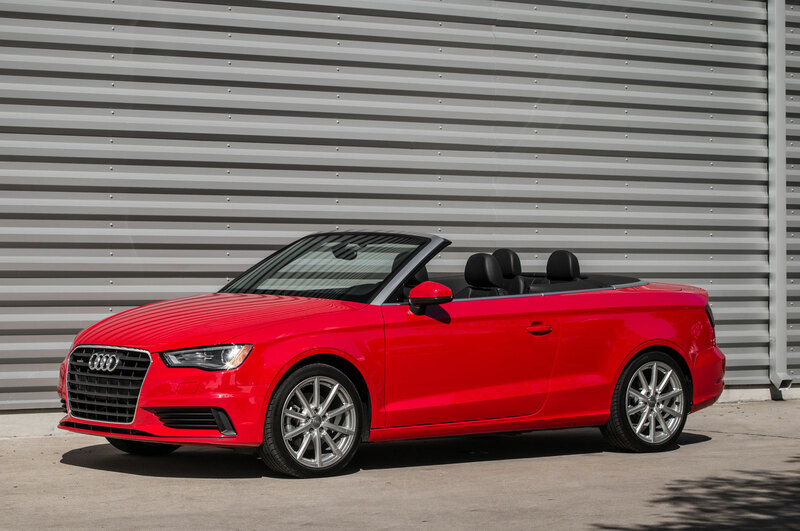 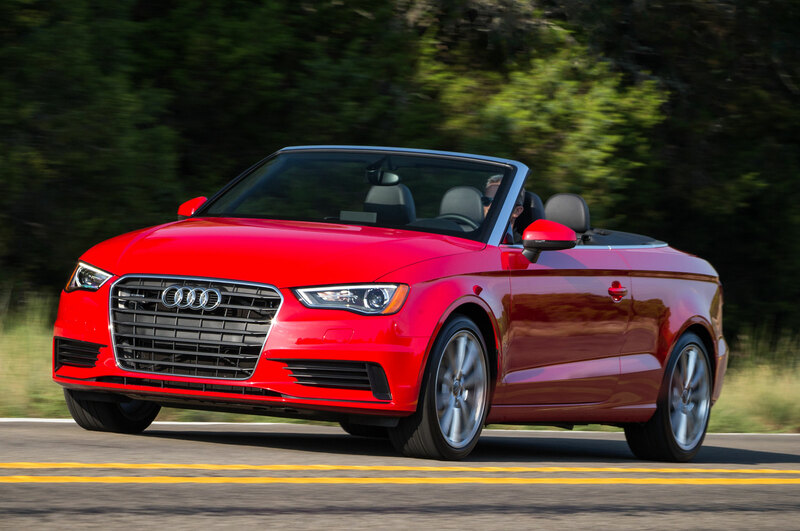 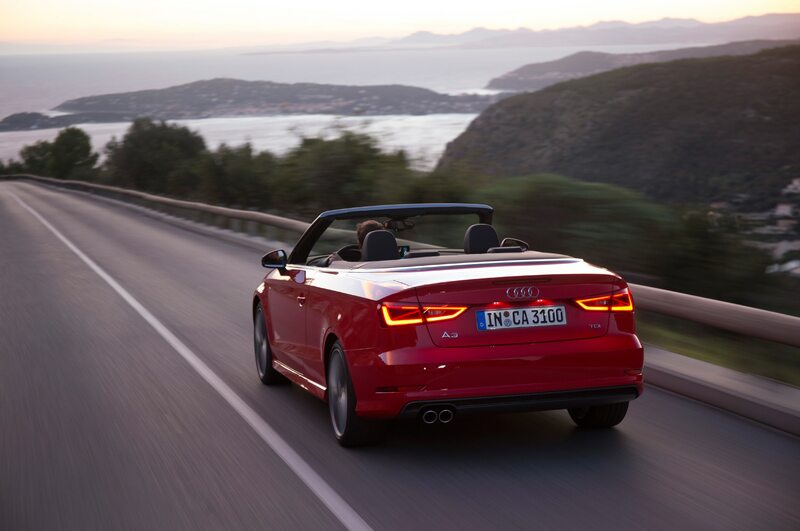 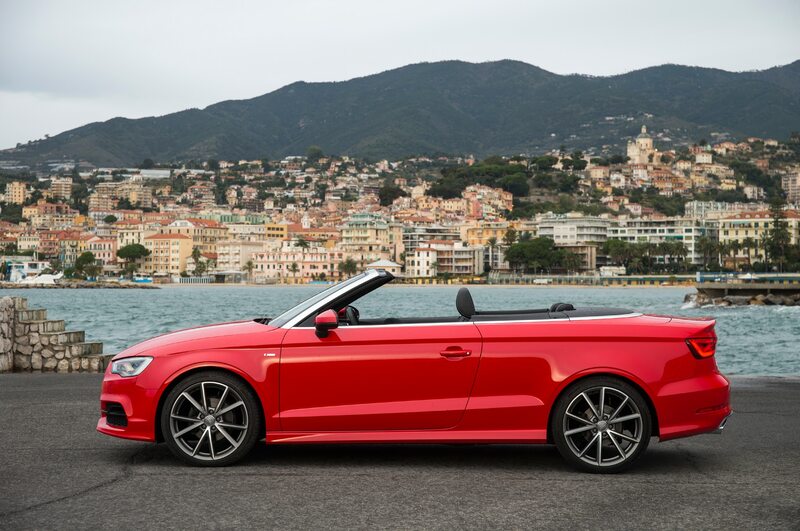 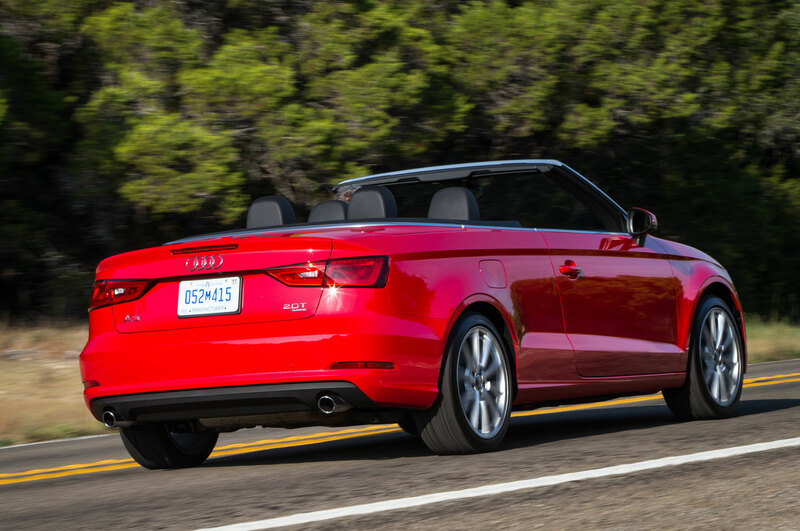 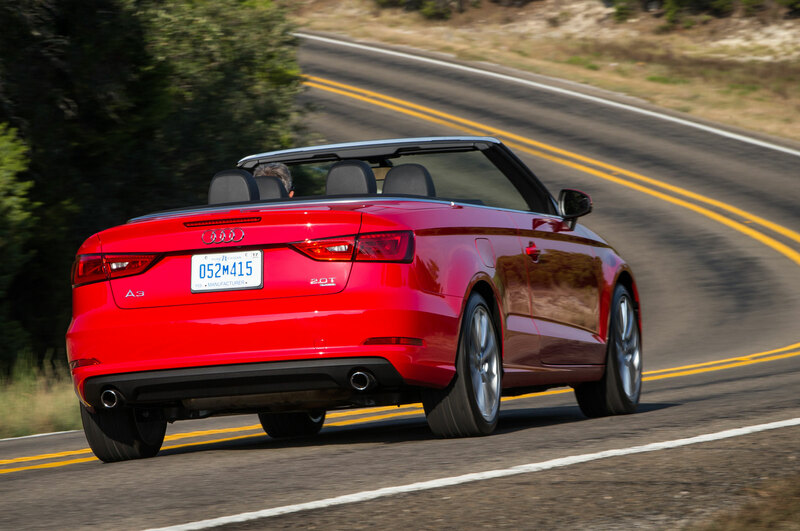 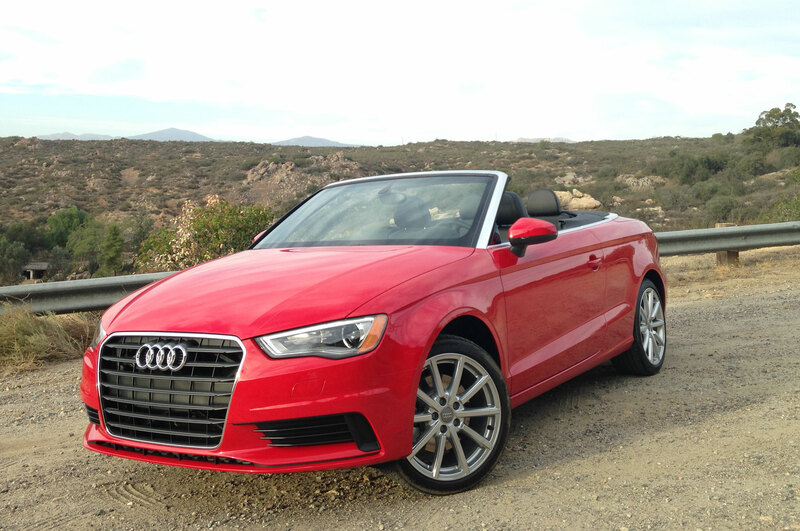 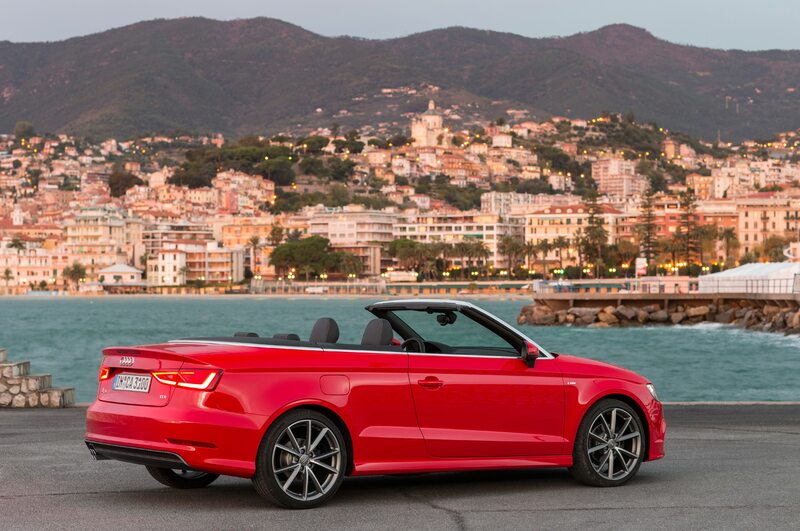 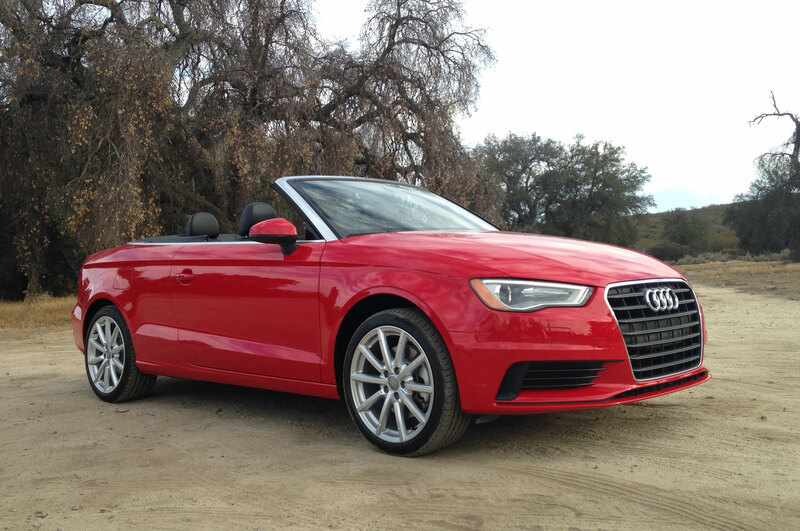 A tempting reason to call it quits was because there was a lovely 2015 Audi A3 convertible for us to jump into, in which we could burn off some frustration (and fuel) for the remainder of our journey to San Diego. 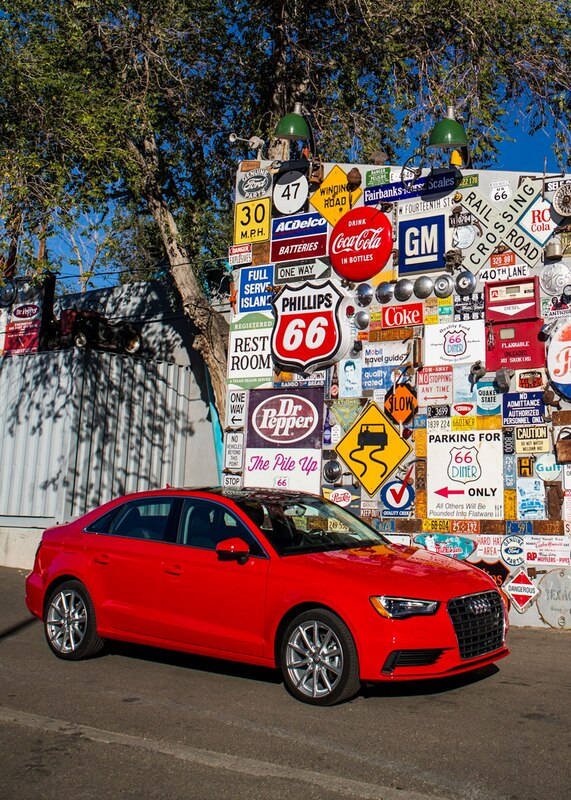 After 758 miles of driving like a miser, we weren’t about to pass up that opportunity on amazing roads such as California’s Route 94. 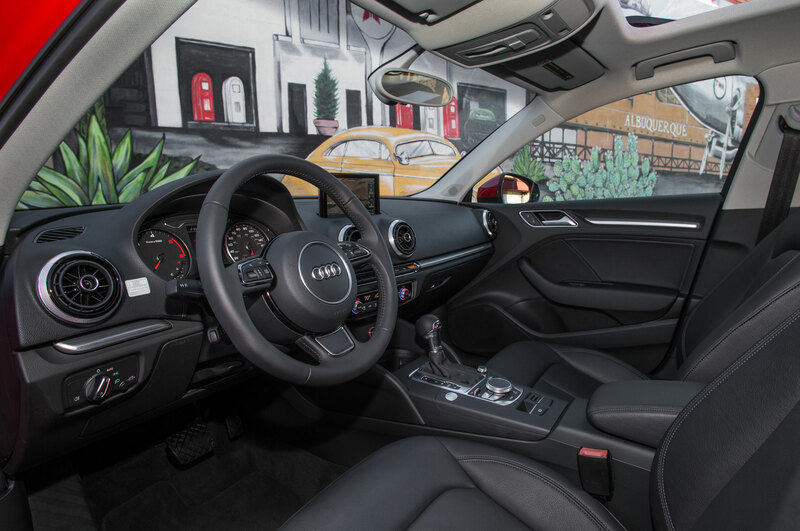 Our final average fuel economy was 59.4 mpg, which indeed lives up to Wayne’s promise of demolishing the EPA rating of 43 mpg. 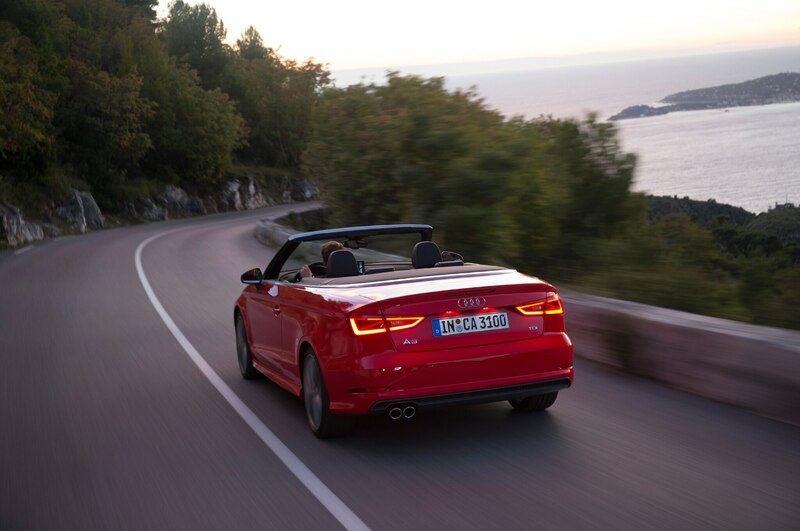 But we don’t recommend, or ever want to even think about, driving this way again in order to achieve such lofty figures. 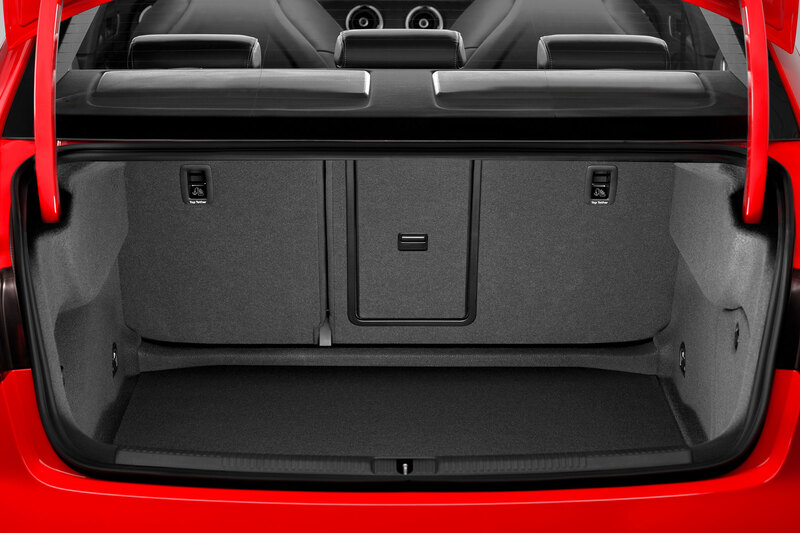 Maybe it’s an ego thing, but you can only be passed by so many Winnebagos before you feel like you’re going insane. 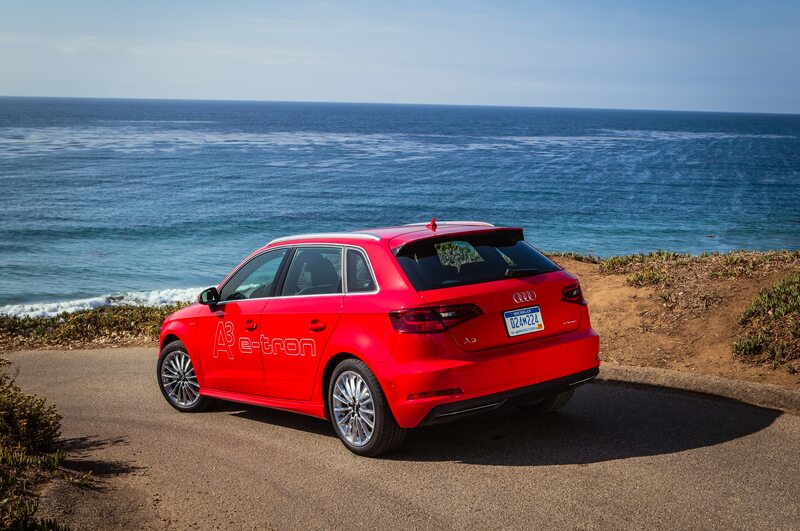 Still, it was an enlightening experience to see just what kind of range and mileage a committed hypermiler could achieve. 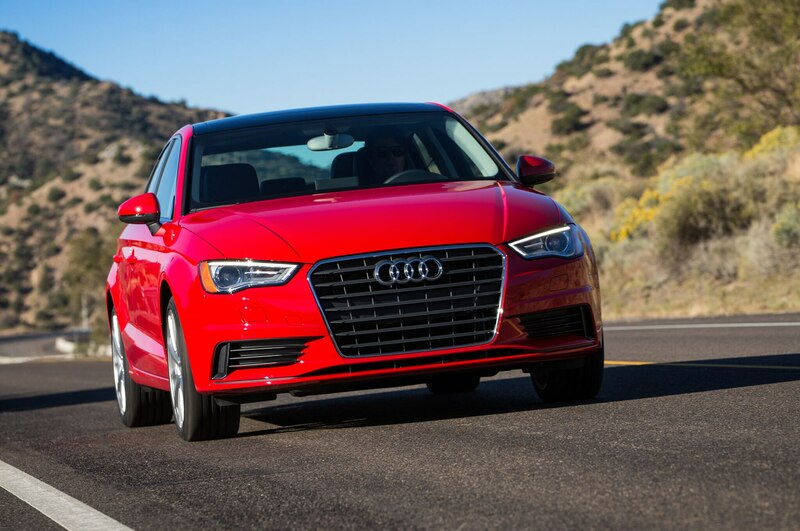 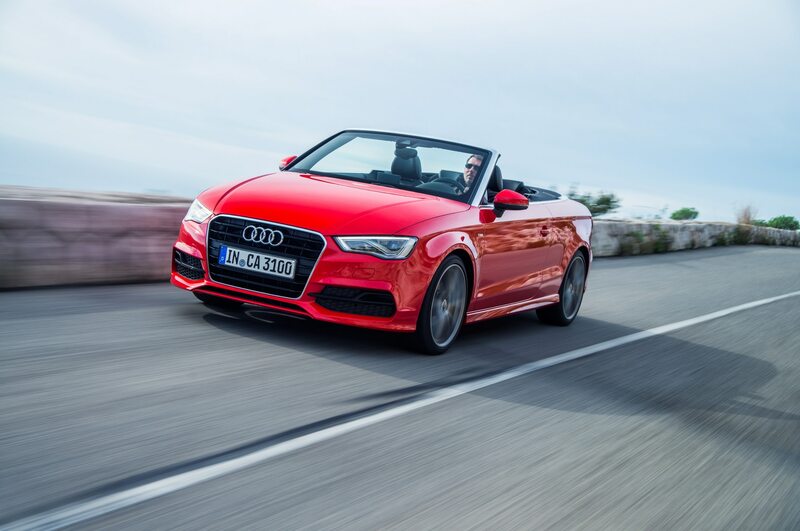 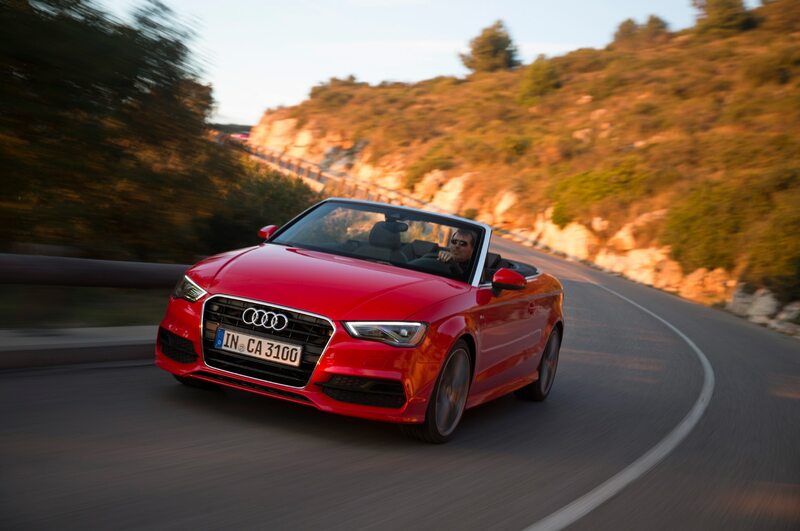 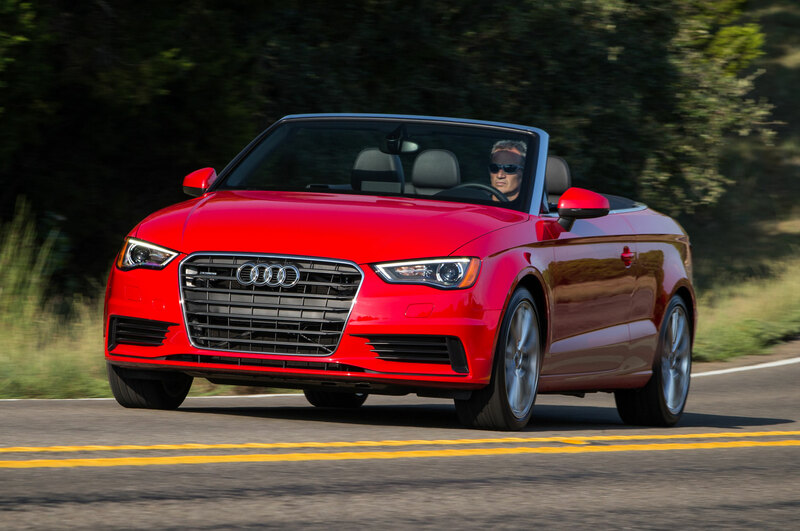 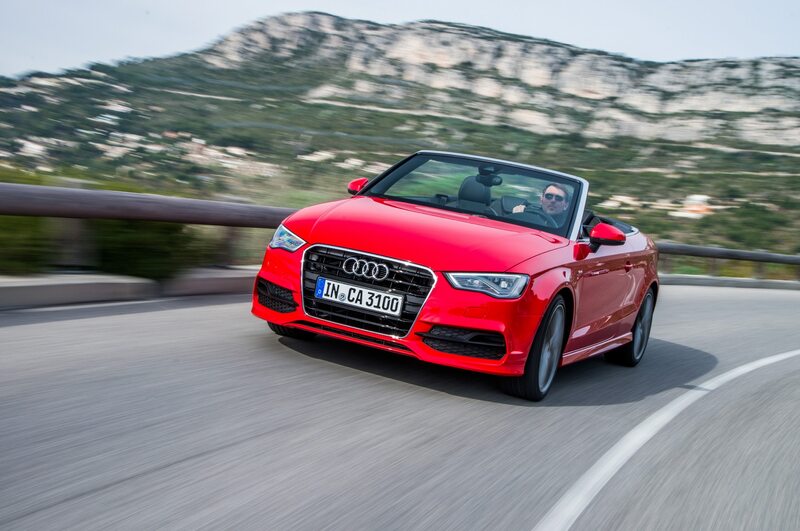 Especially considering that the route’s elevation ranged from 220 feet below sea level to 7,900 feet above sea level, the A3 put up some mind-blowing numbers. 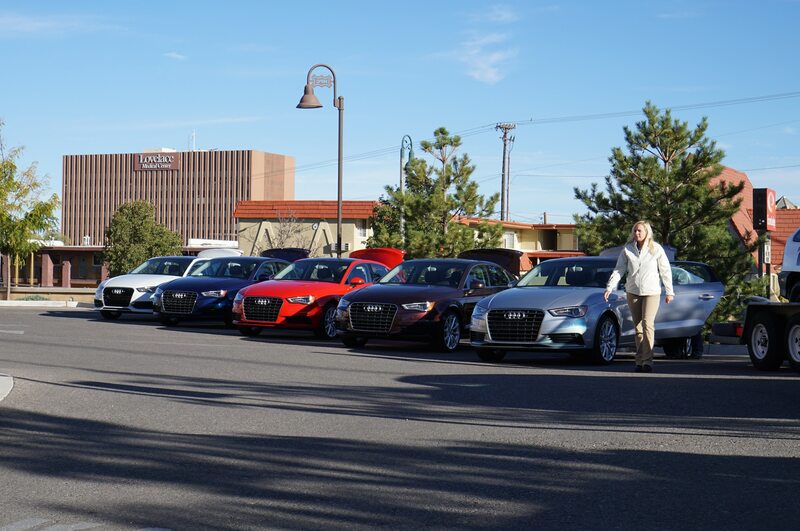 We might not have won the TDI challenge, but we also didn’t have to drive the Aspire. 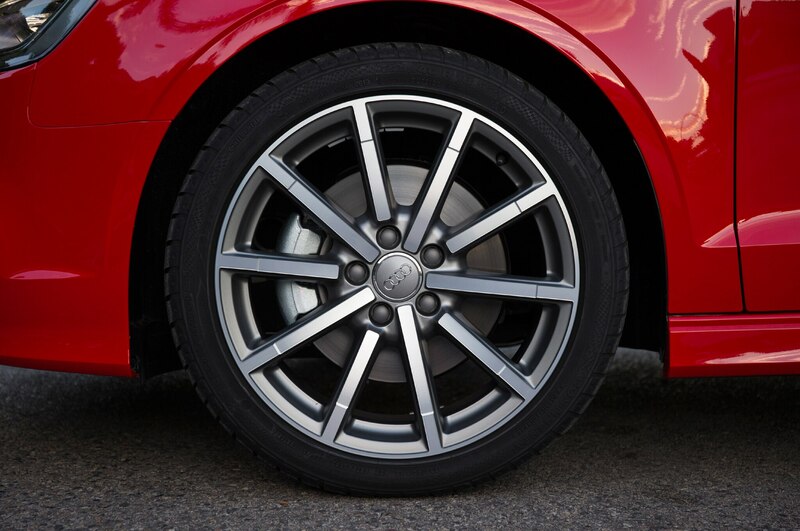 Let’s chalk this one up as a win after all.